See NINE Youtube videos: Quarter Minute Magnums-Seeing is believing! 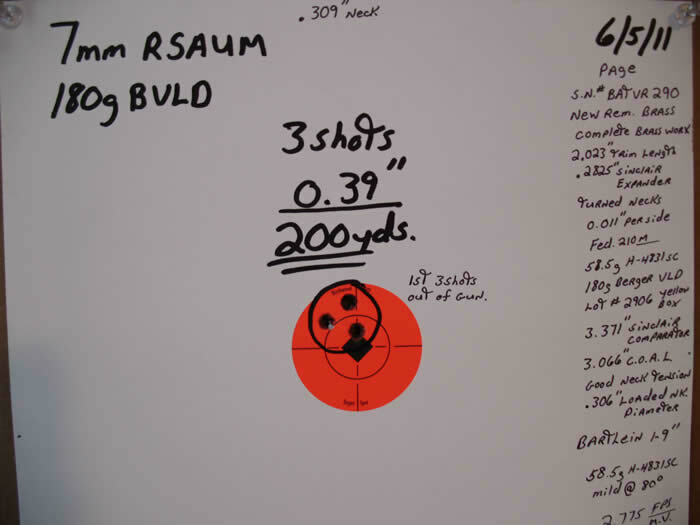 Remember, we shoot every gun we build! 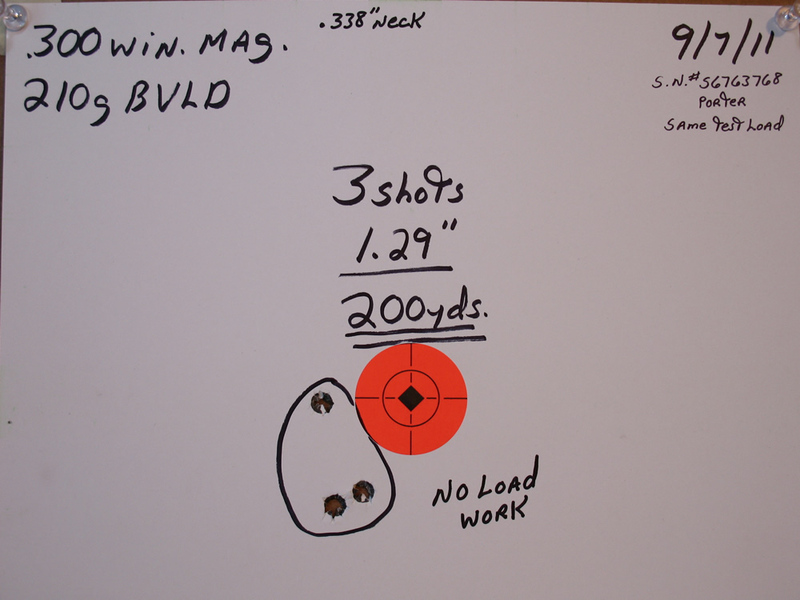 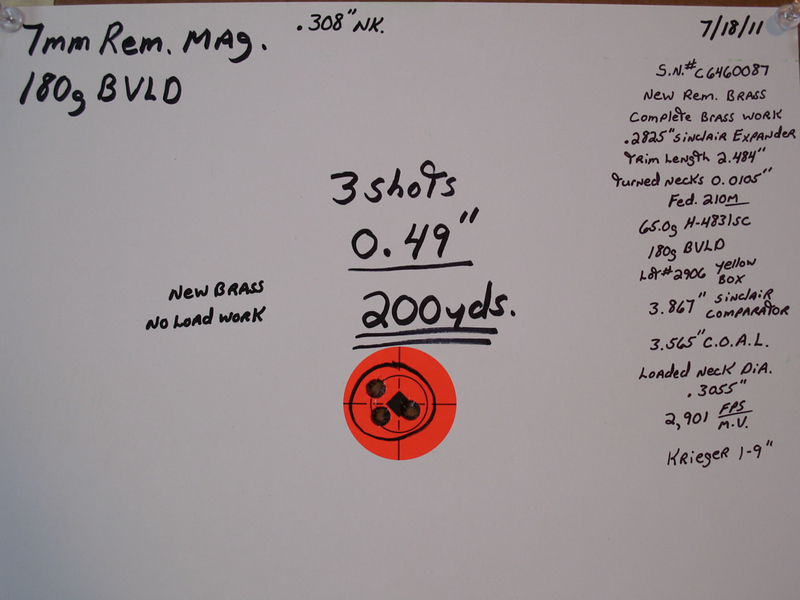 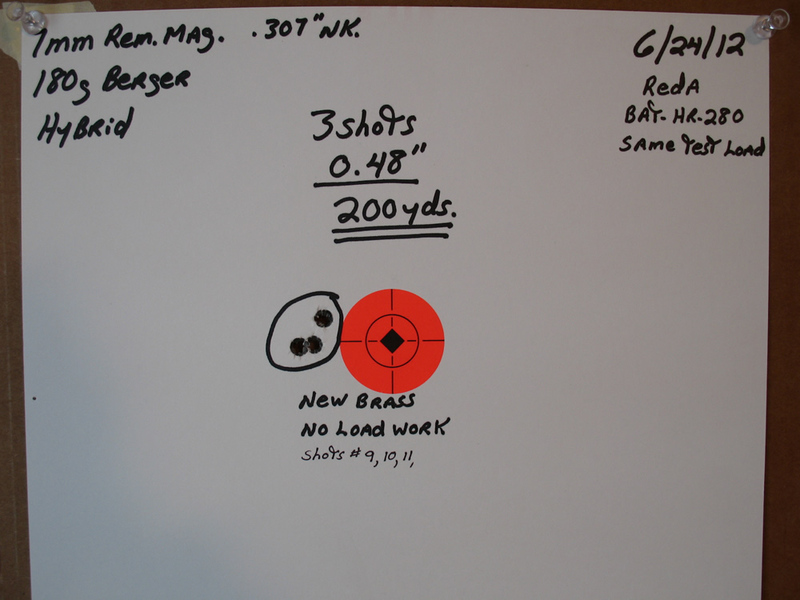 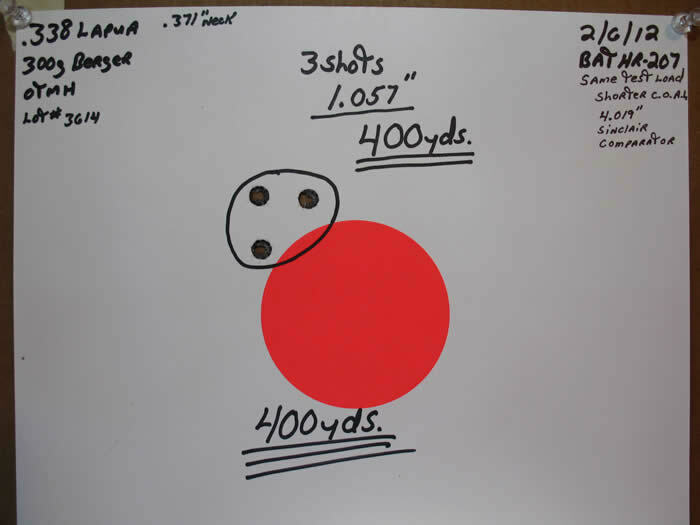 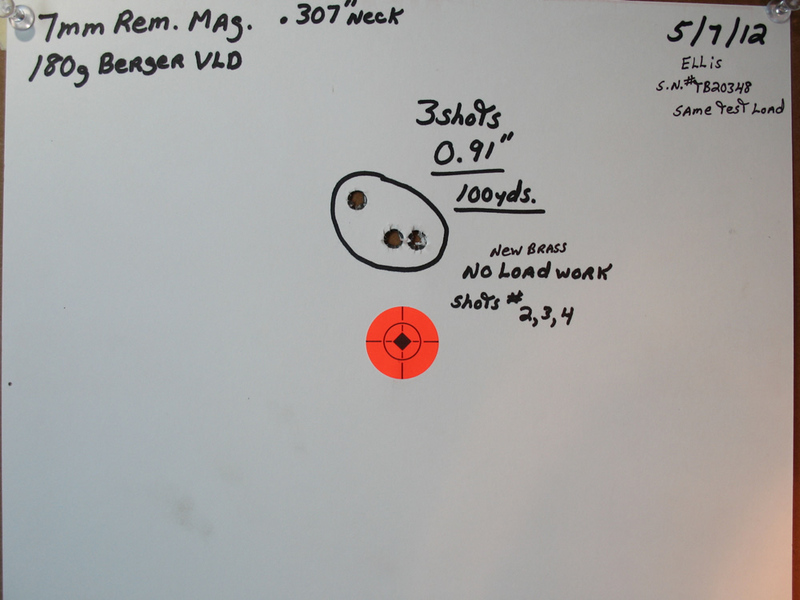 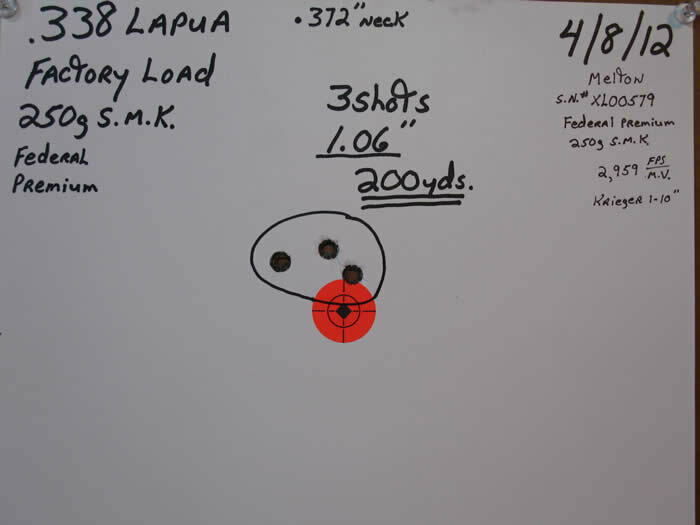 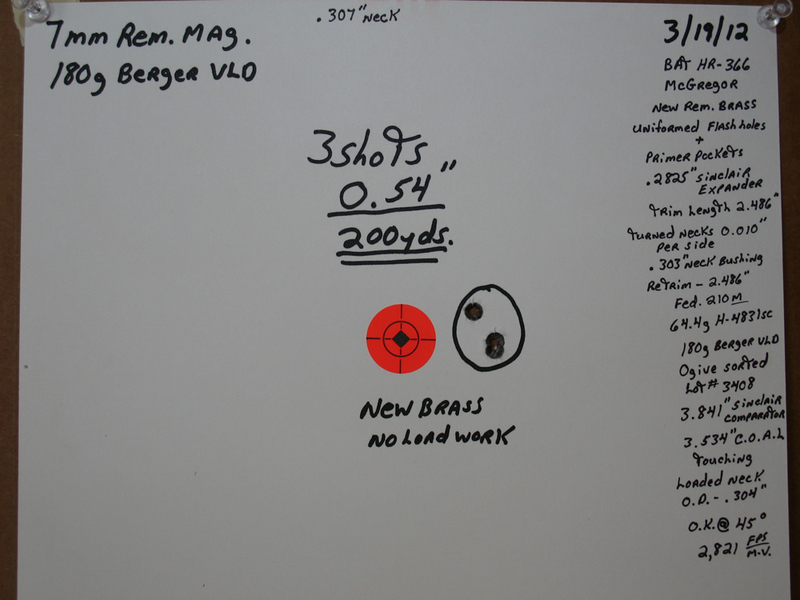 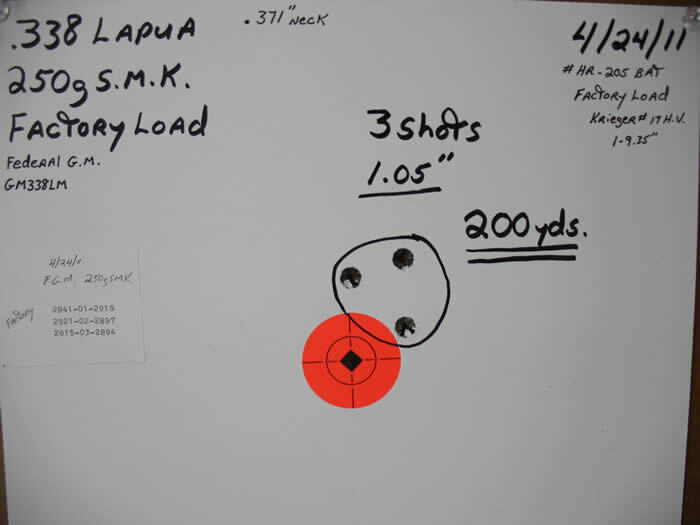 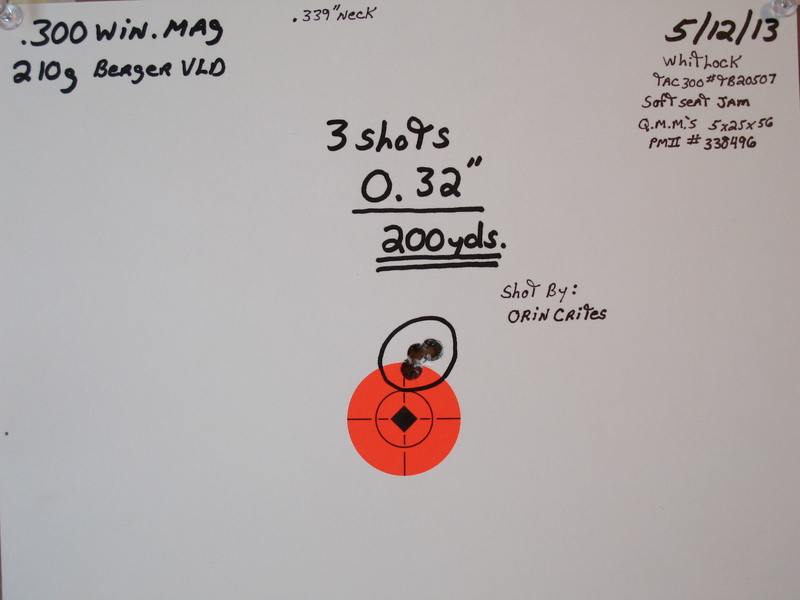 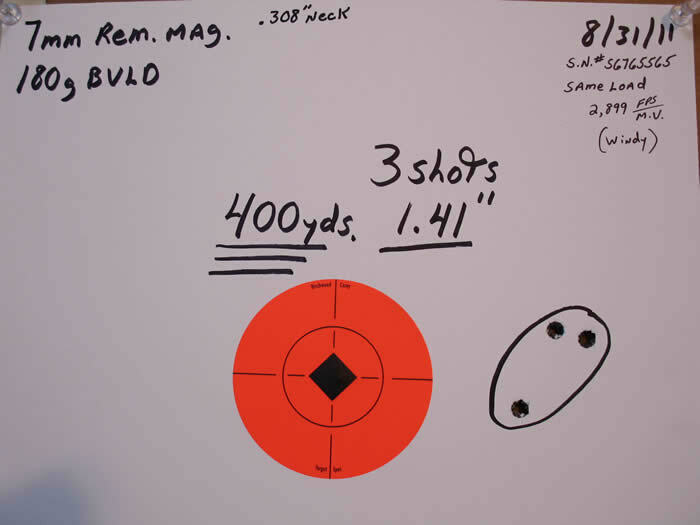 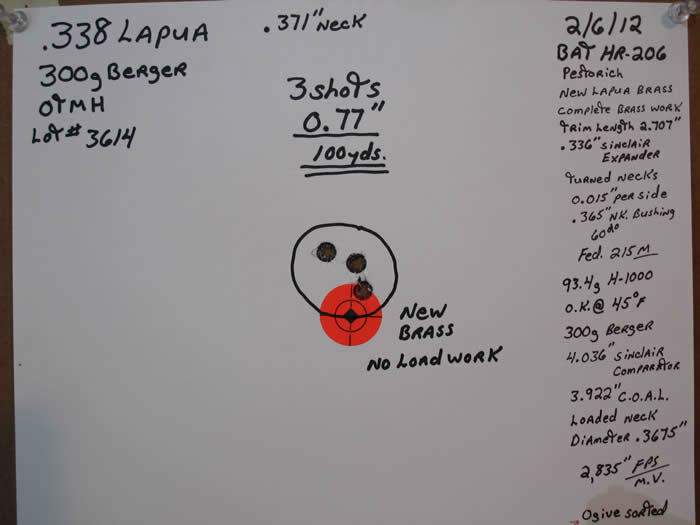 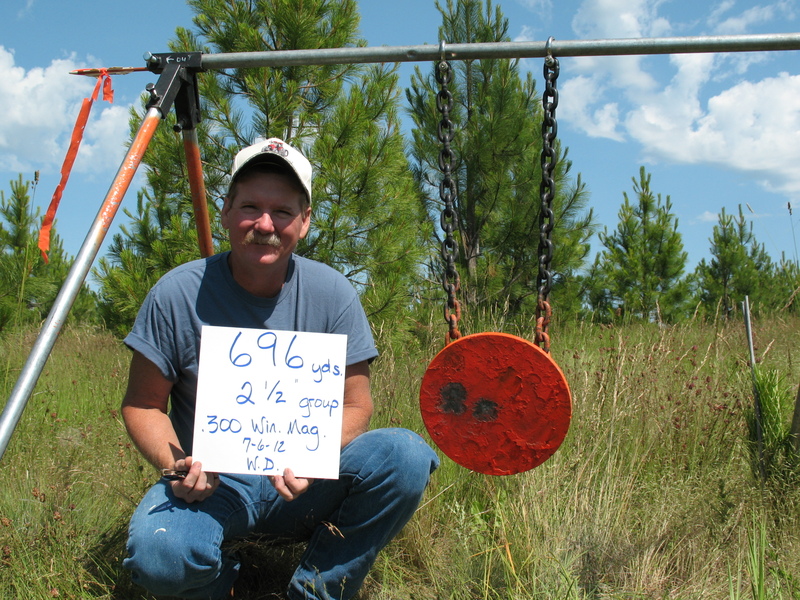 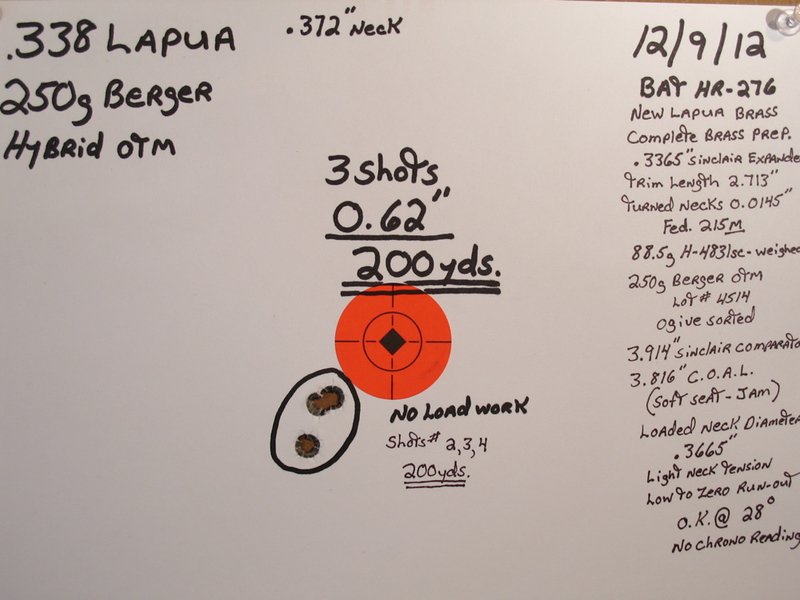 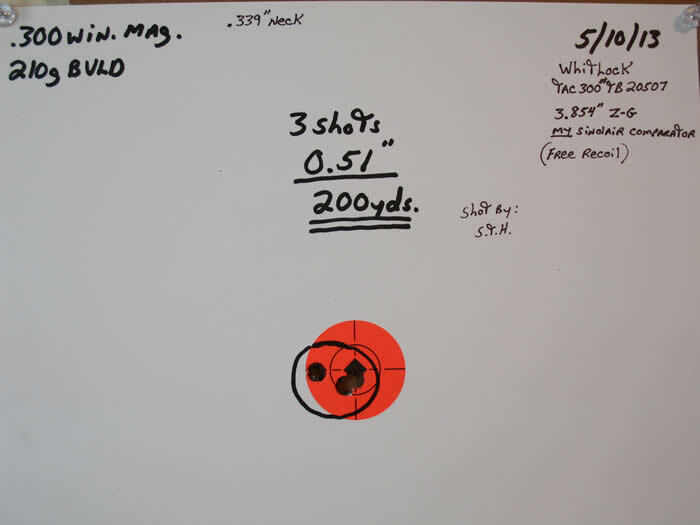 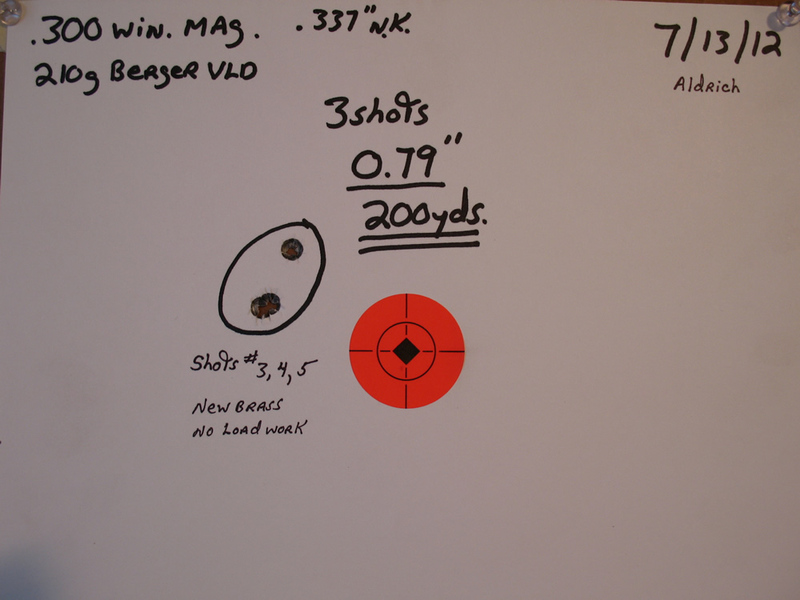 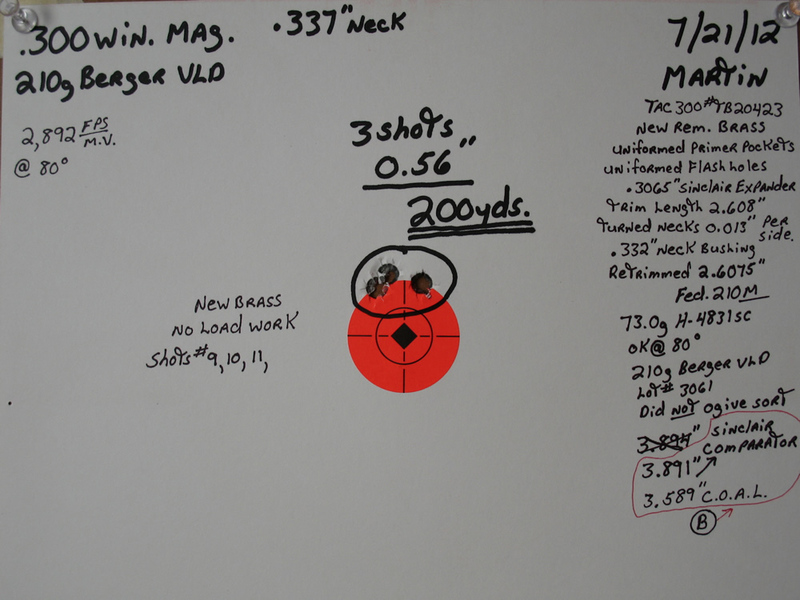 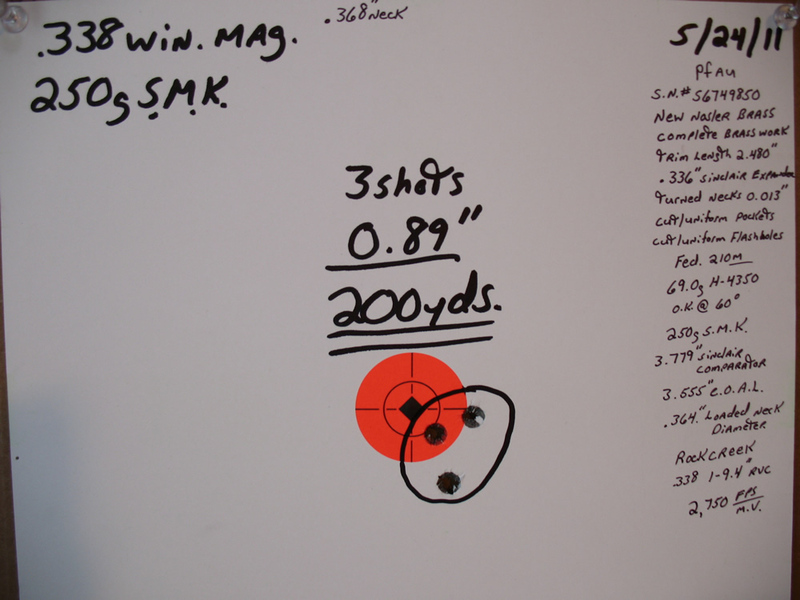 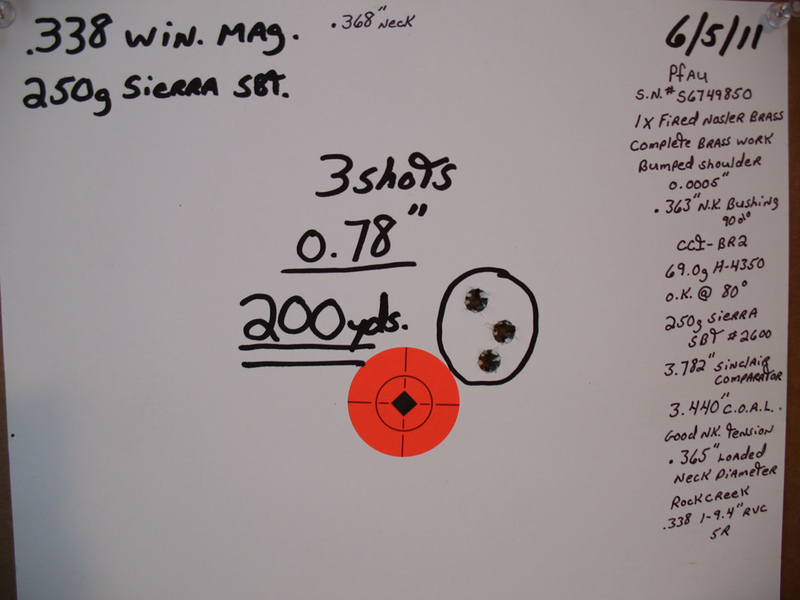 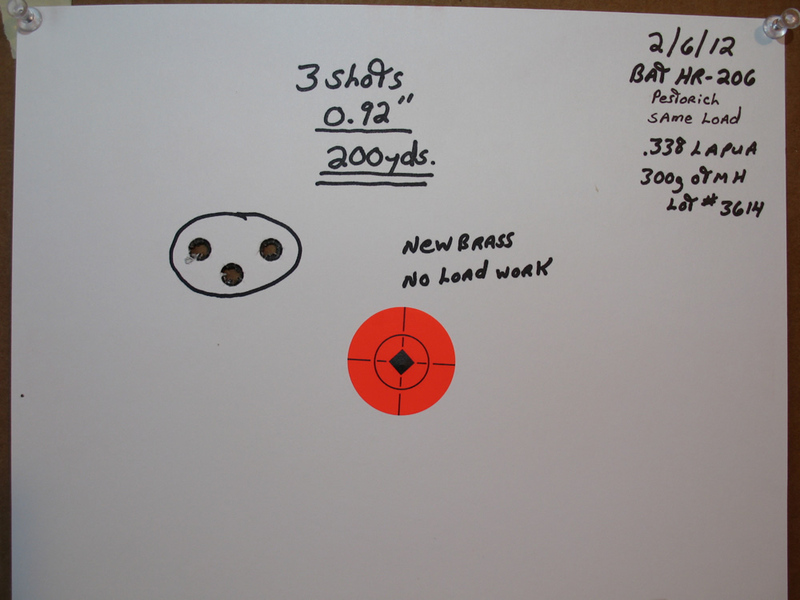 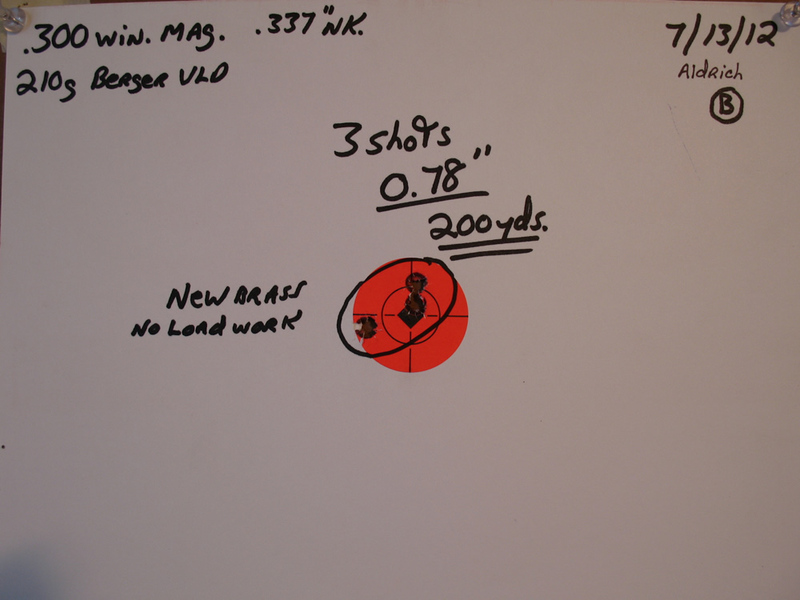 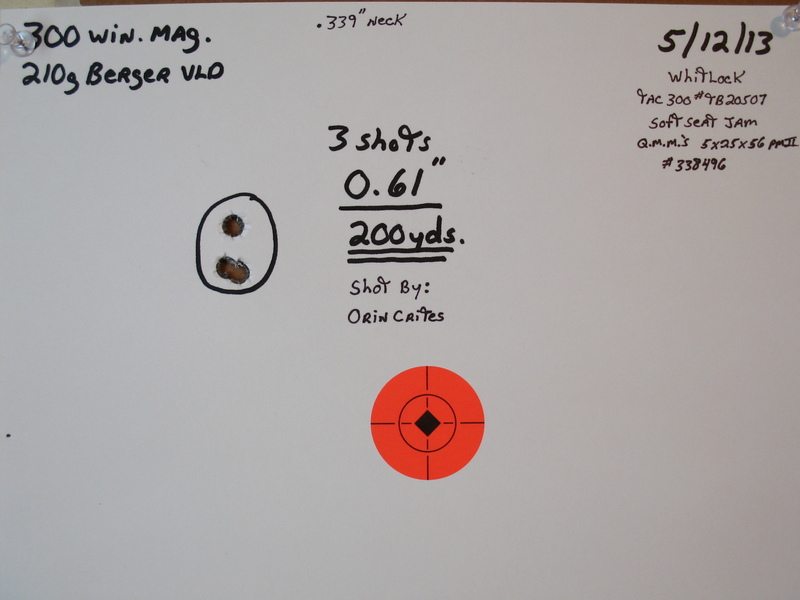 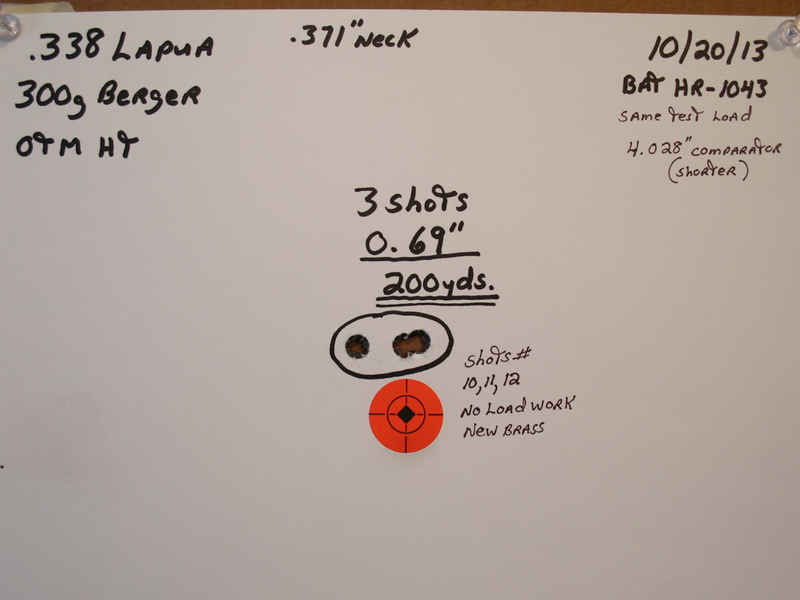 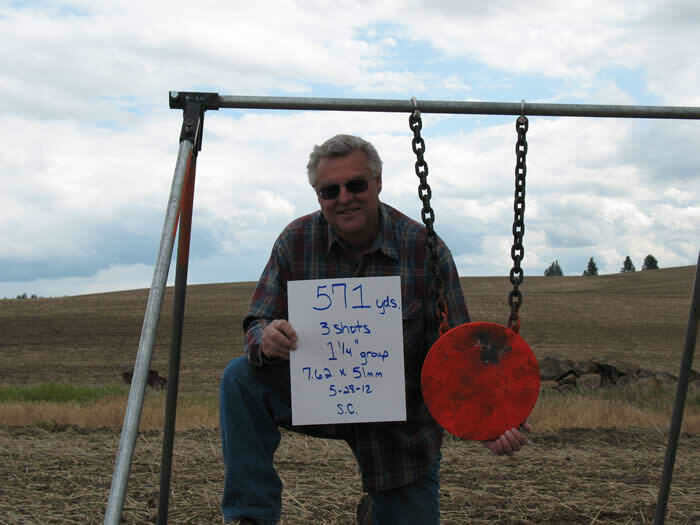 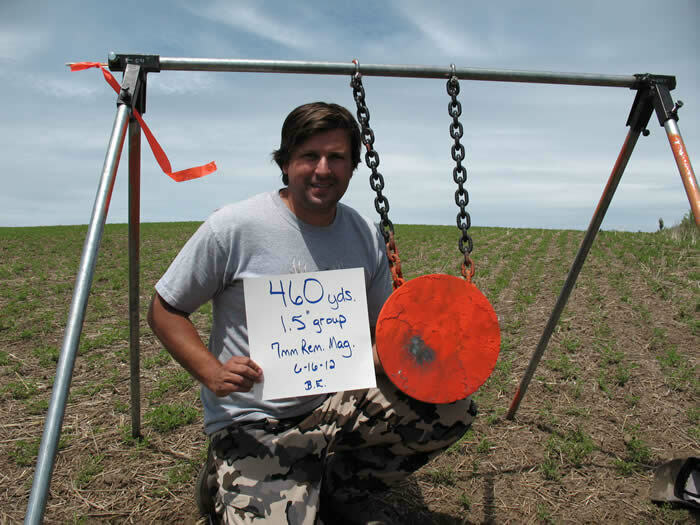 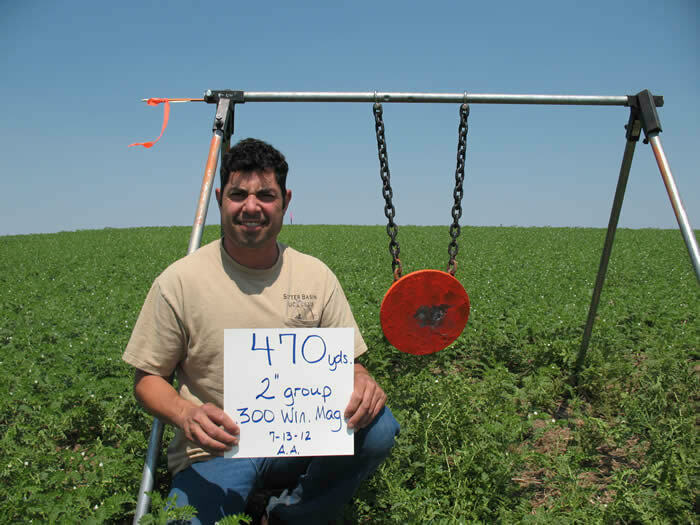 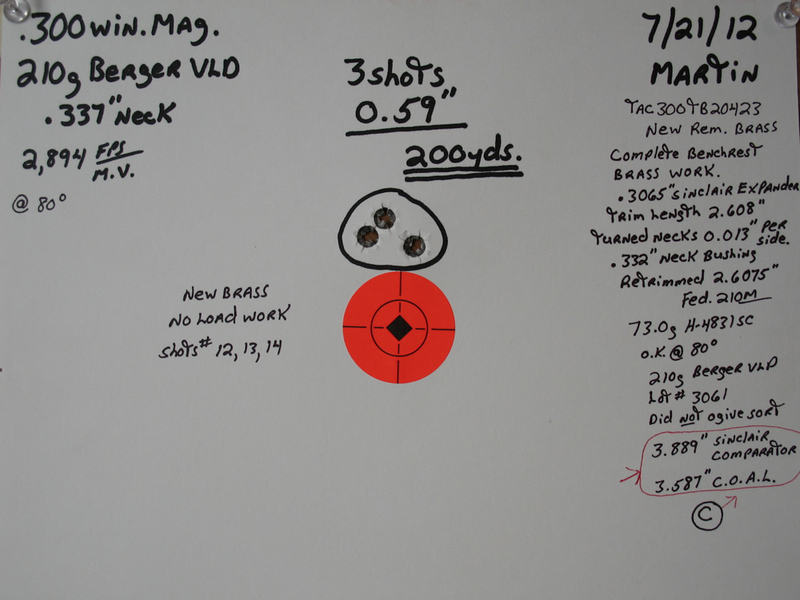 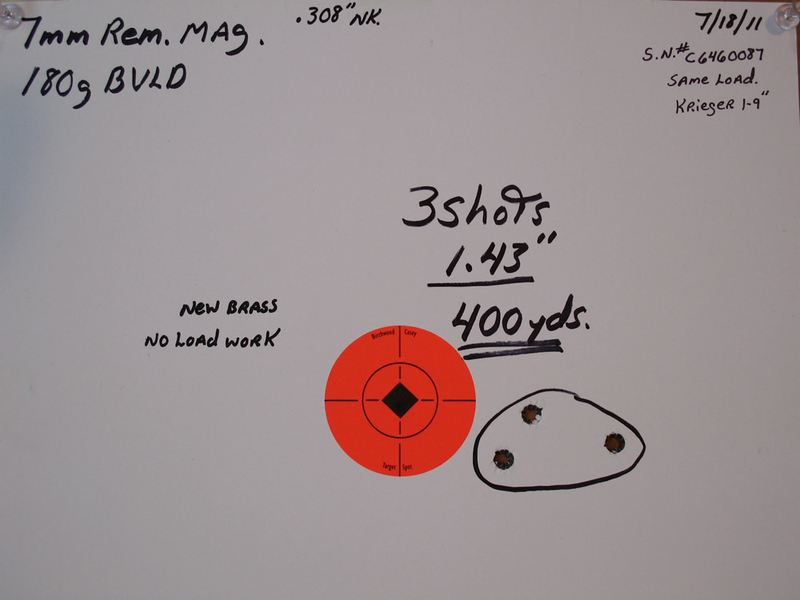 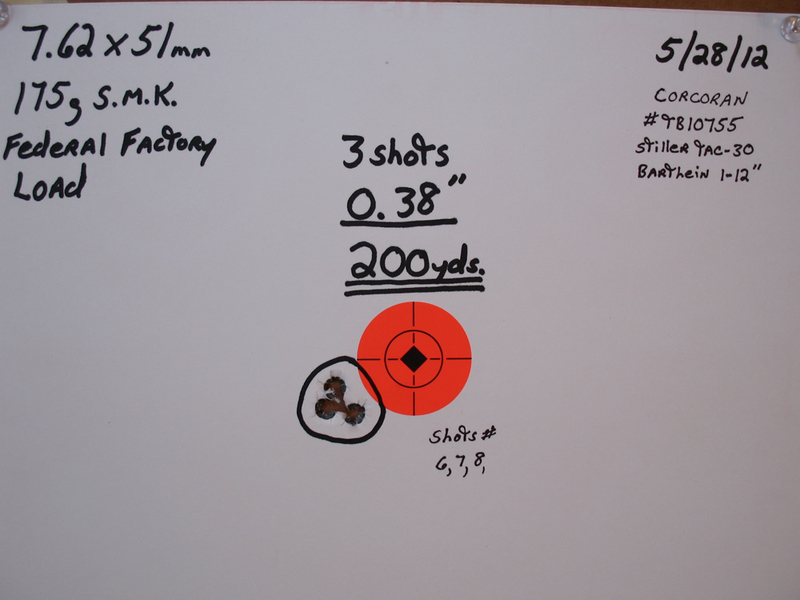 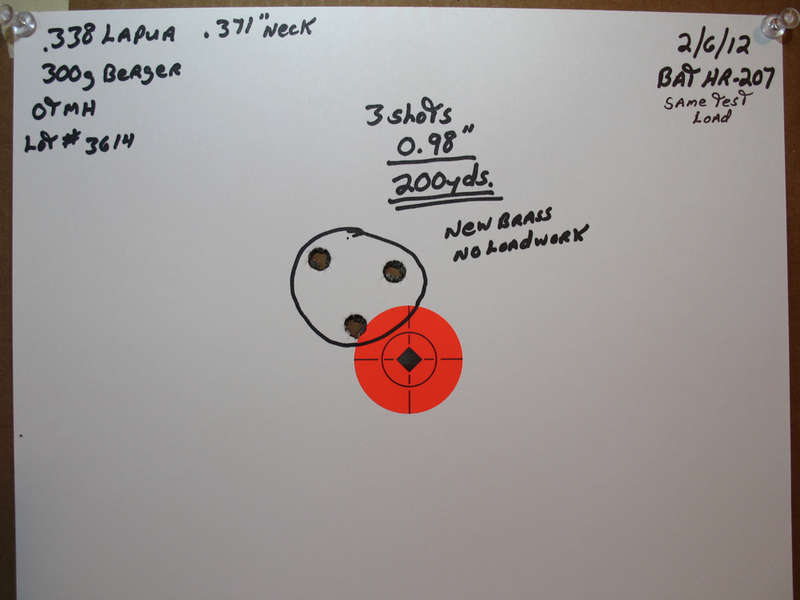 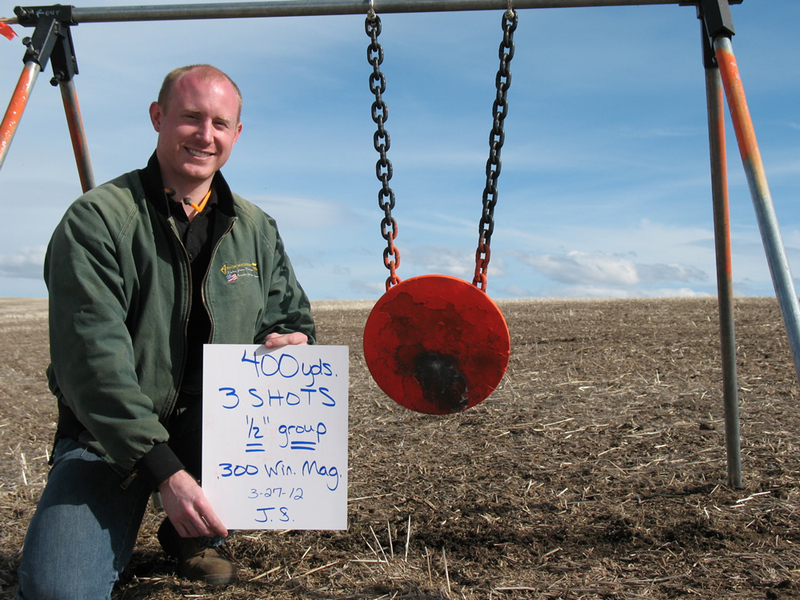 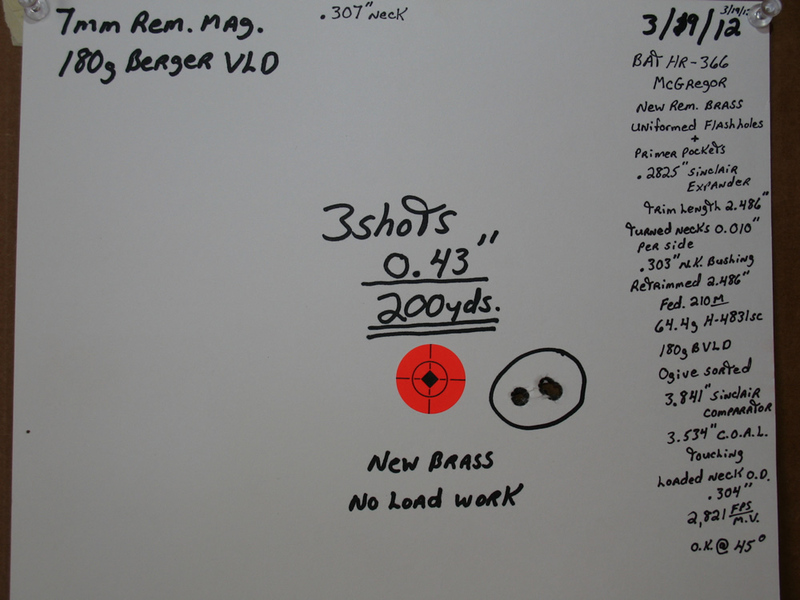 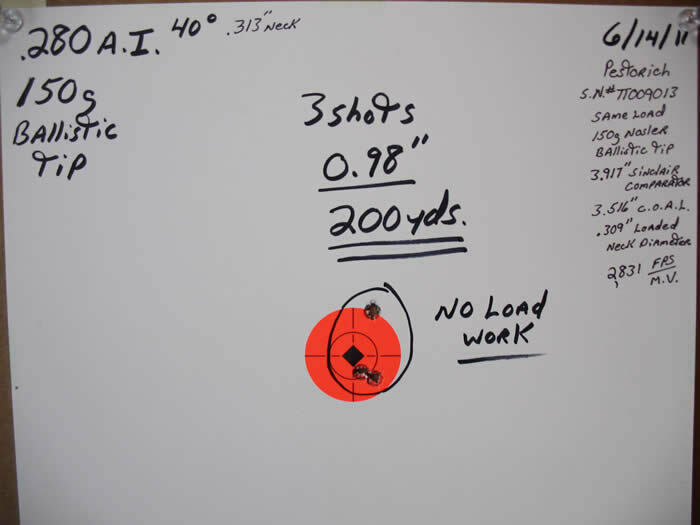 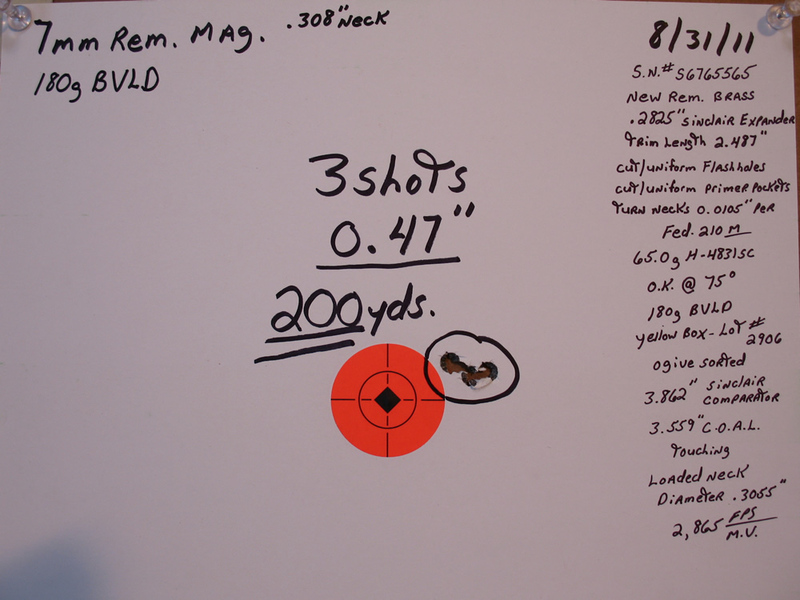 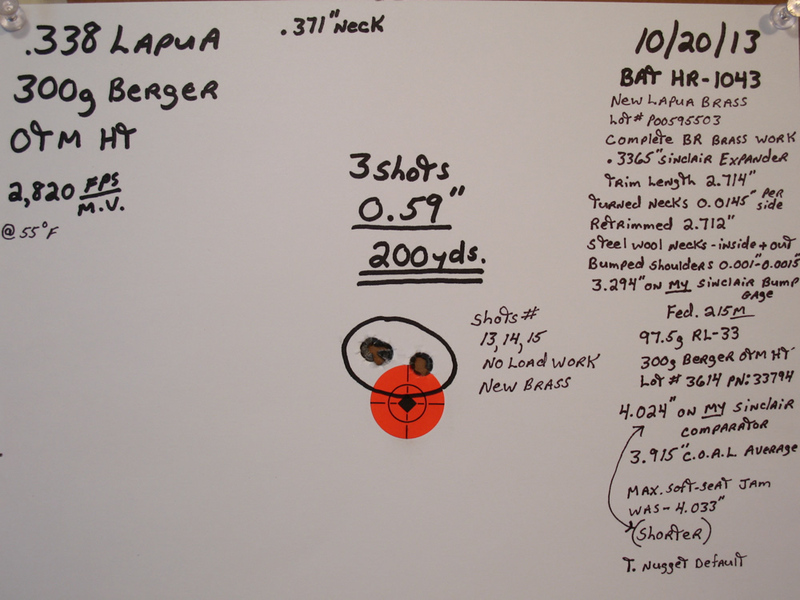 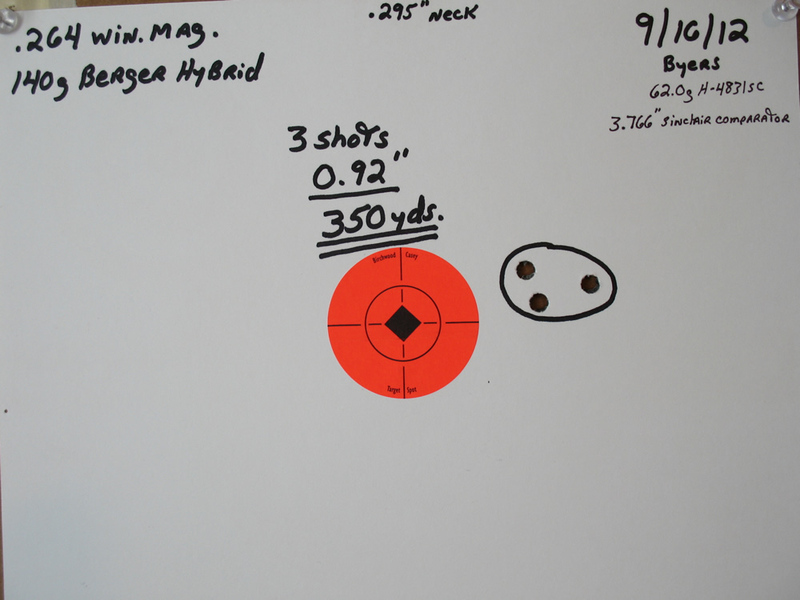 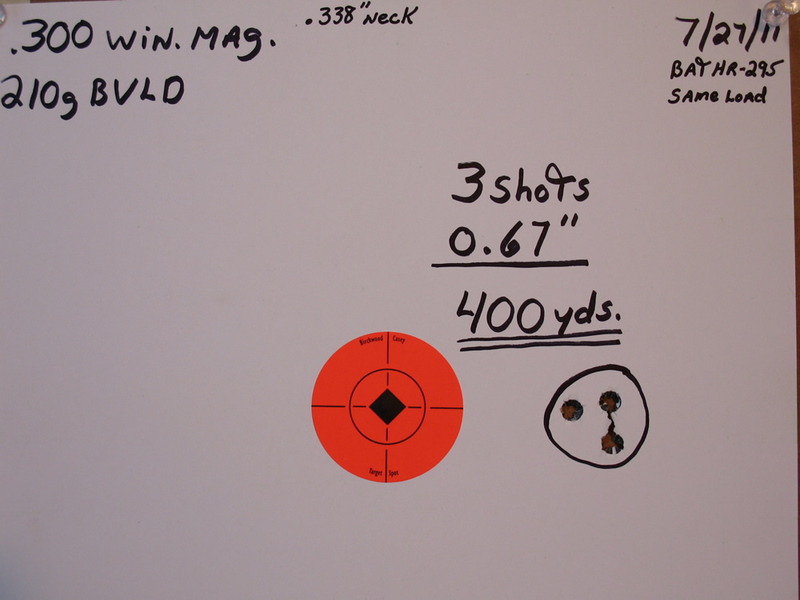 Most of the groups shown are simply "representative groups" that were fired with new brass and no specific load work!!! 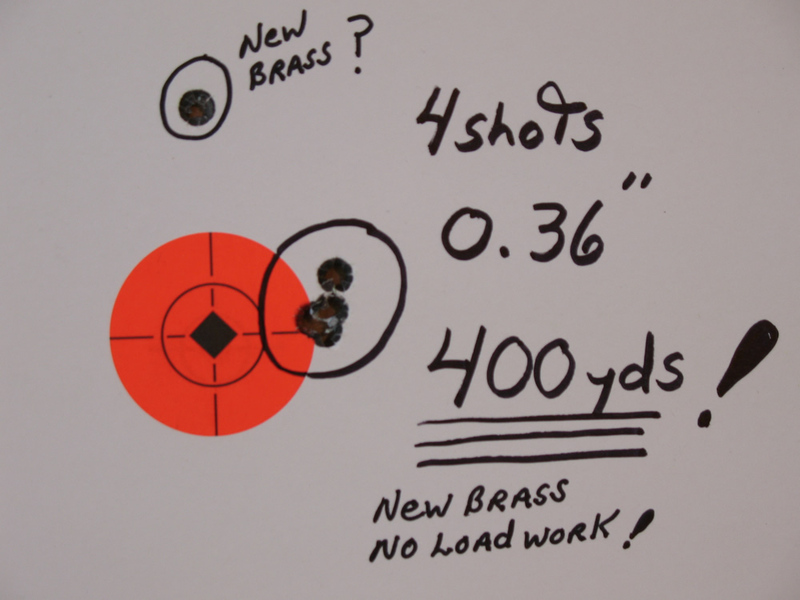 Tailored loads do much better!!! throated for 195g Berger E.H.
Brux 1-8.5", #19, fluted, S.S.
Includes scope, rings, all accessories & shipping. 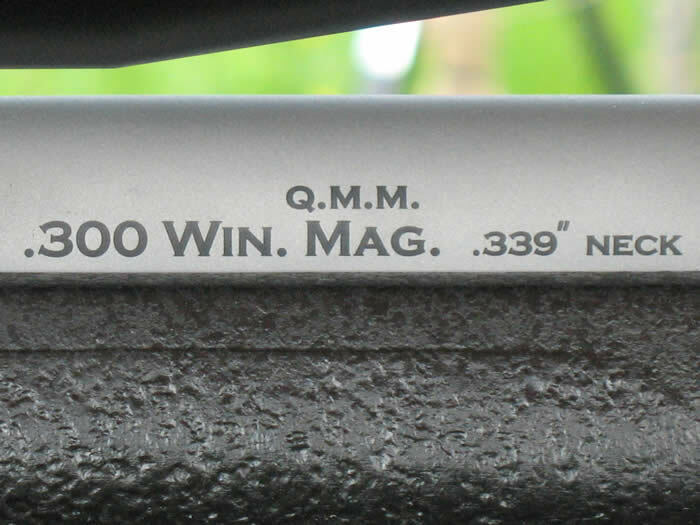 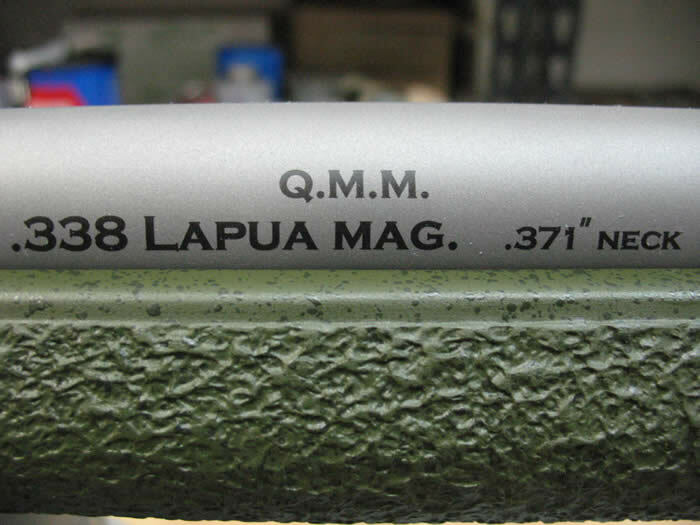 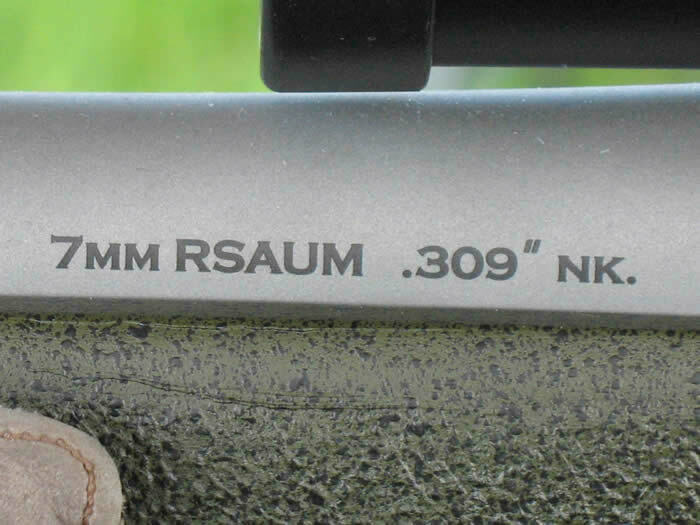 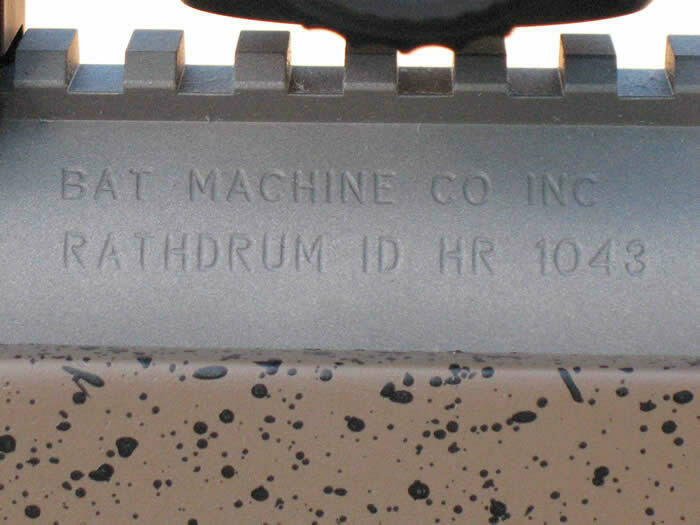 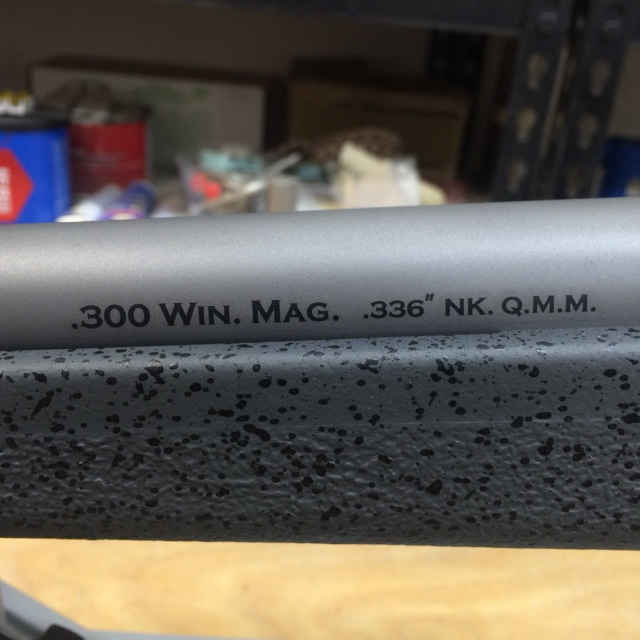 As of 6/15/18 this rifle has fired 100 testing rounds. 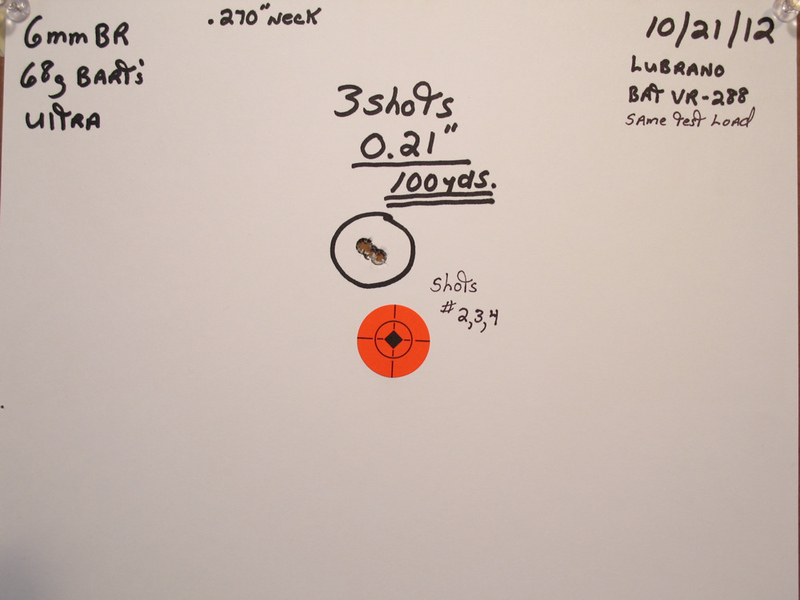 Unless someone buys it first, I plan to compete with it in IBS 1000 yard competition. 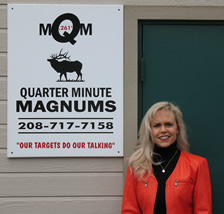 If you want it - call NOW! 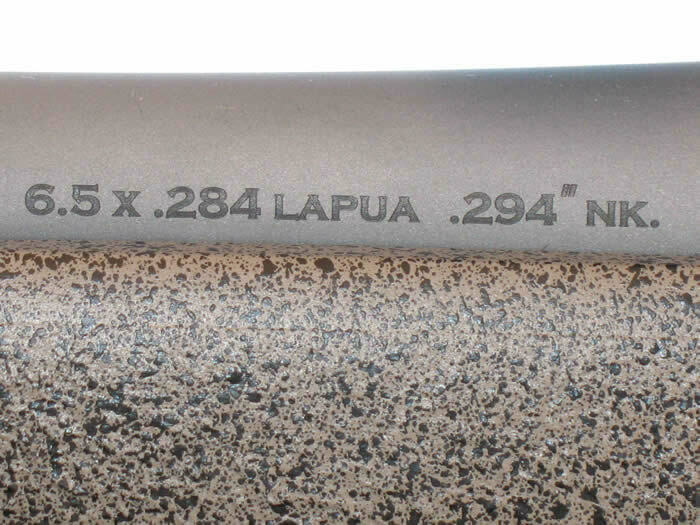 Bartlein 1-11.5”, 5R, 6-flute, S.S., 29"
4 groove, S.S., .256" x .264"
10 flute, 4 groove, S.S.
CRYO'd, 10 flute, 4 groove, S.S. 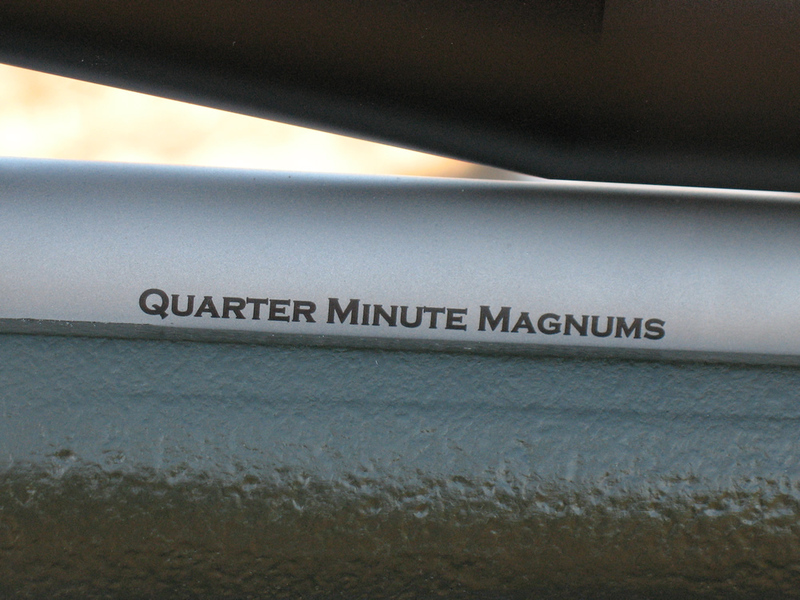 Built as BDL repeater - functions as a single shot with 195g Bergers. 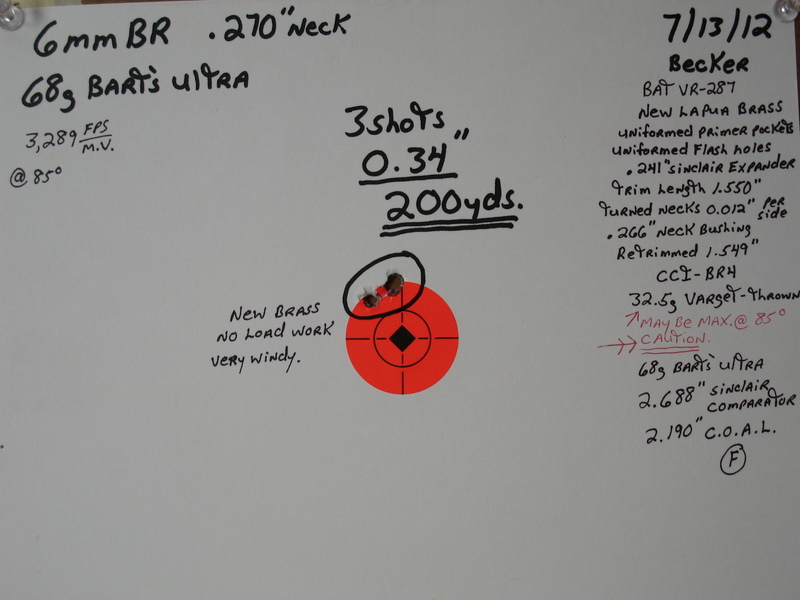 Bartlein 1-10.3”, 5R, 6-flute, S.S., 29"
Brux 1-8.5”, RV, 4-groove, fluted, S.S.
100 yards 5 mph cross wind includes fouling shot. 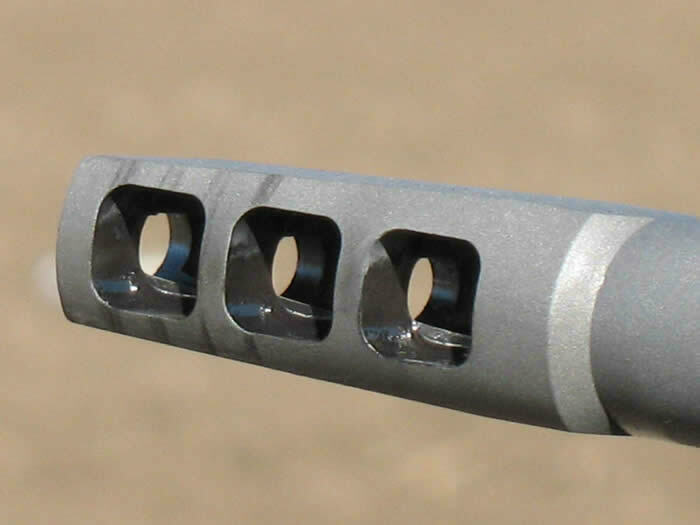 Brux 1-11.25”, #19 Hunter, fluted, CRYO'd, 4-groove, S.S.
CRYO'd, Bartlein, 5R, 6-flute, S.S.
Krieger 1-11.25”, #19 Hunter, fluted, CRYO'd, 5R, 5-groove, S.S.
Bartlein 1-9.5”, 5R, non-fluted, 5 groove, S.S., 1.250"x.900"
6.5 x .284 Lapua, .294” Neck dia. 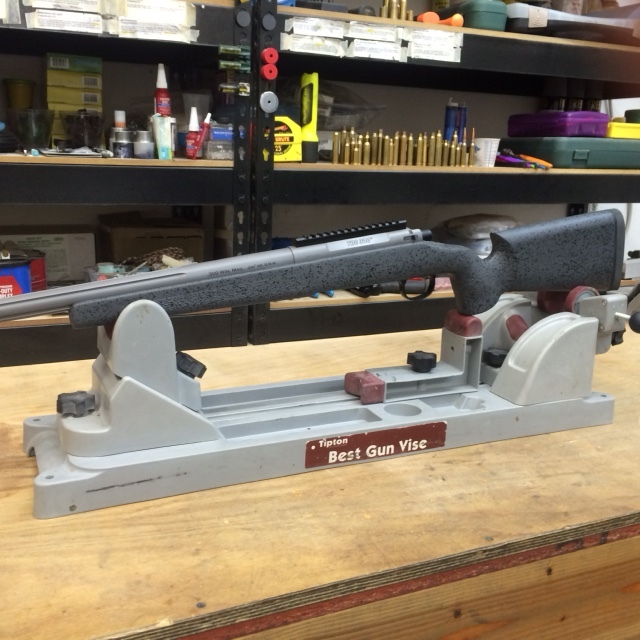 Krieger 1-8”, #5.5 Sporter, 10-flute, 5groove, 5R, S.S.
LOAD WORK HAS BEEN DONE. Shoots multiple bullets to same point of impact ! 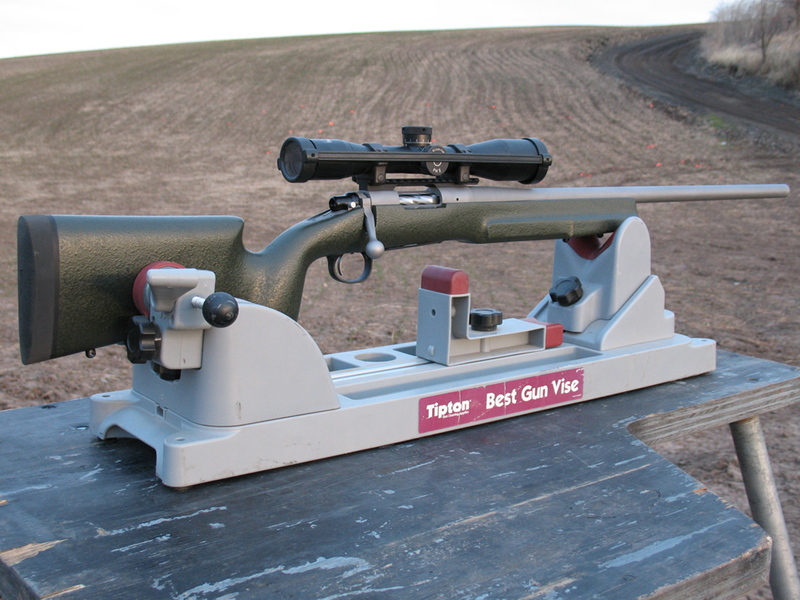 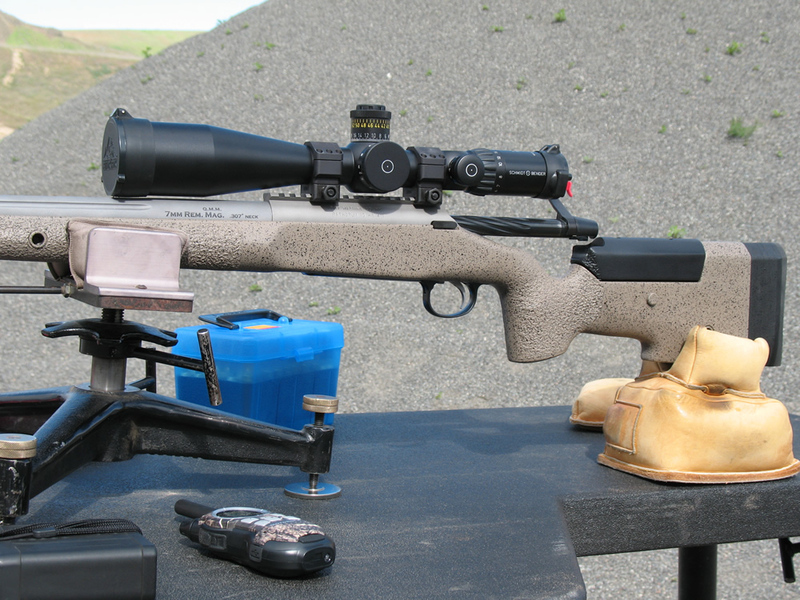 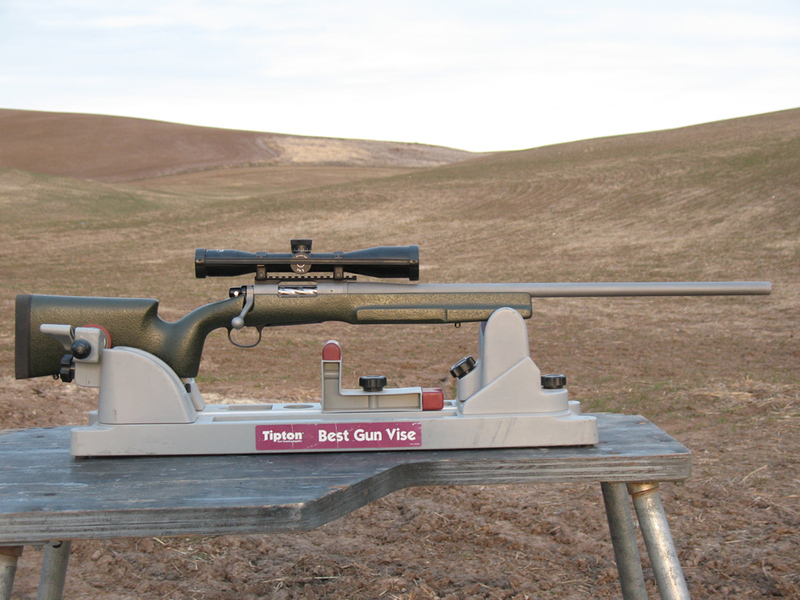 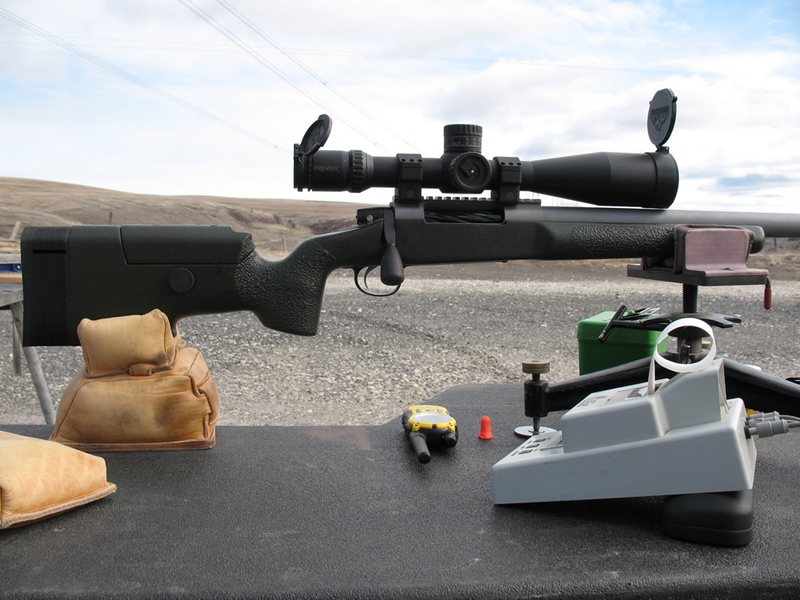 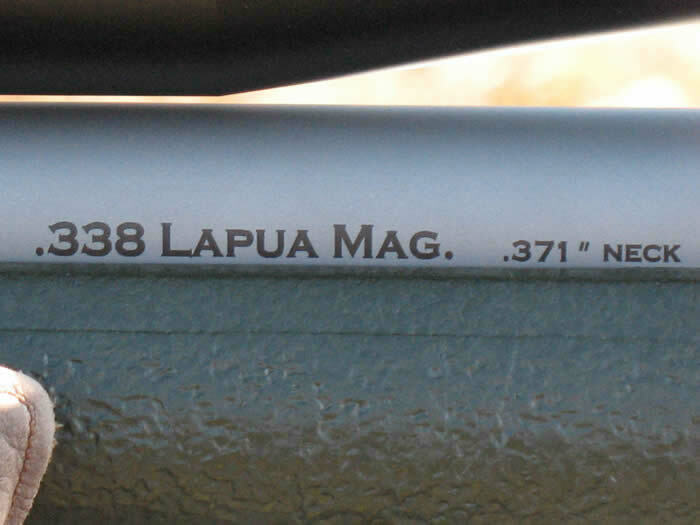 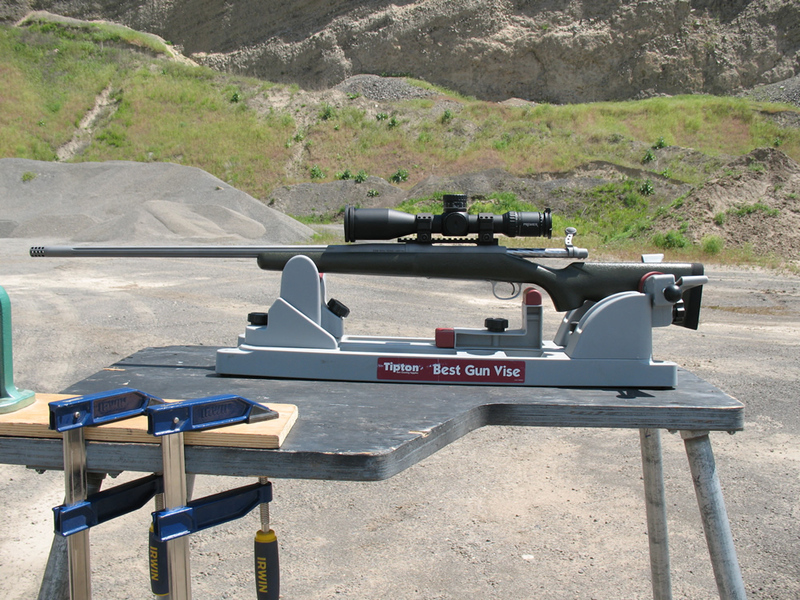 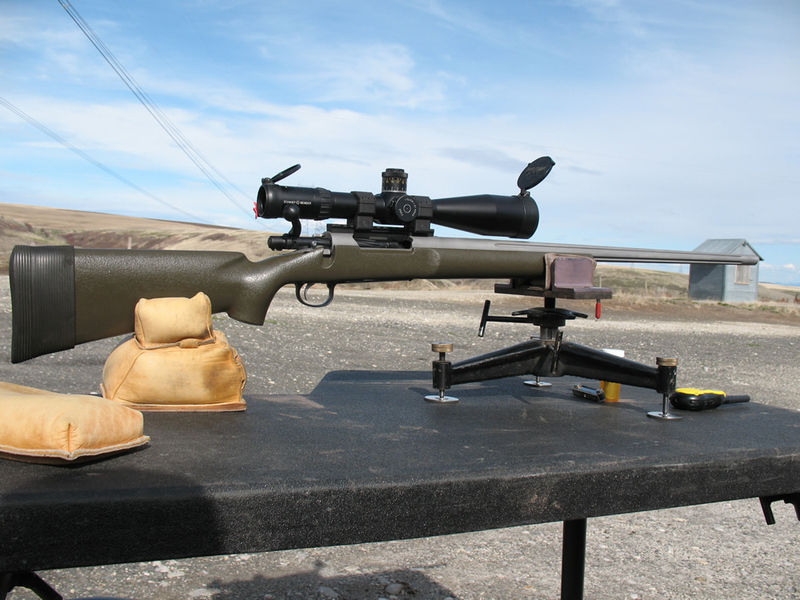 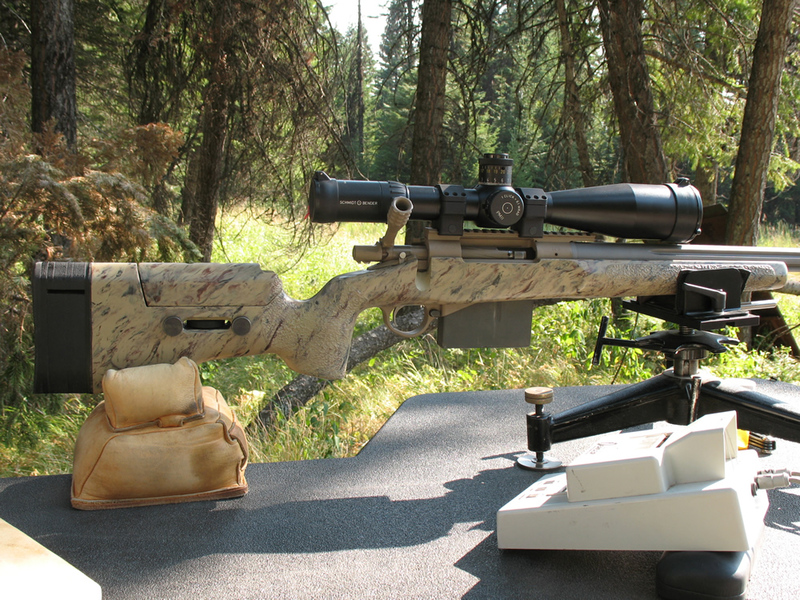 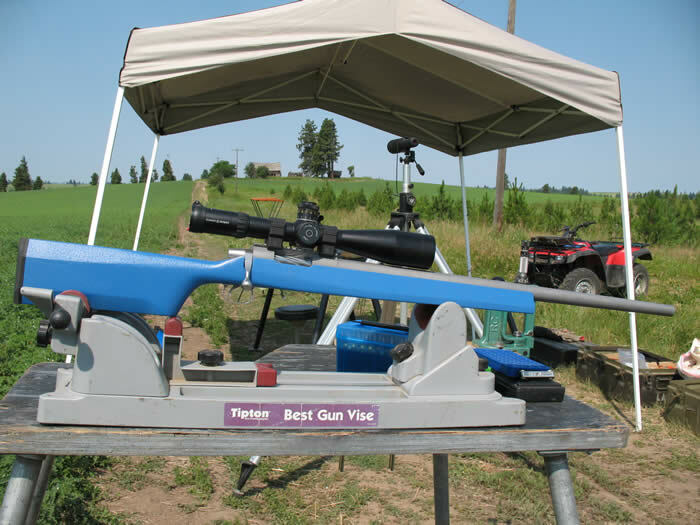 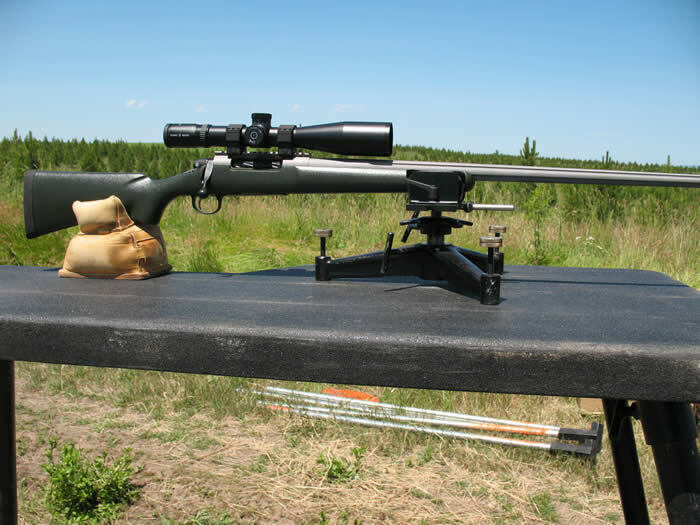 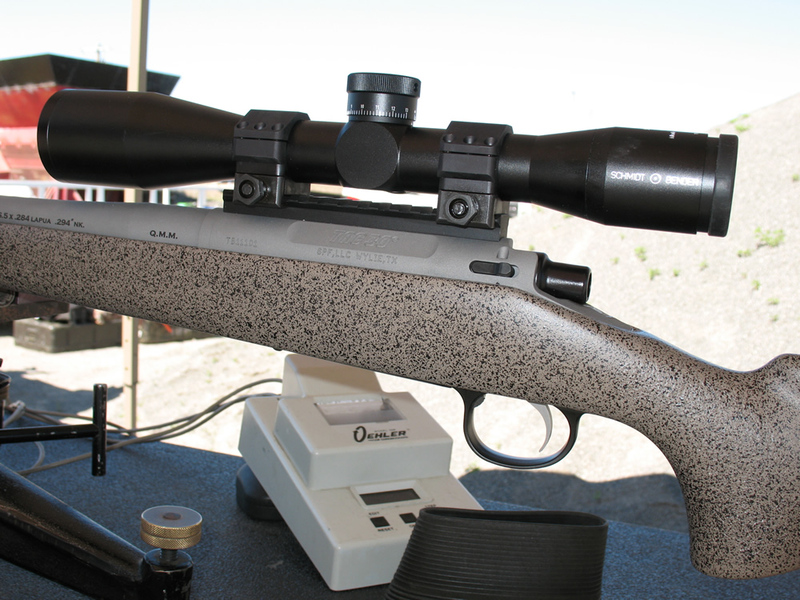 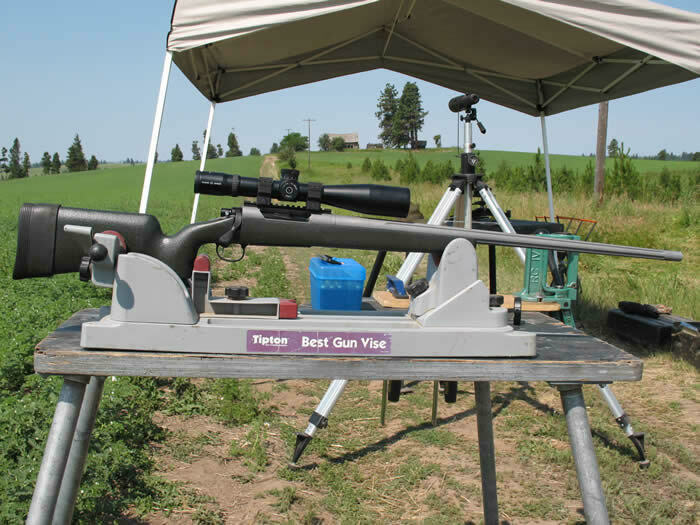 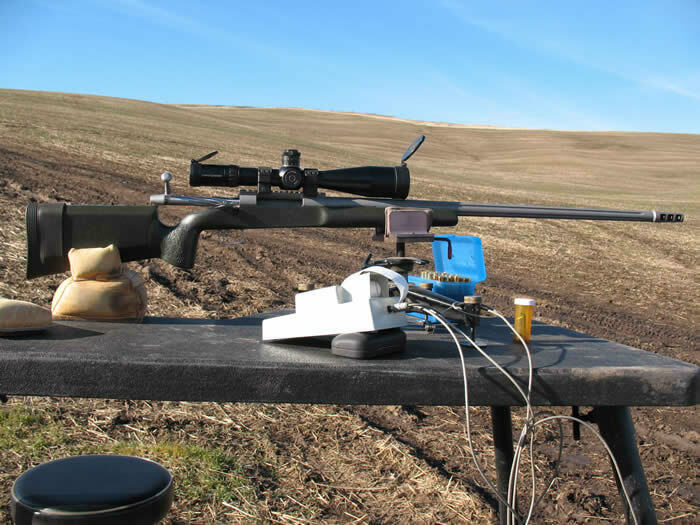 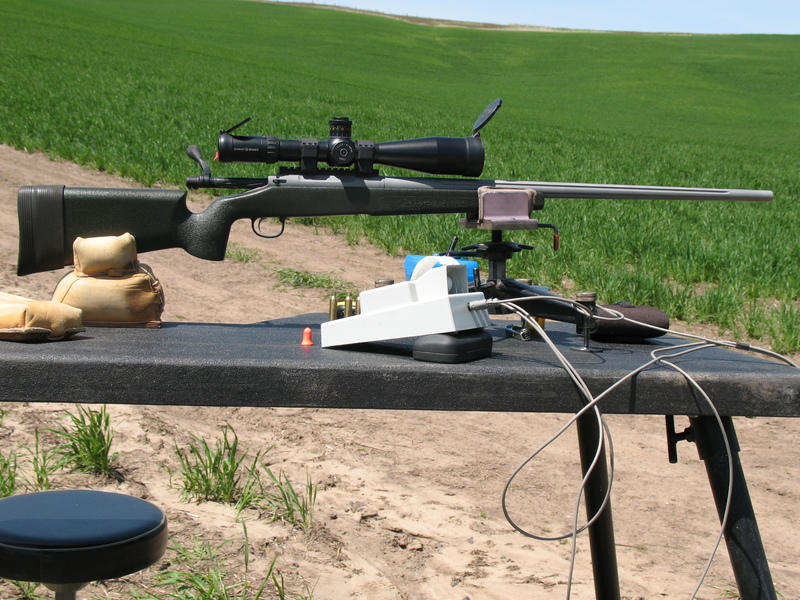 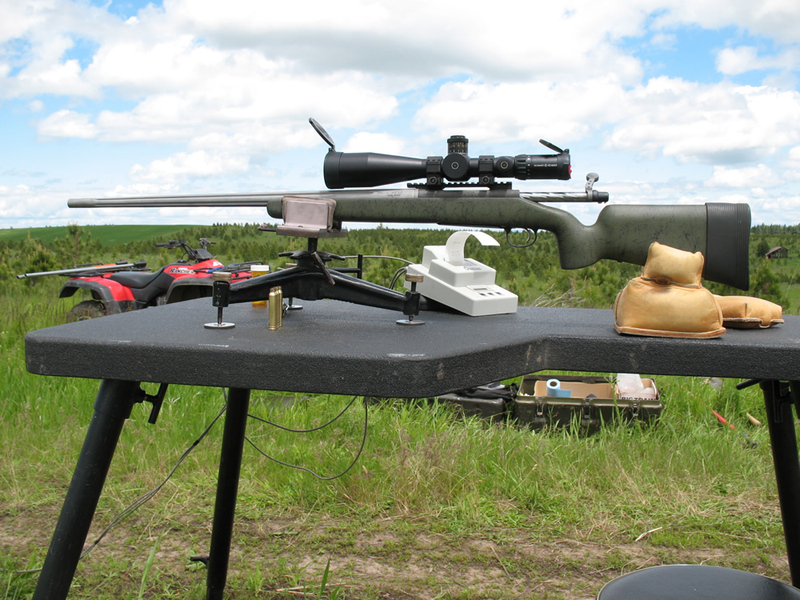 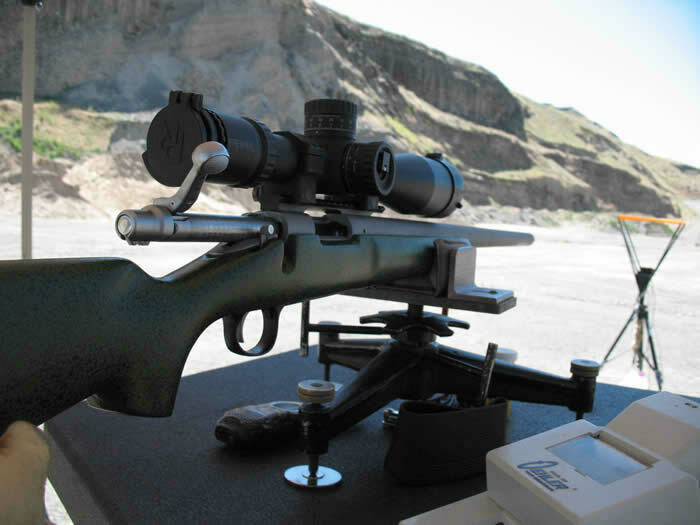 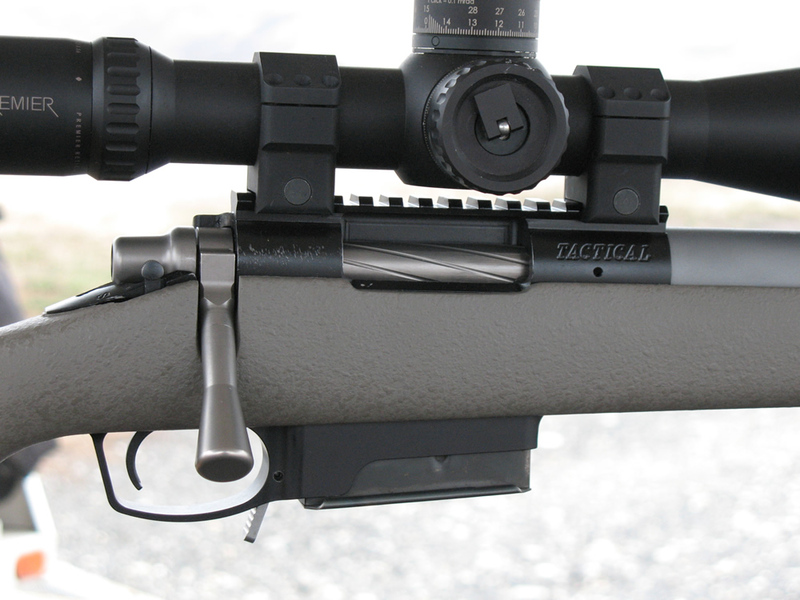 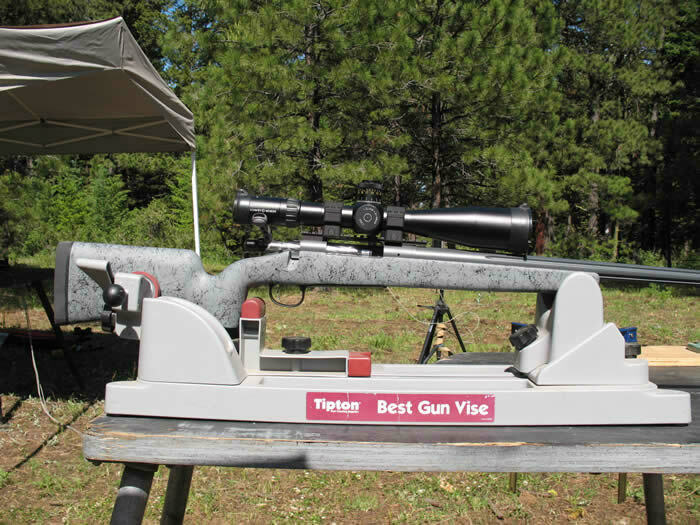 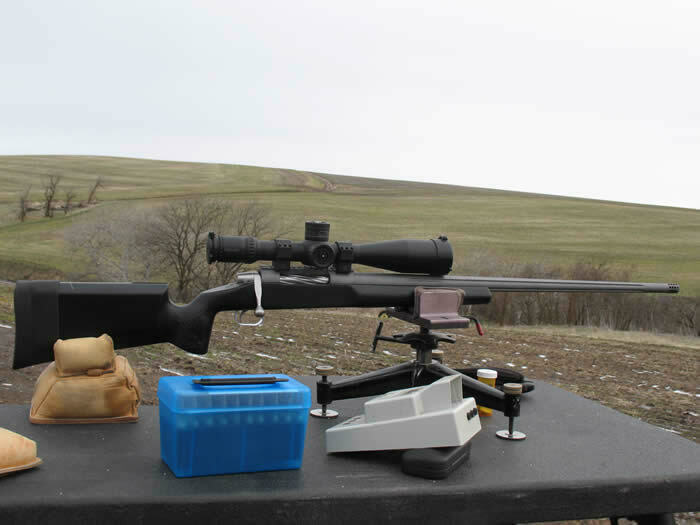 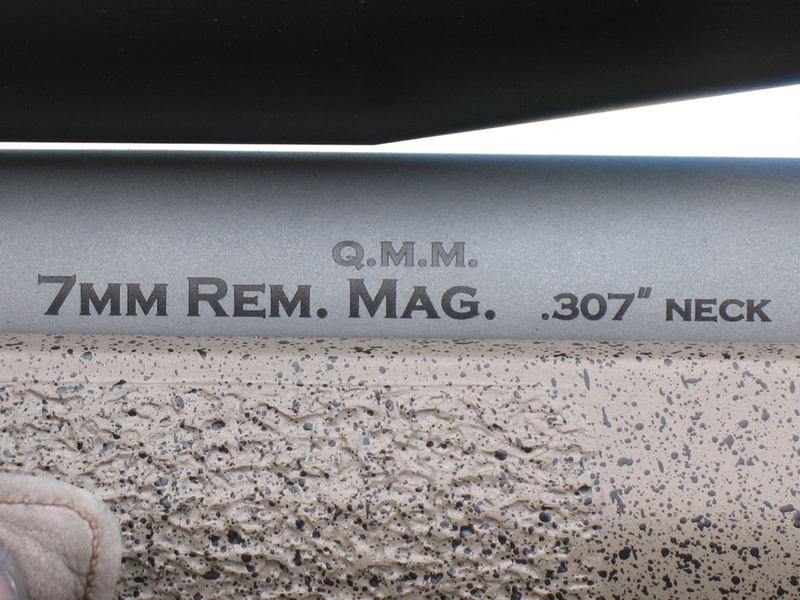 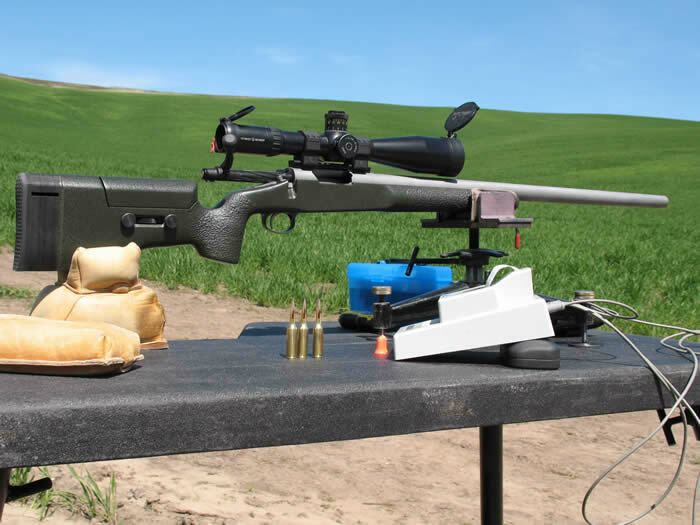 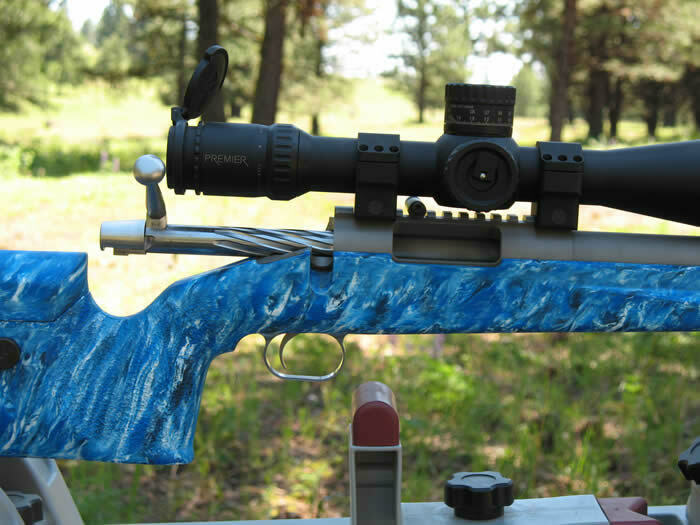 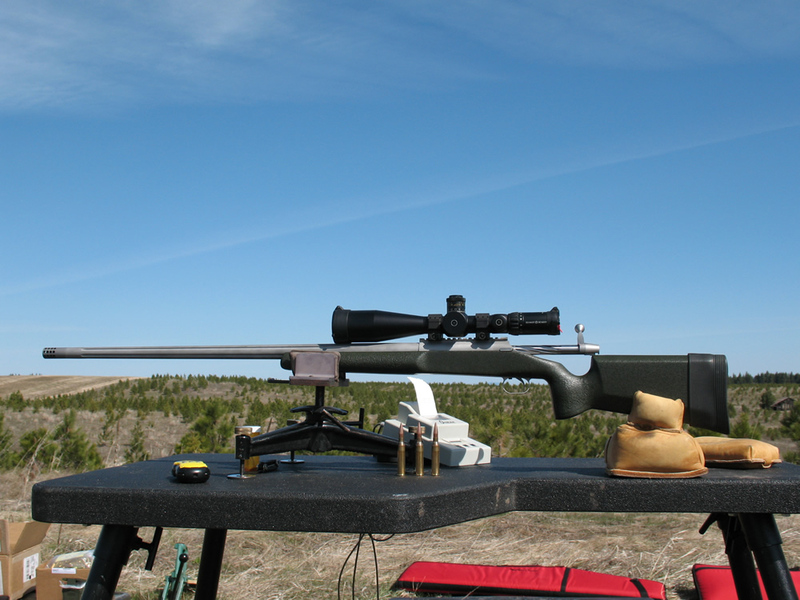 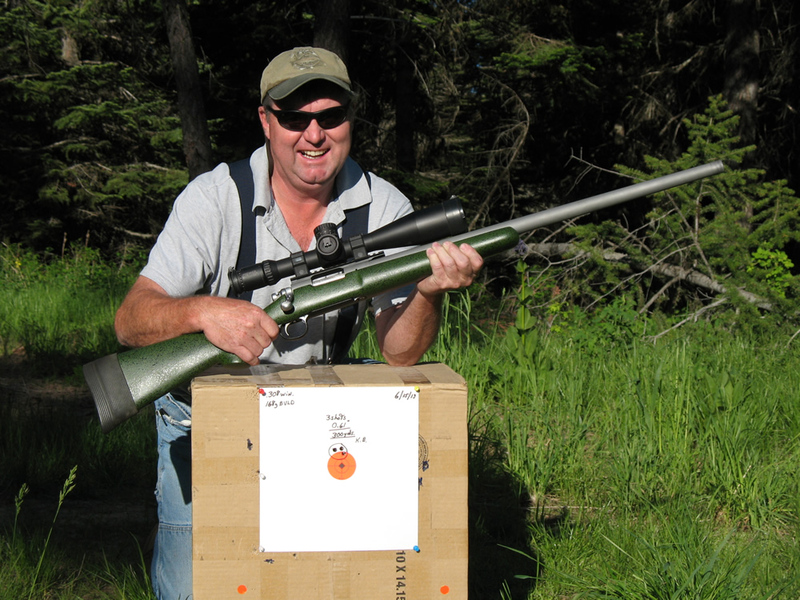 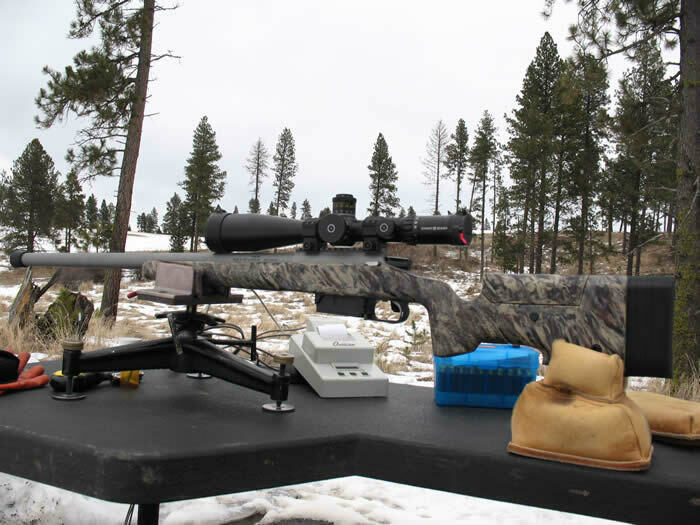 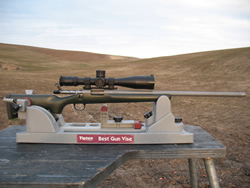 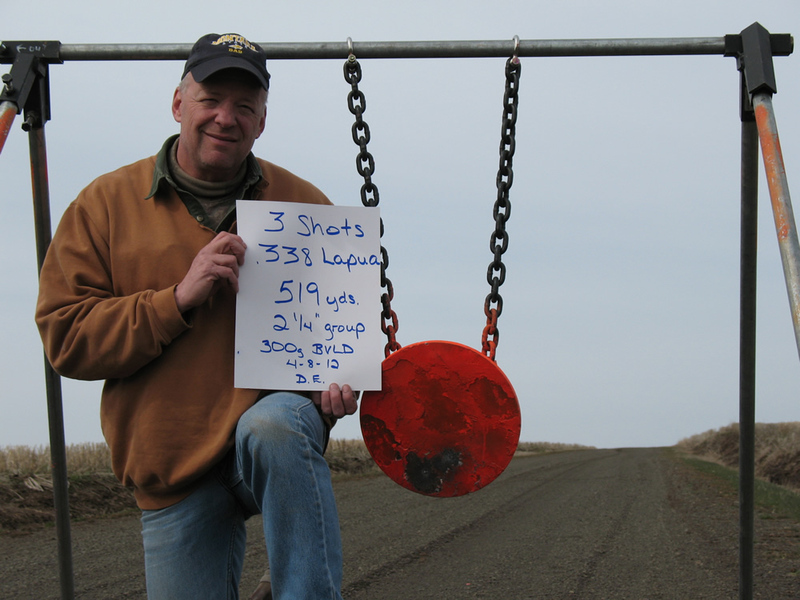 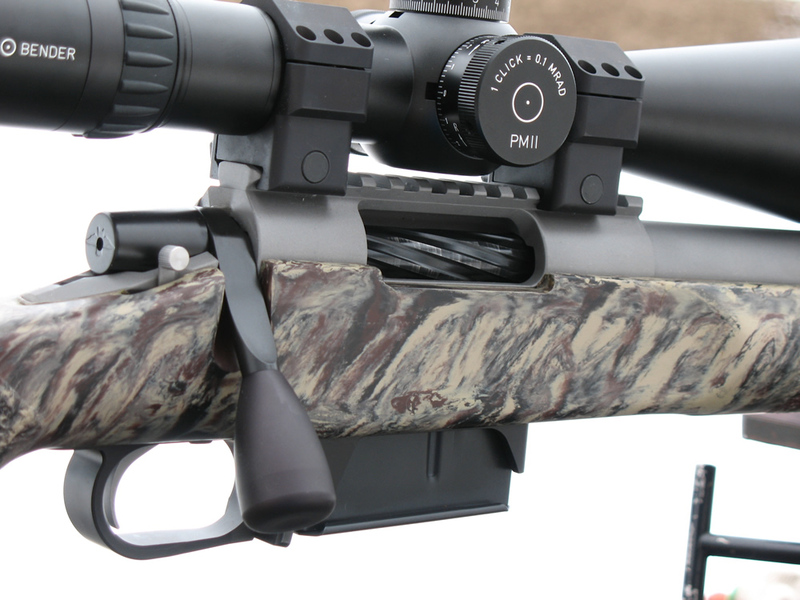 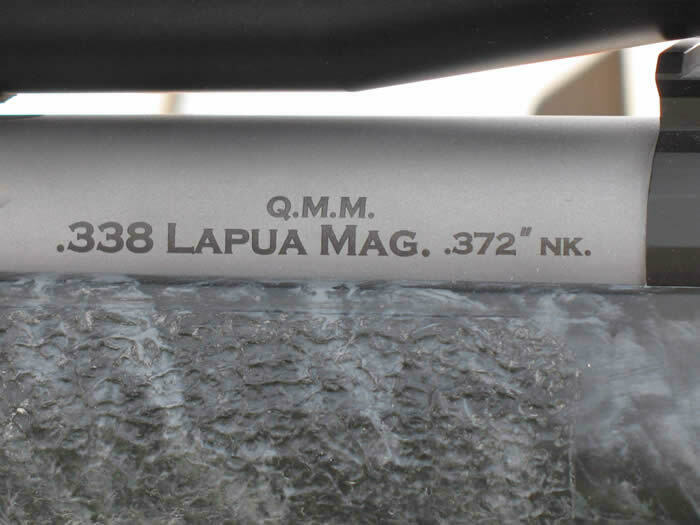 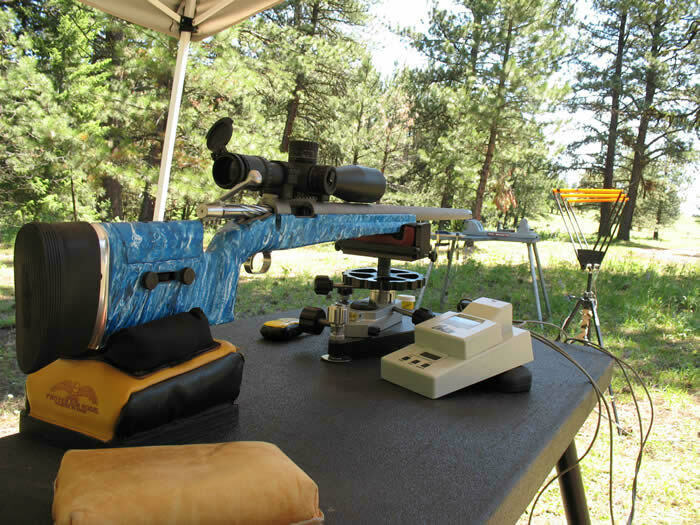 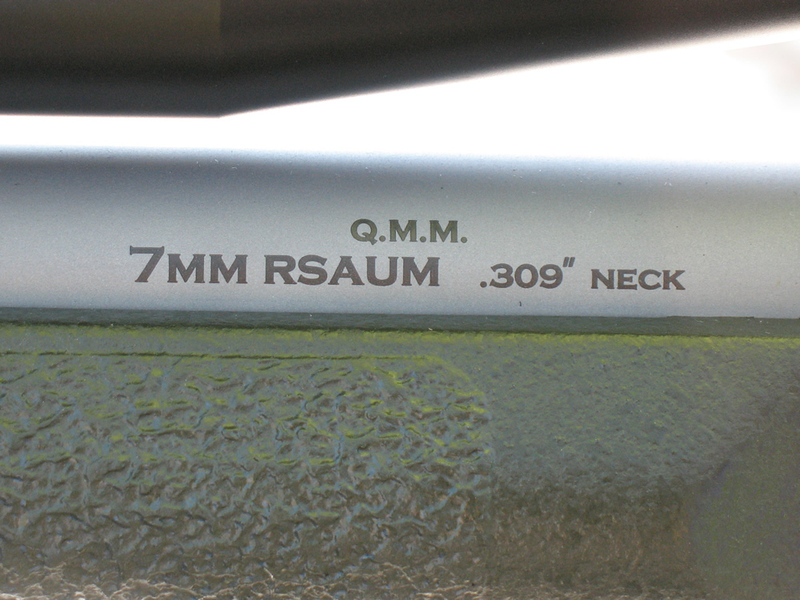 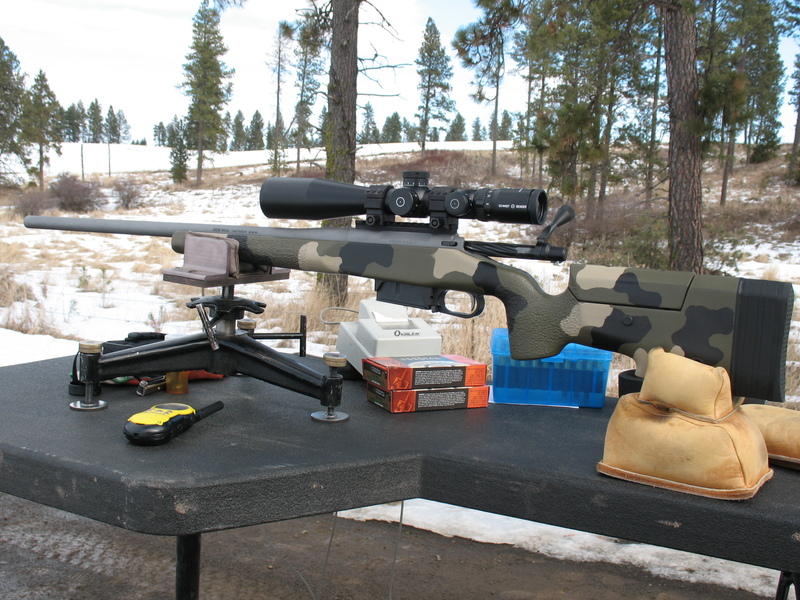 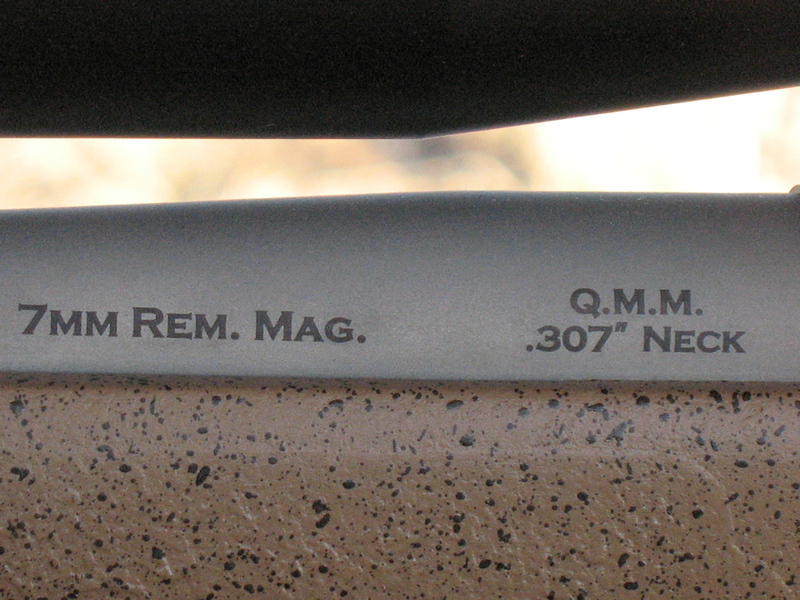 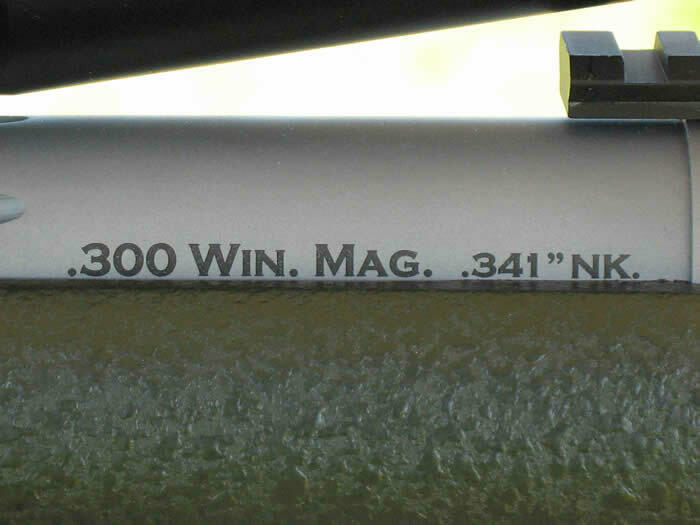 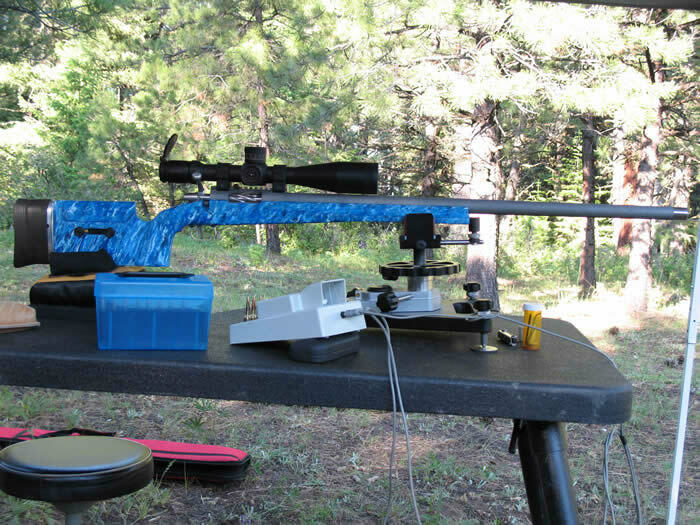 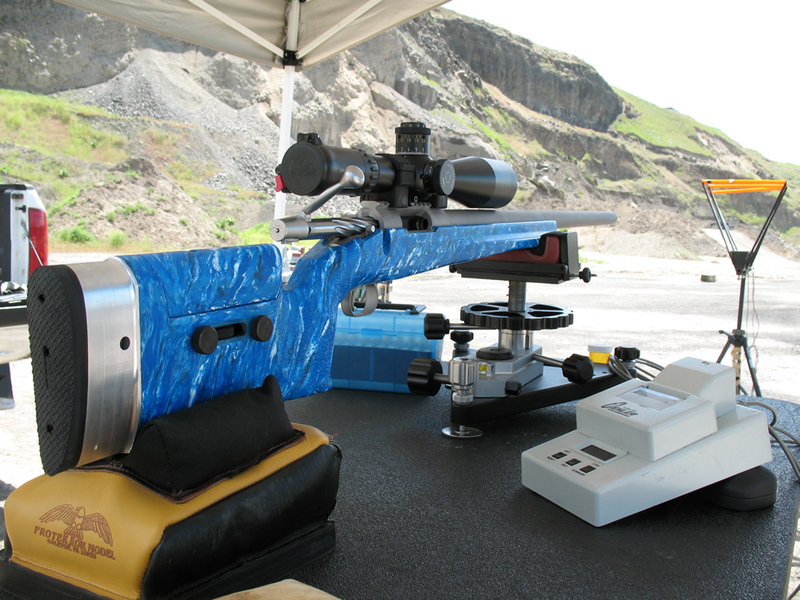 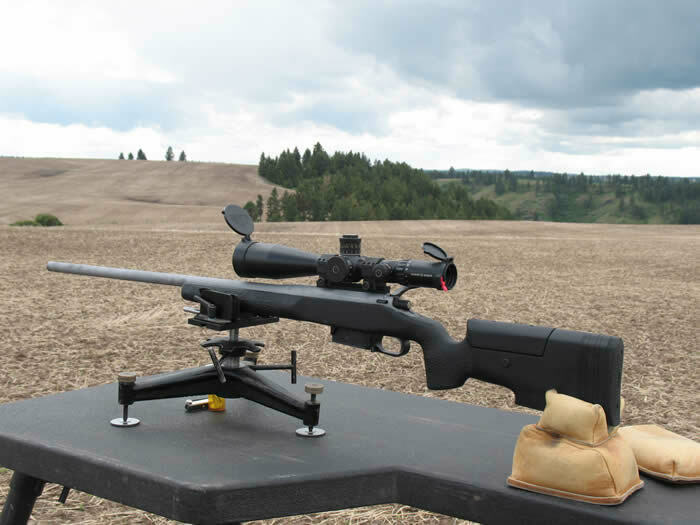 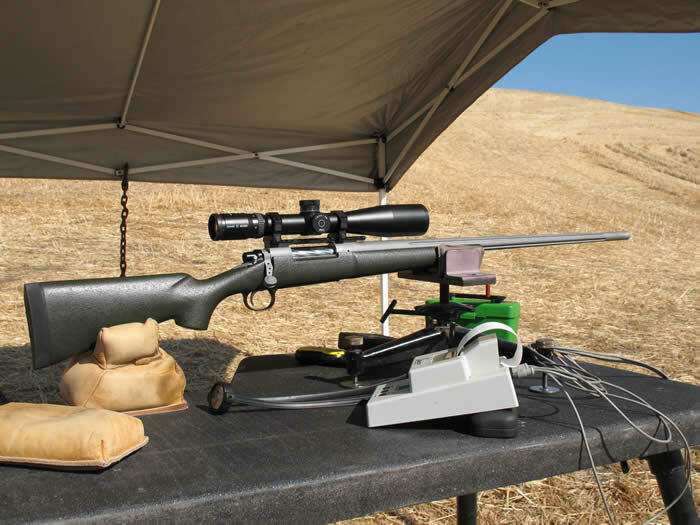 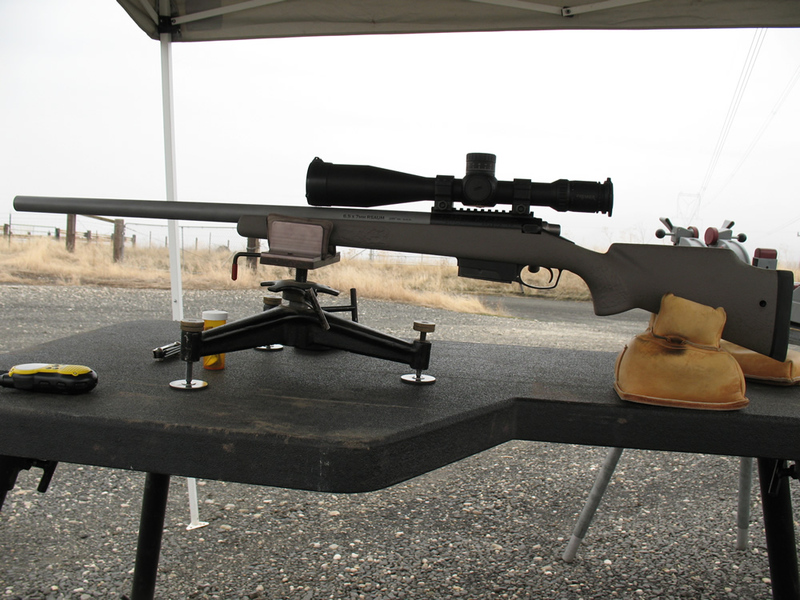 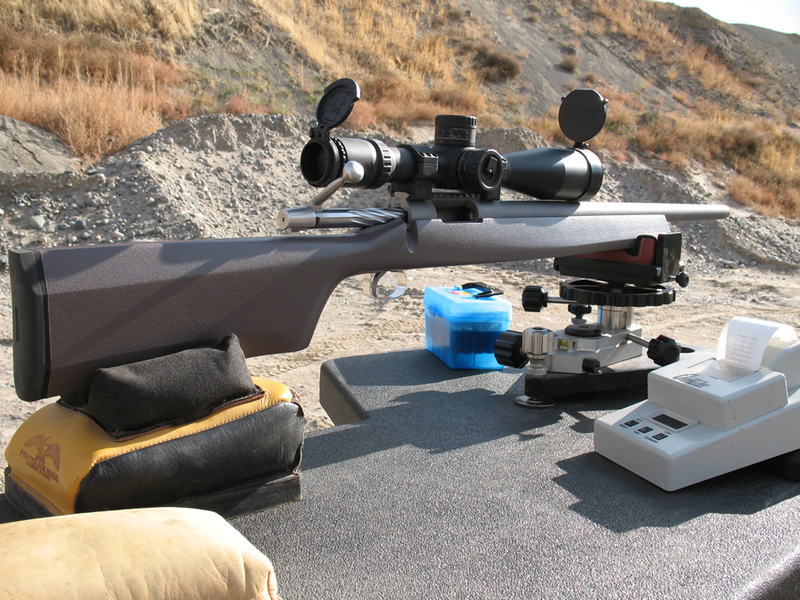 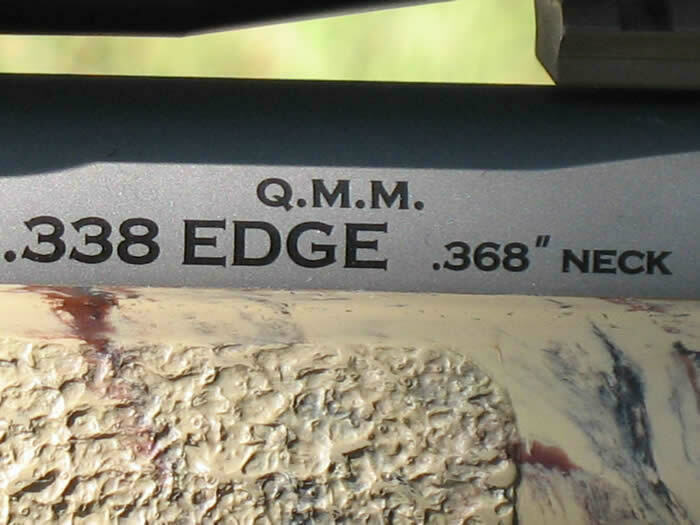 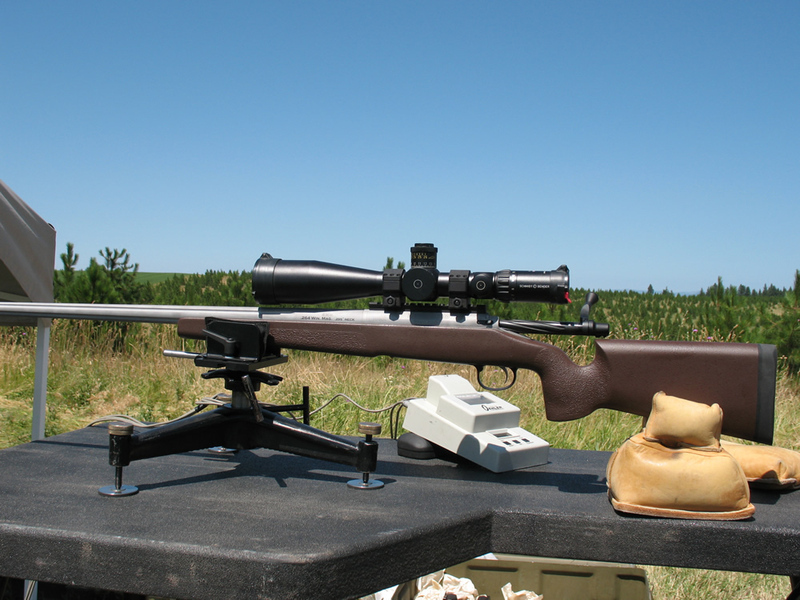 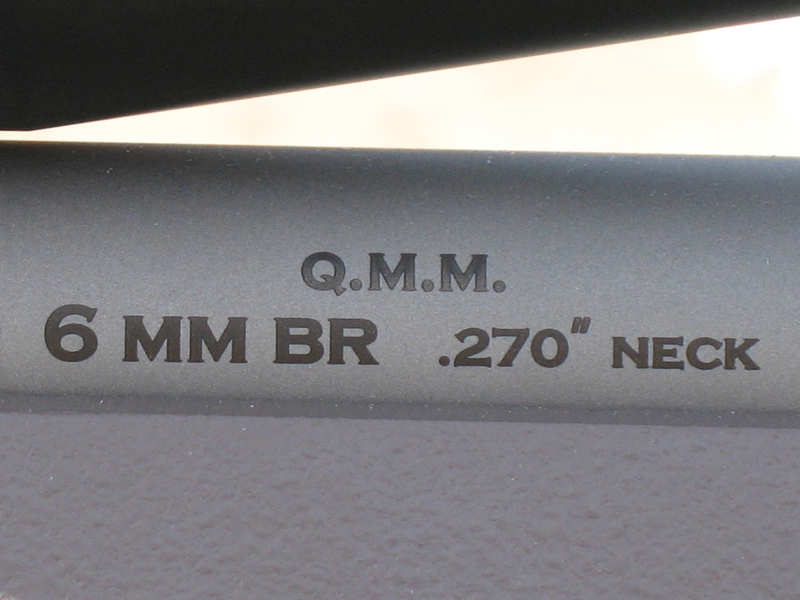 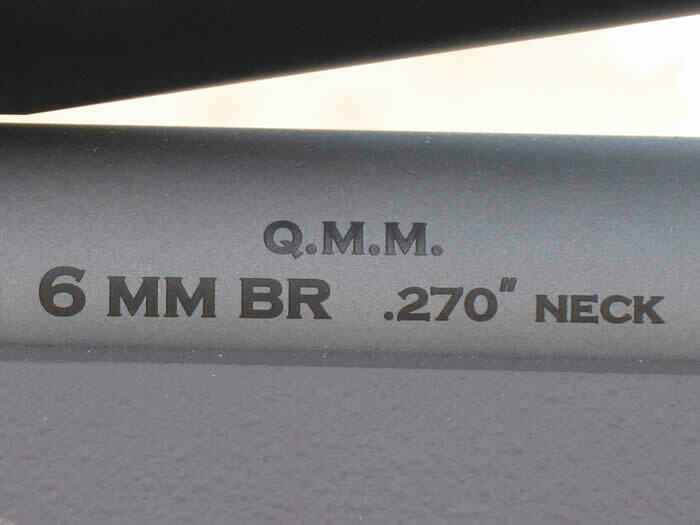 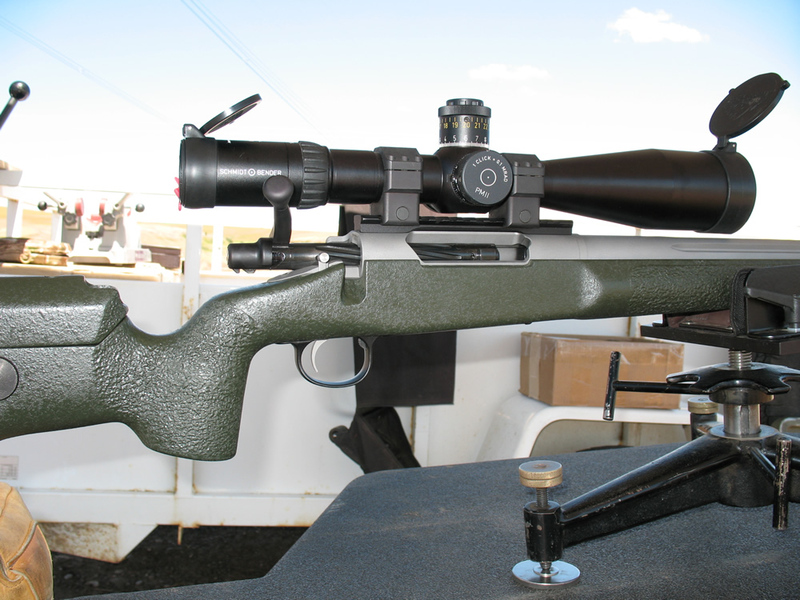 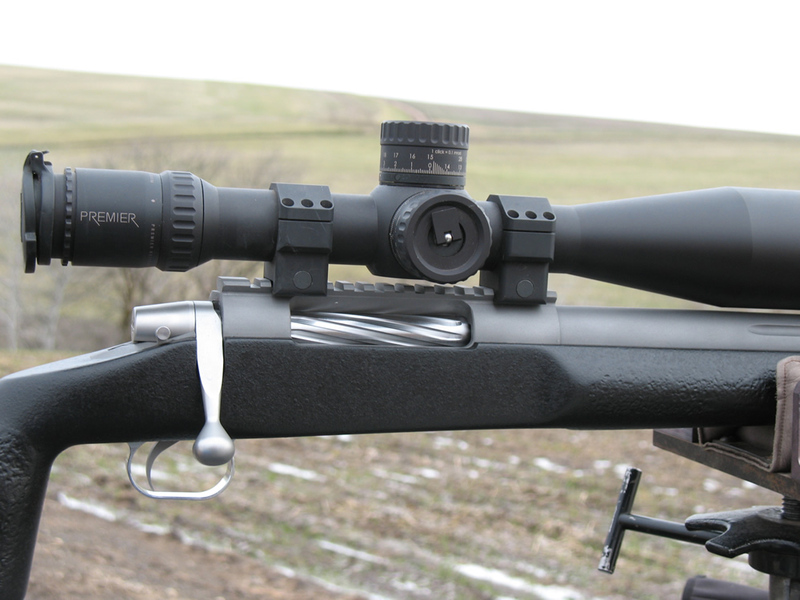 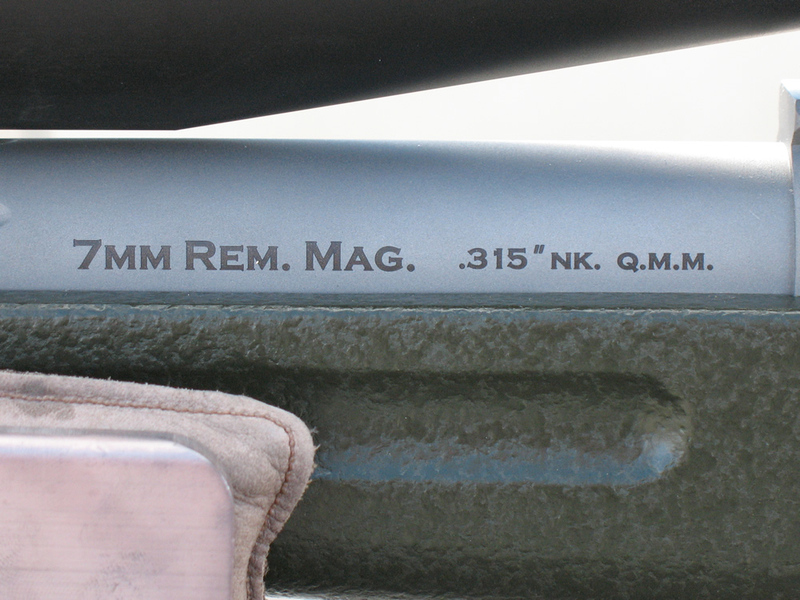 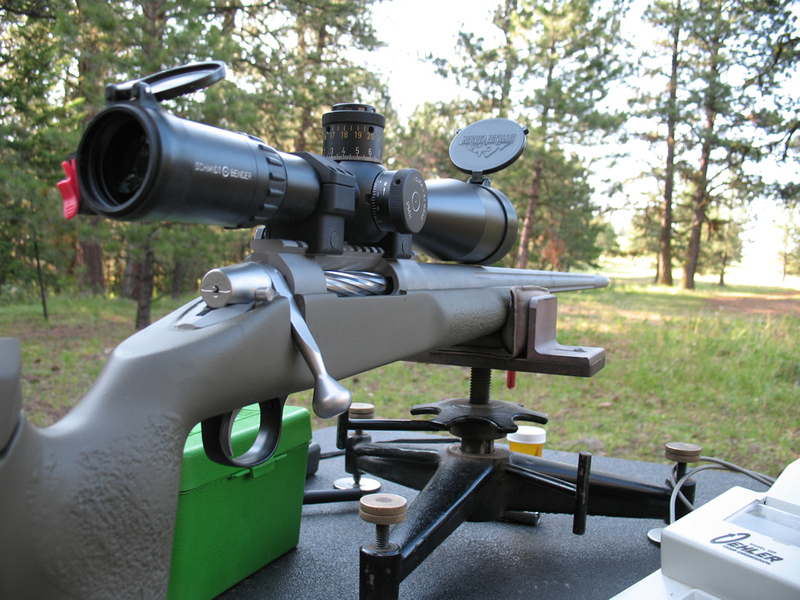 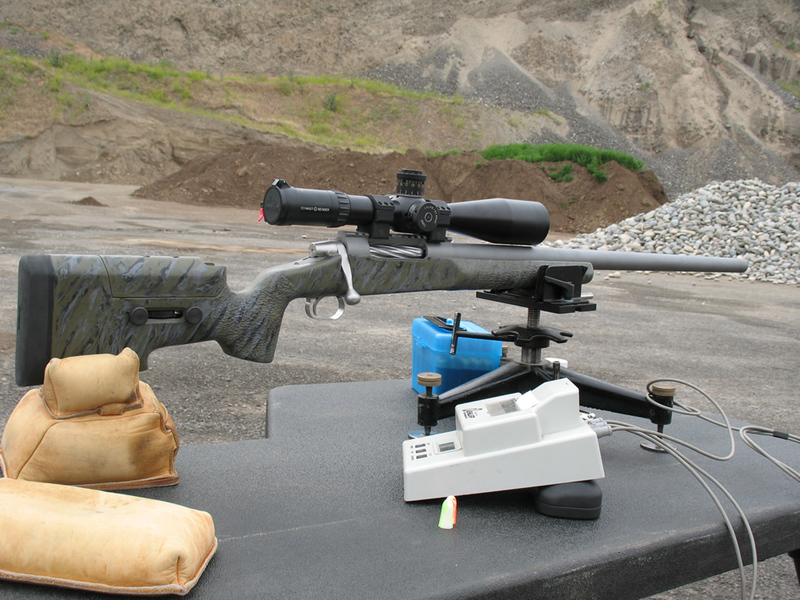 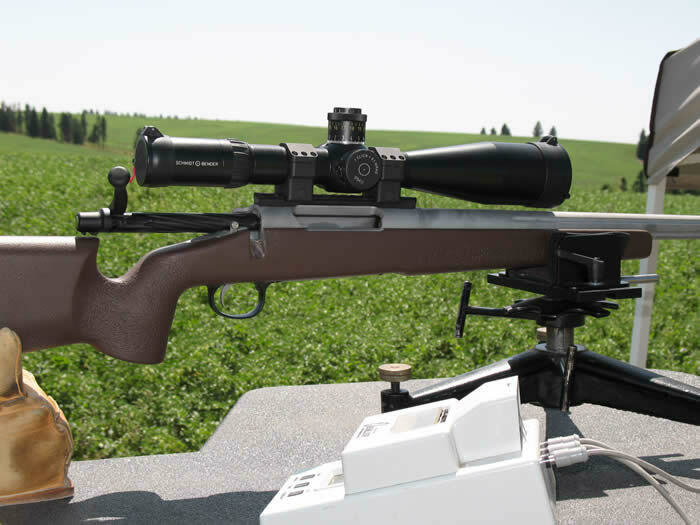 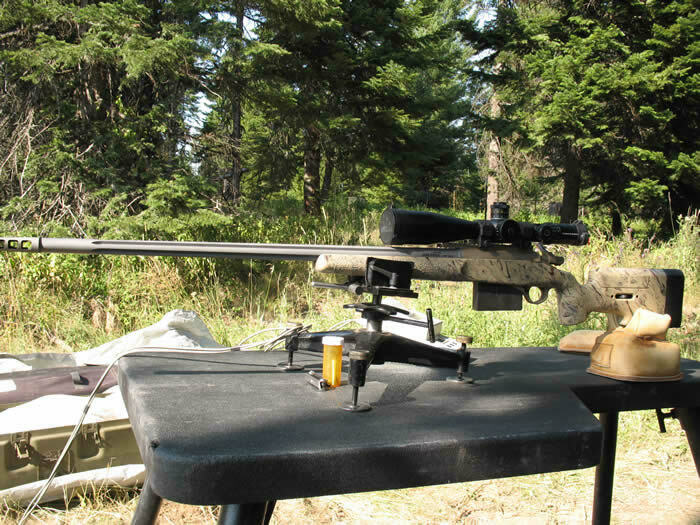 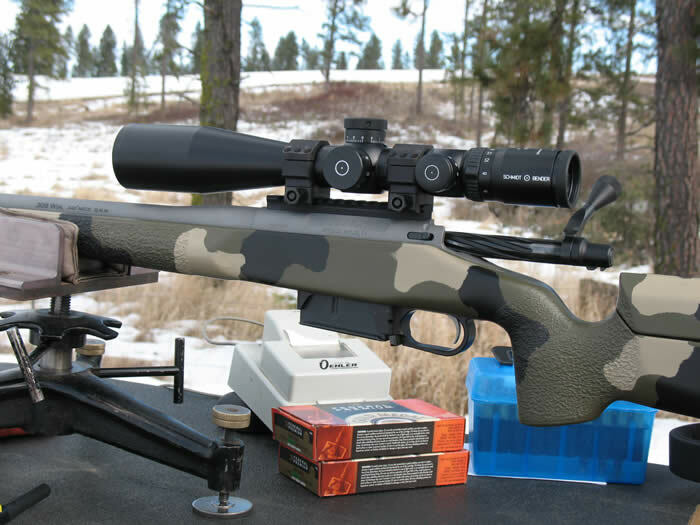 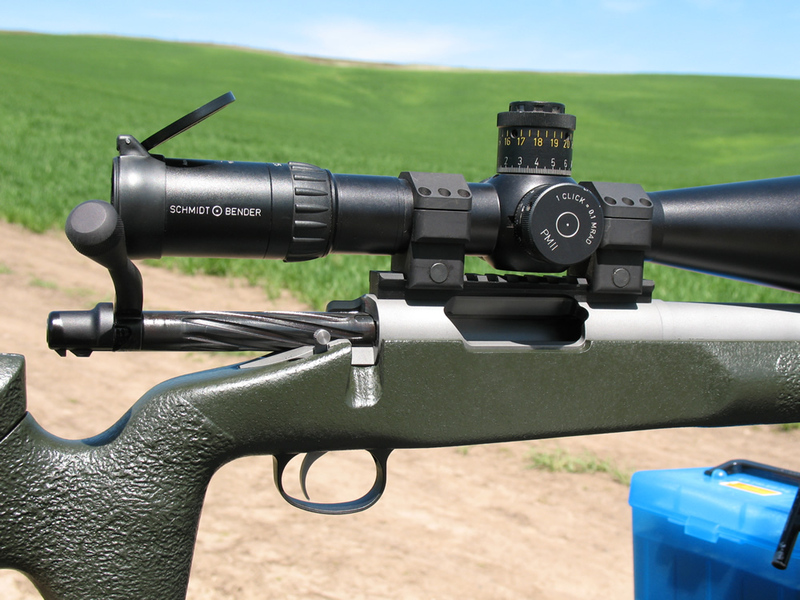 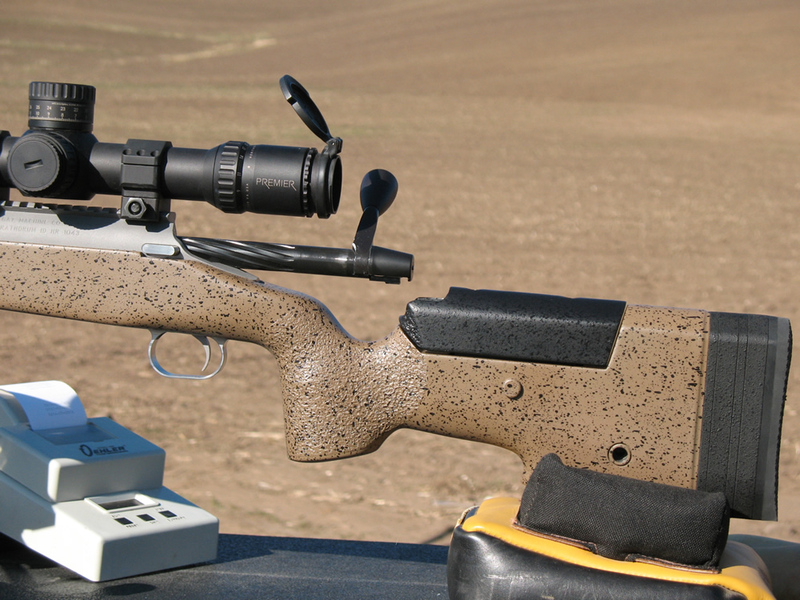 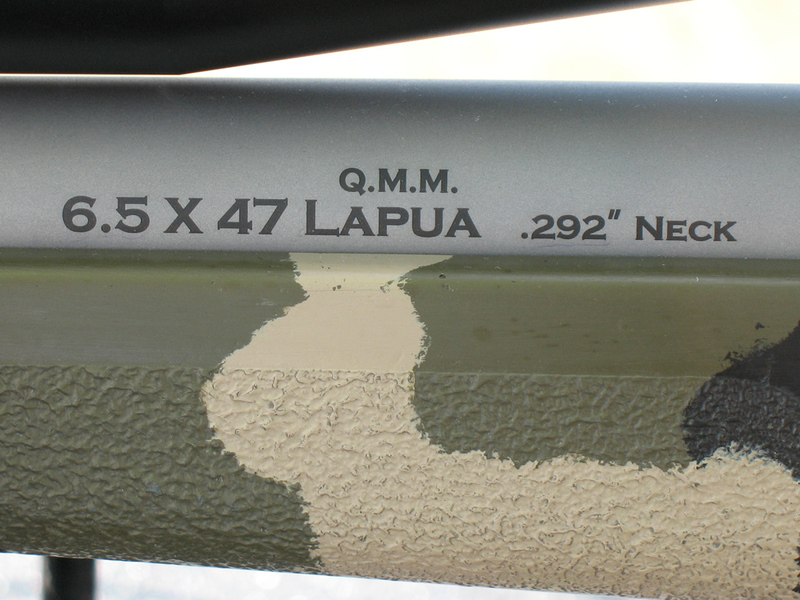 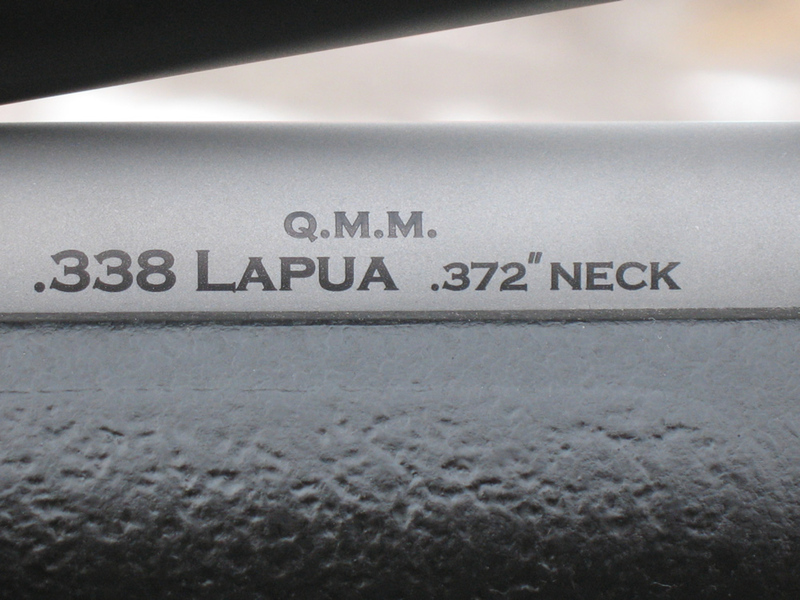 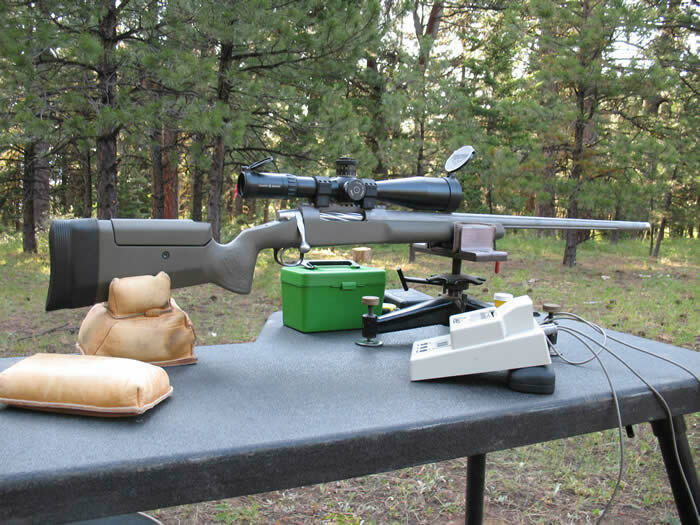 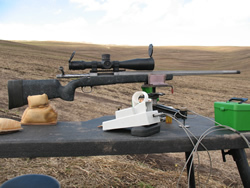 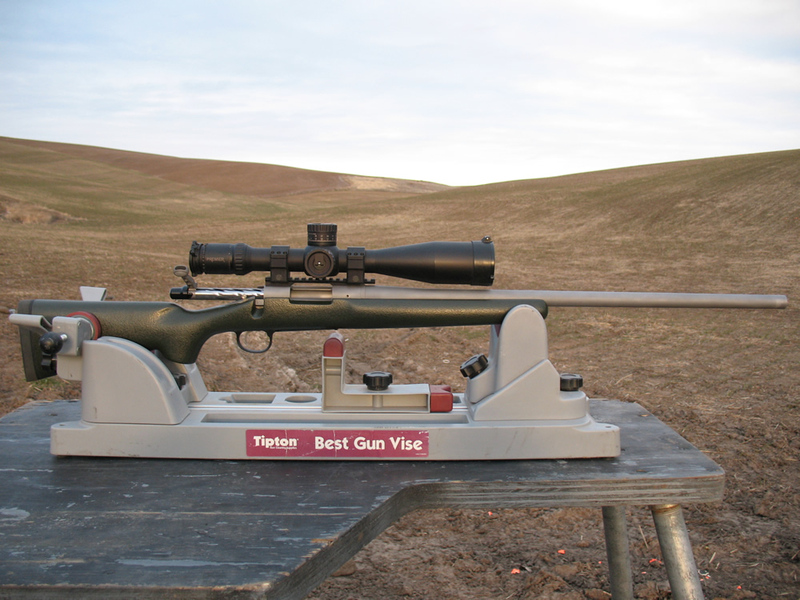 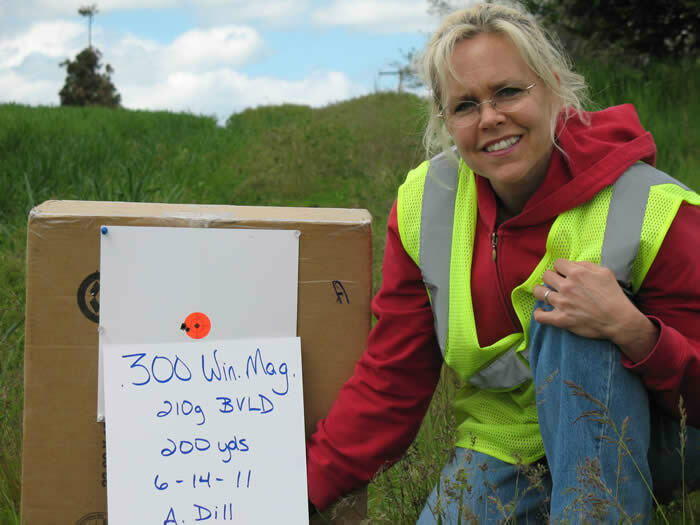 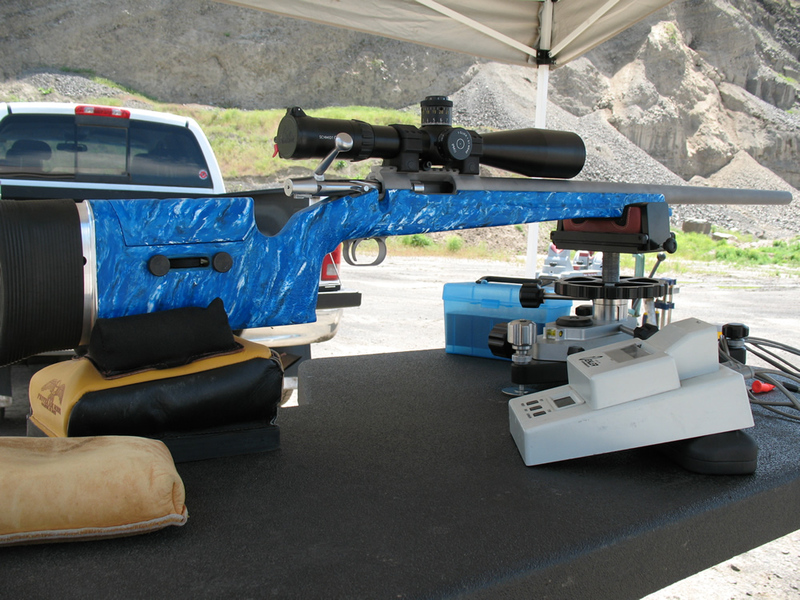 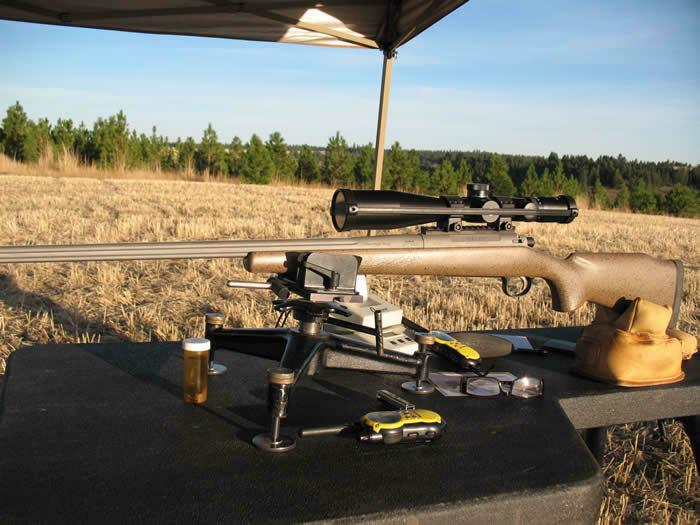 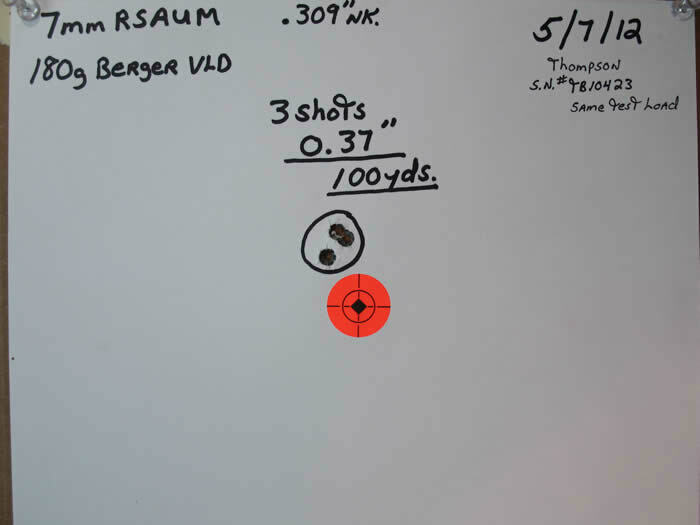 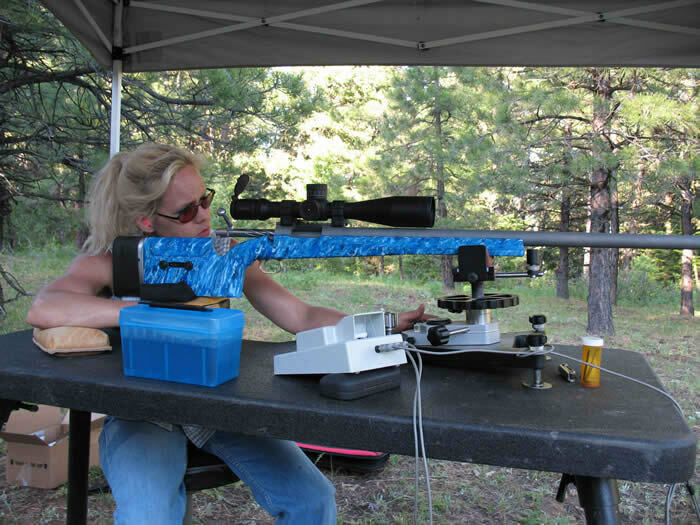 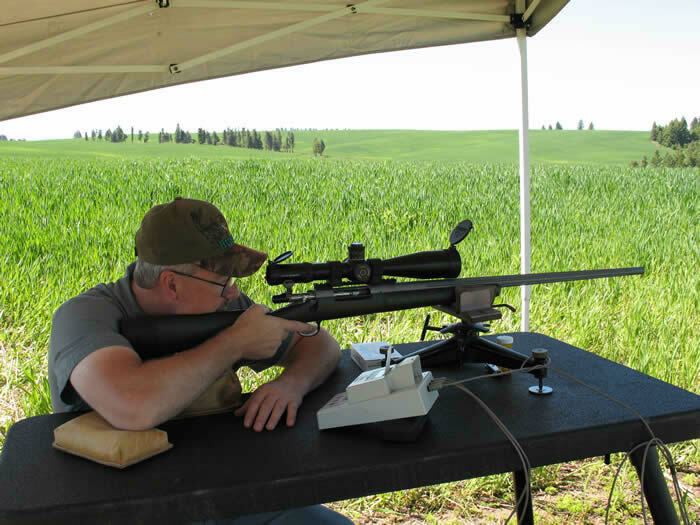 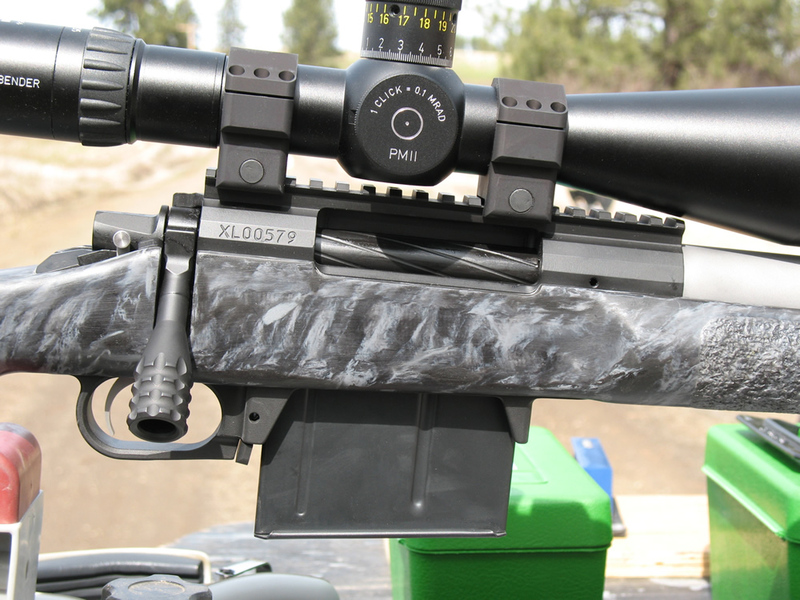 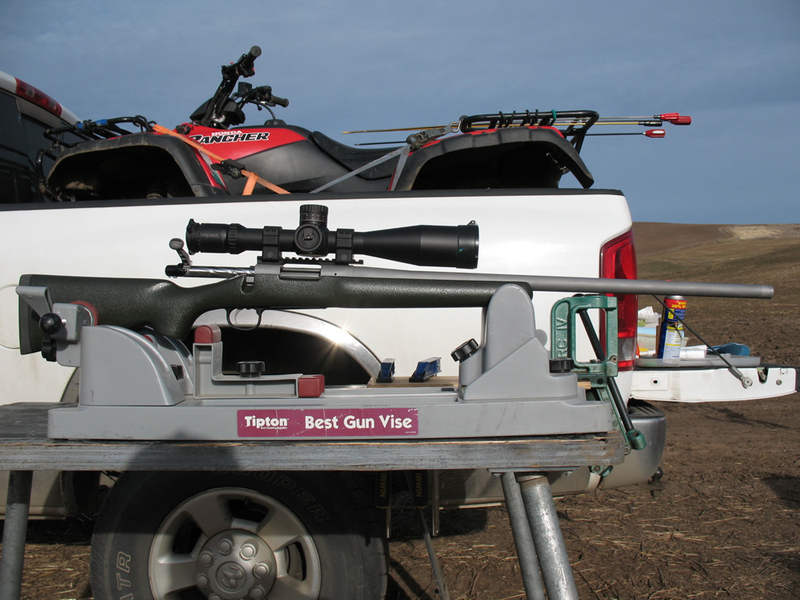 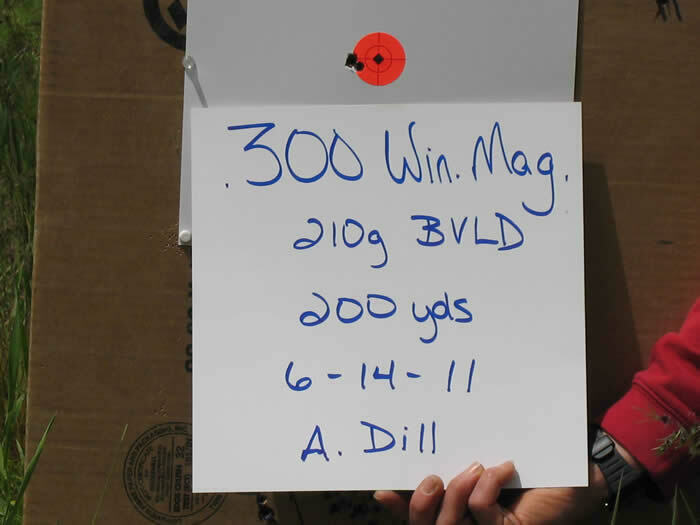 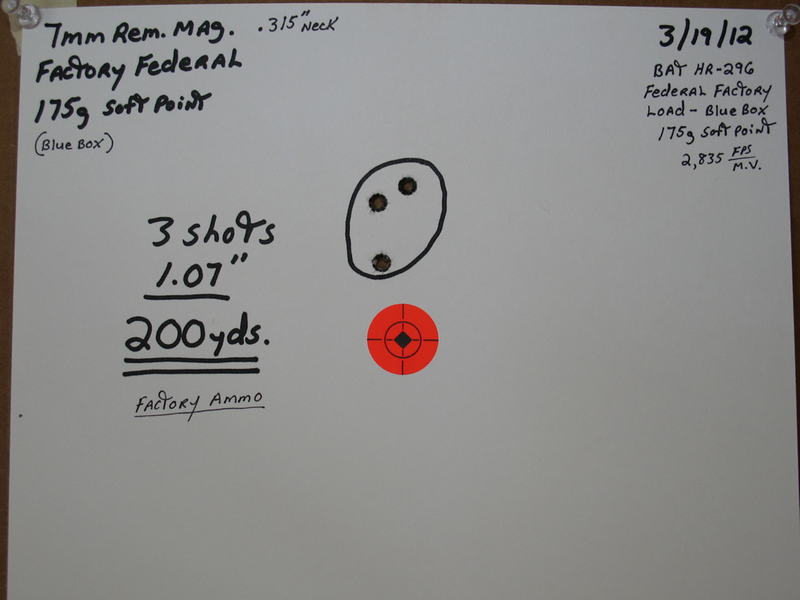 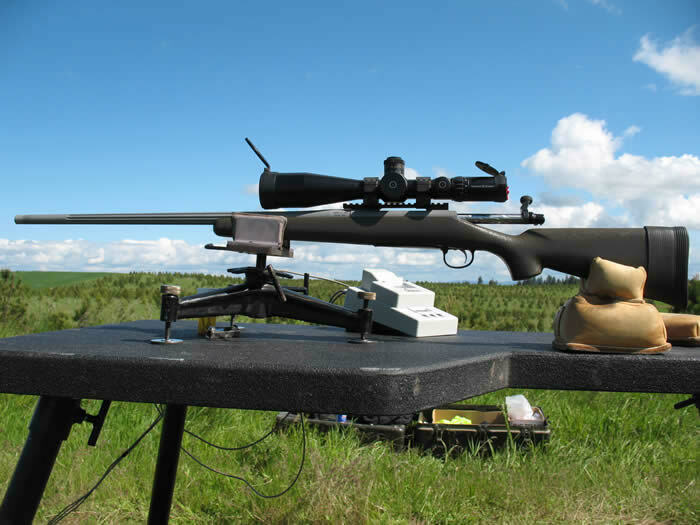 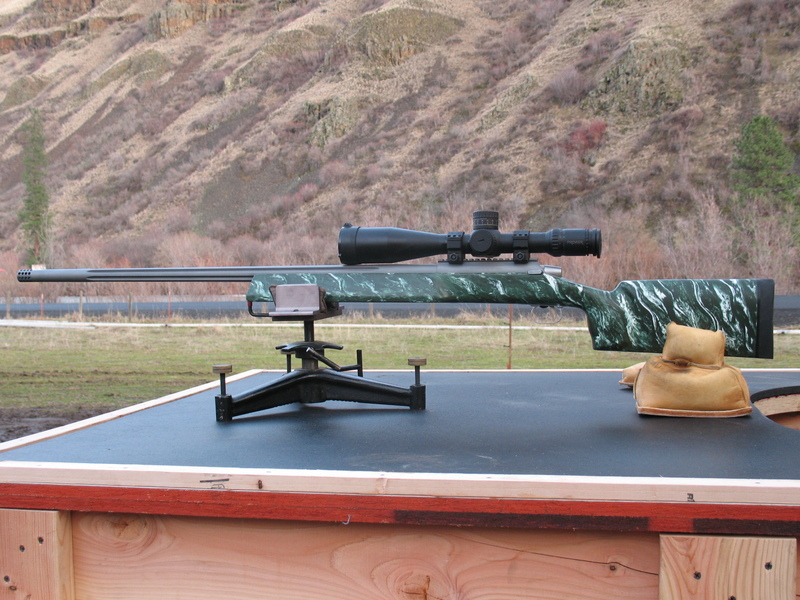 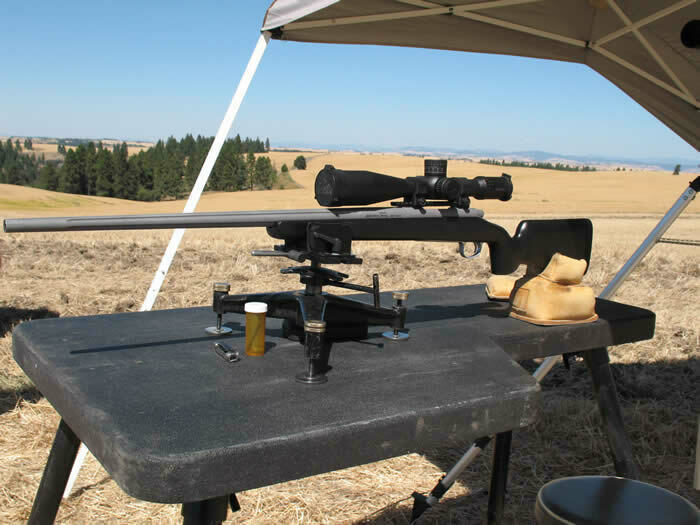 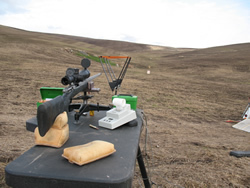 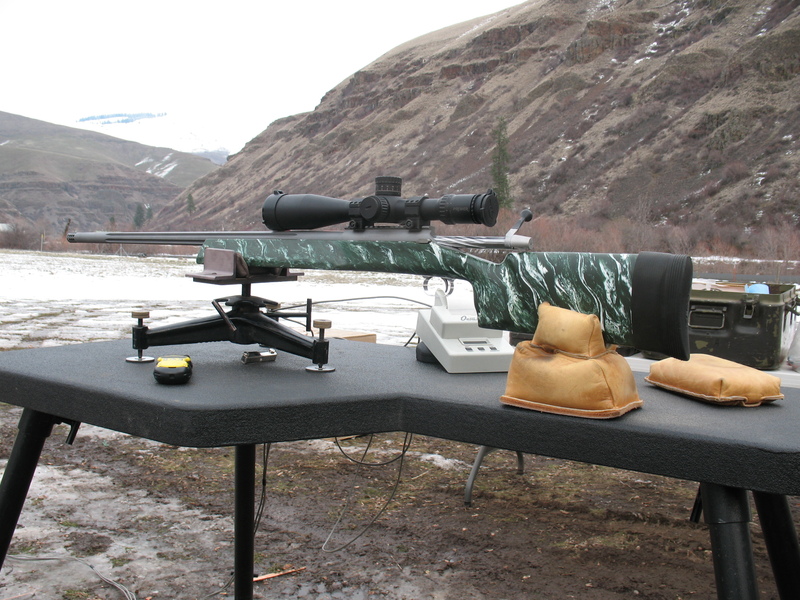 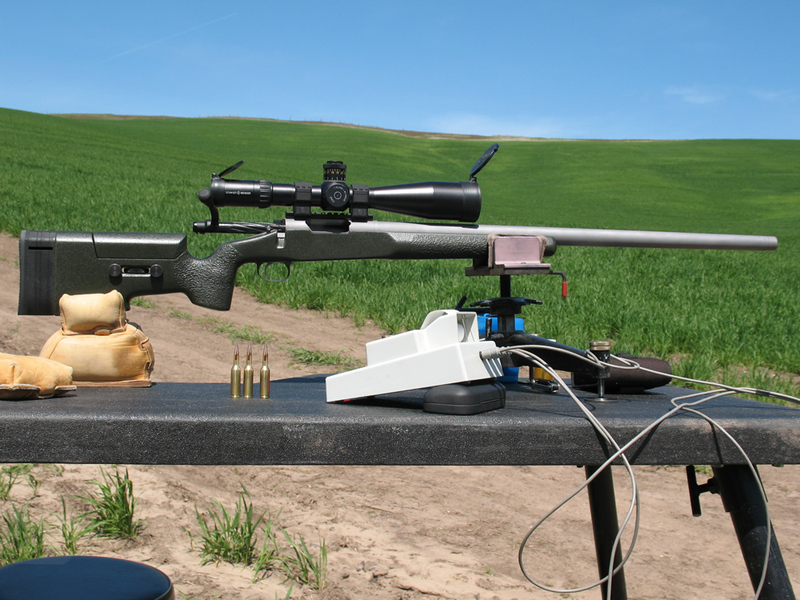 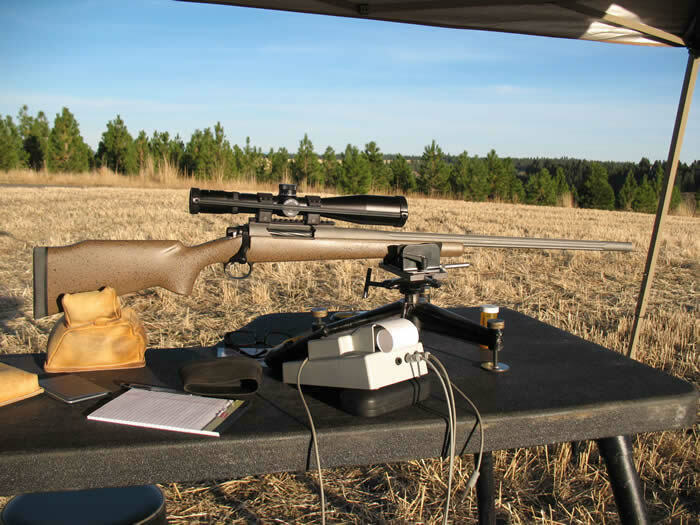 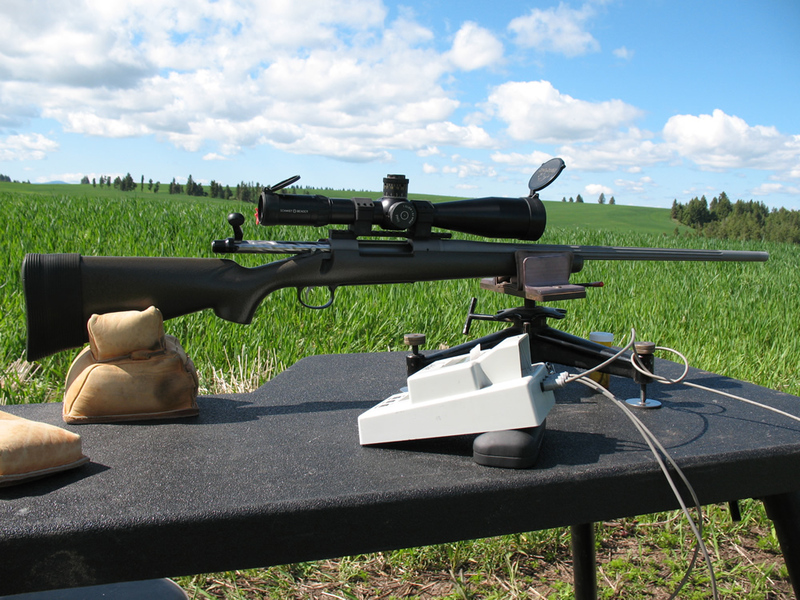 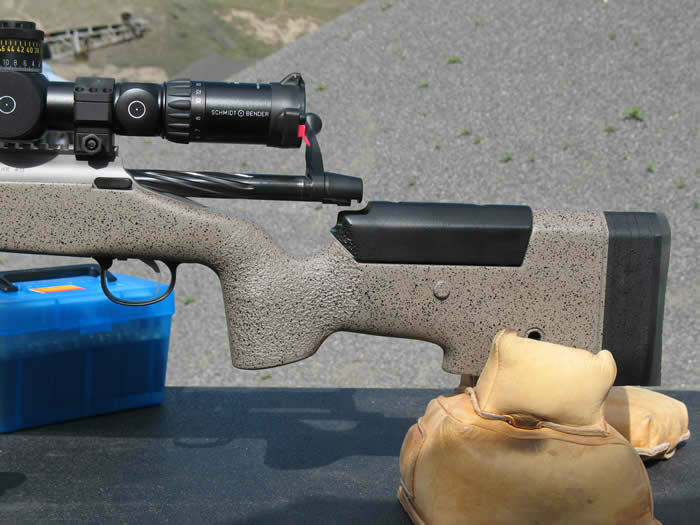 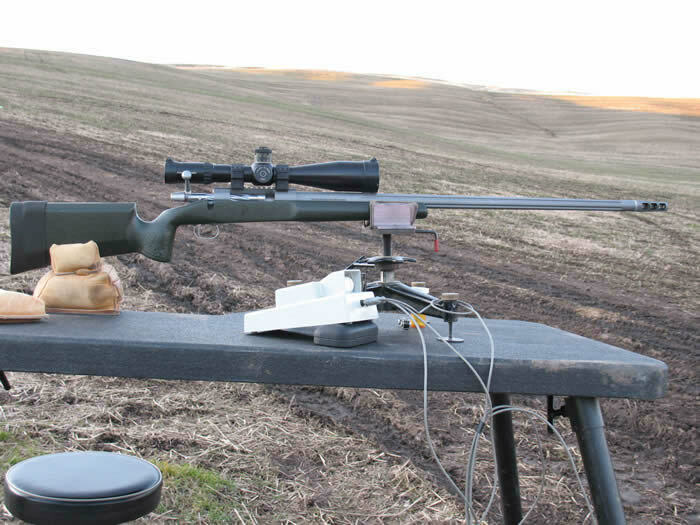 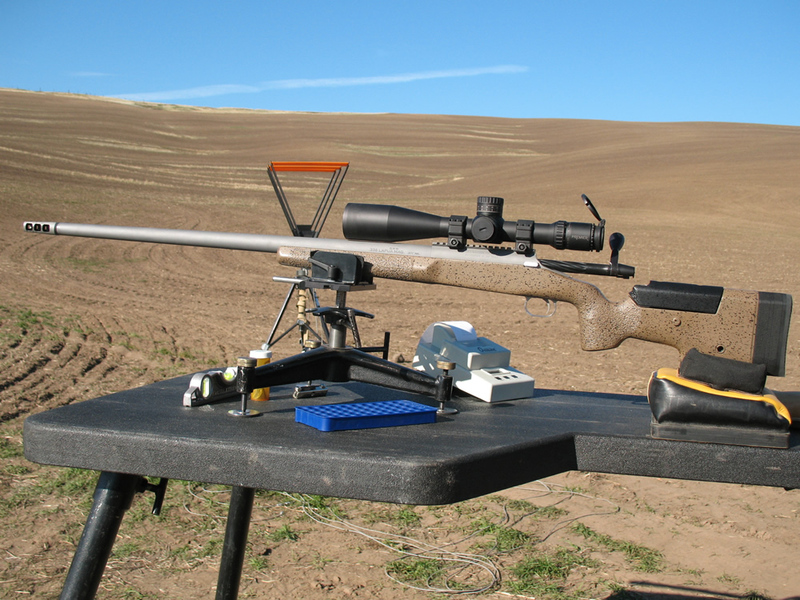 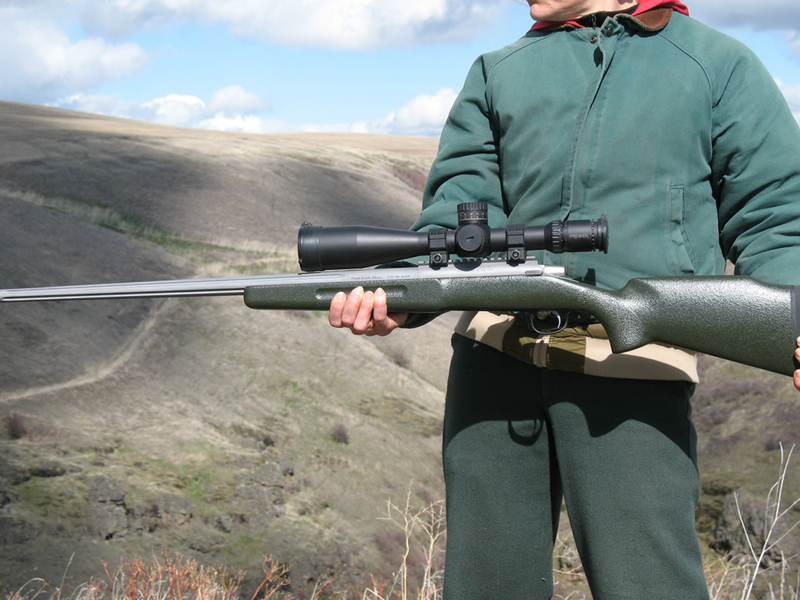 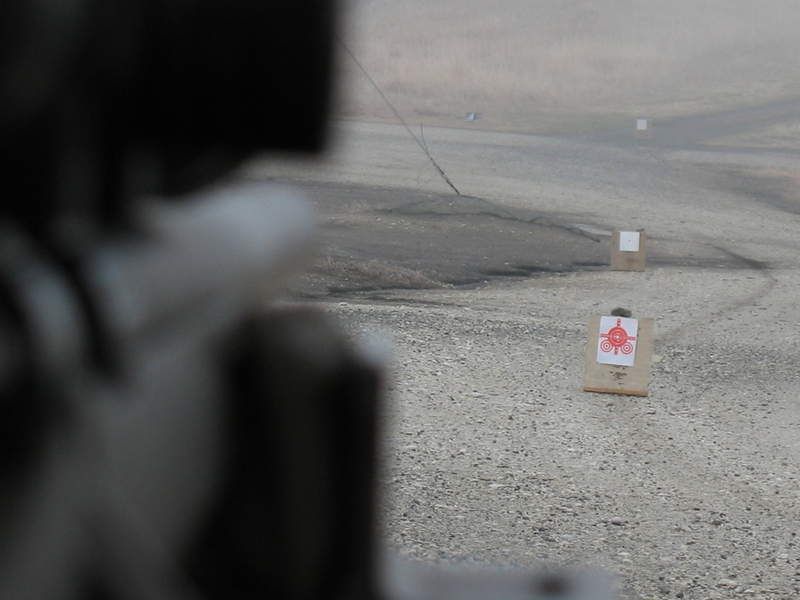 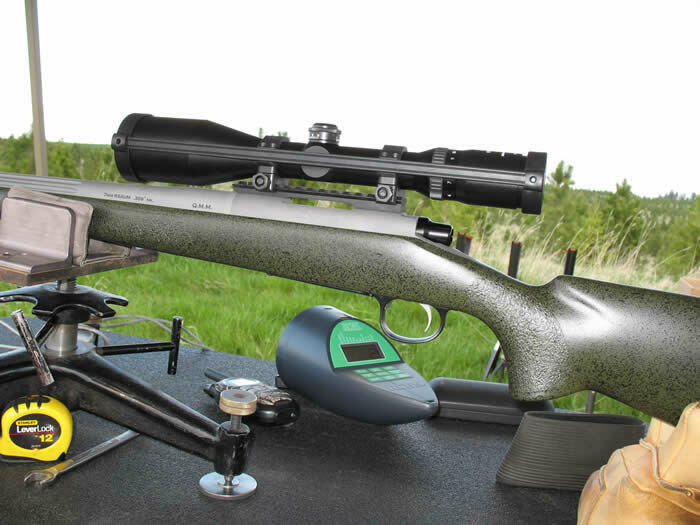 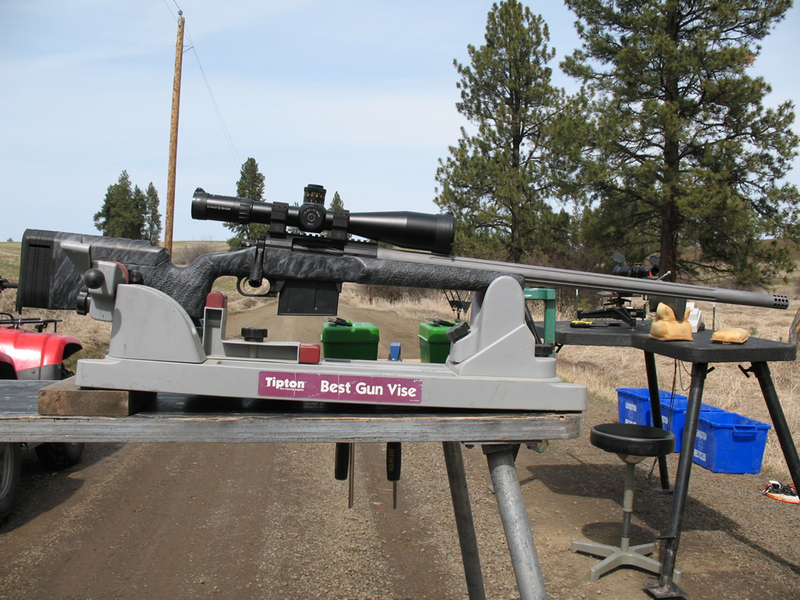 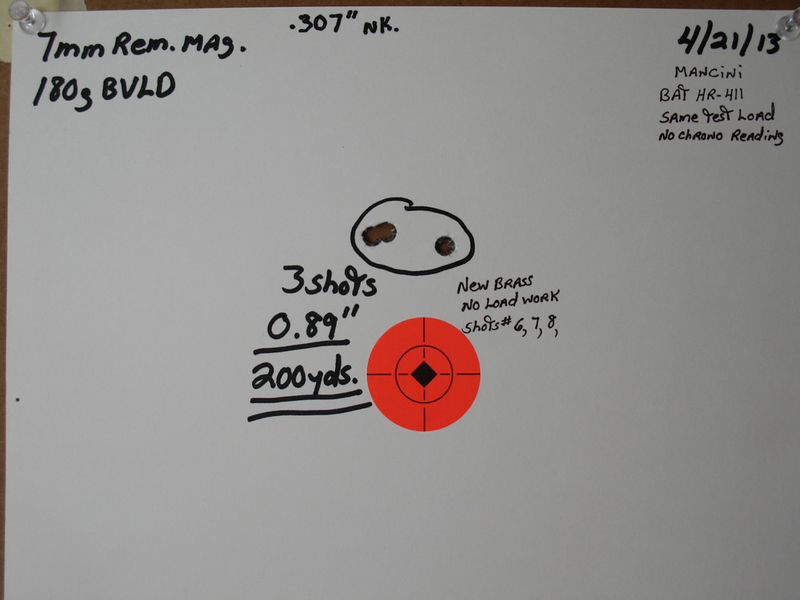 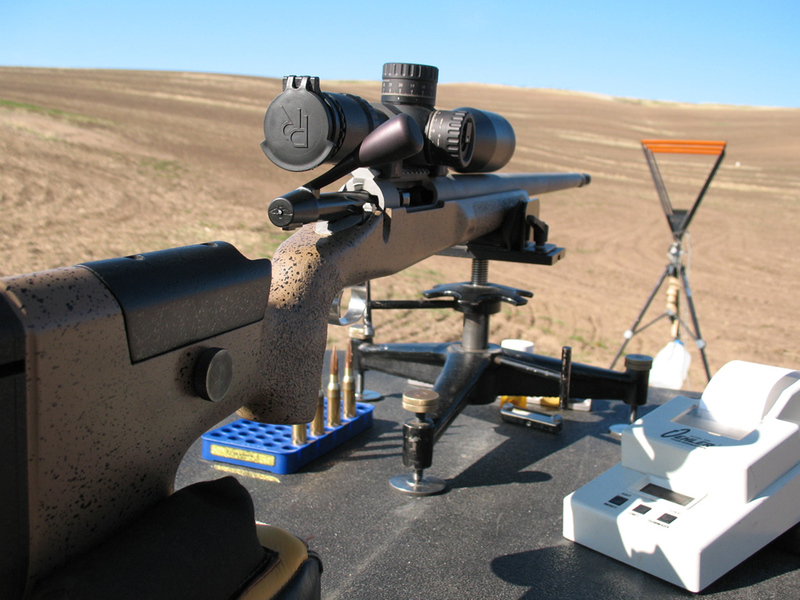 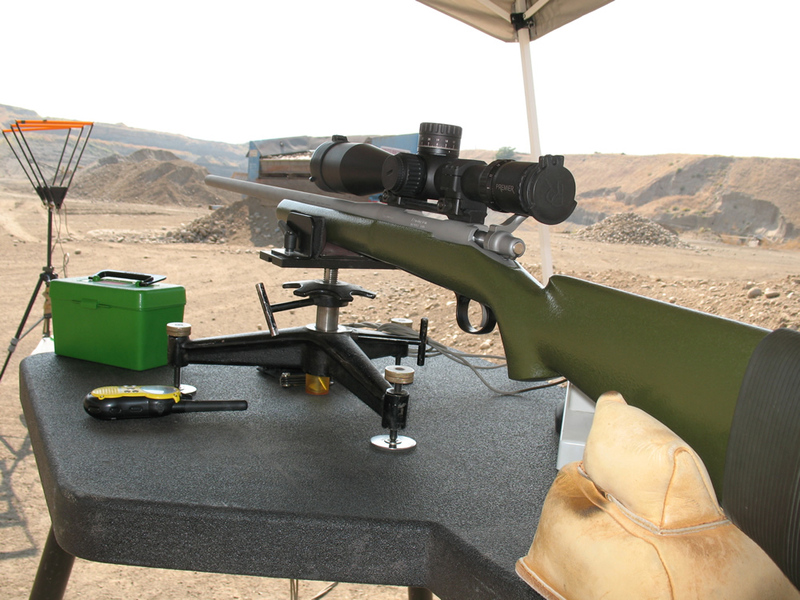 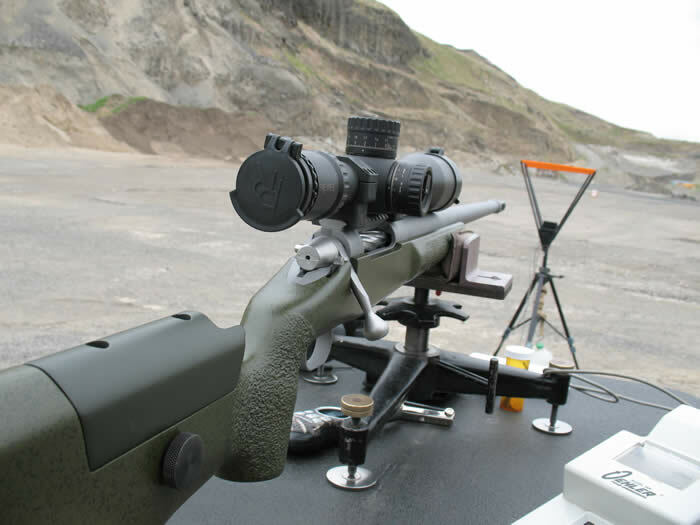 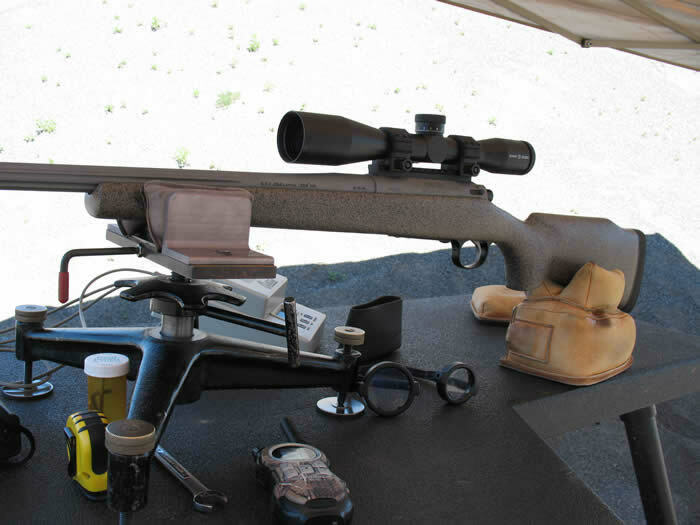 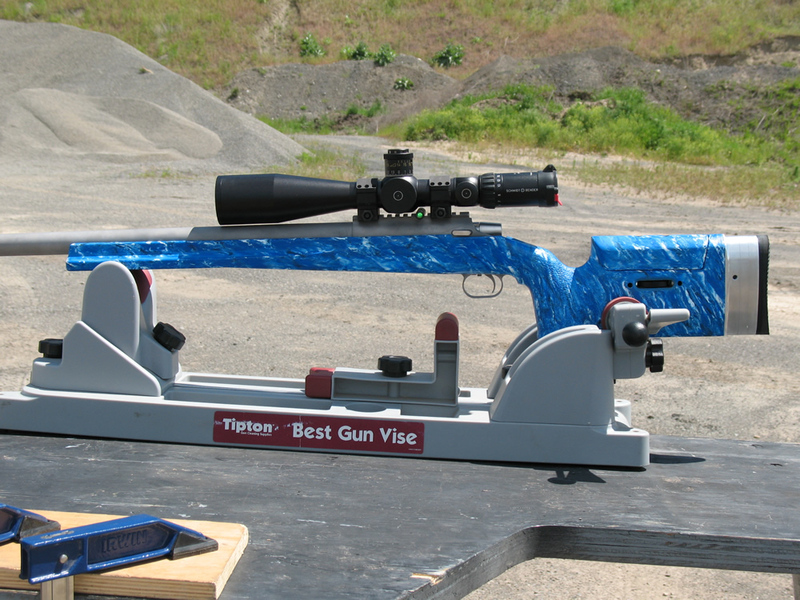 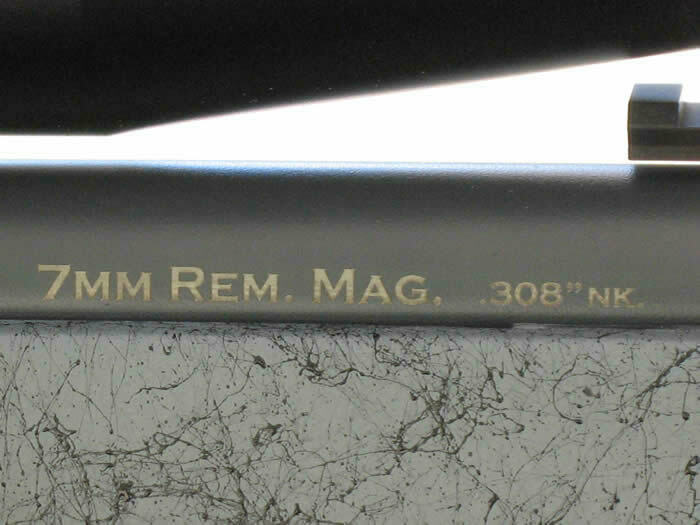 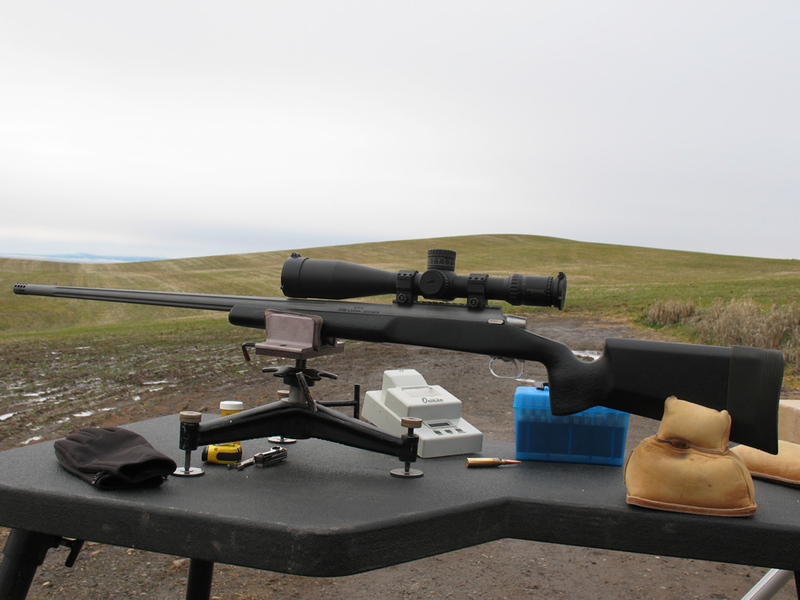 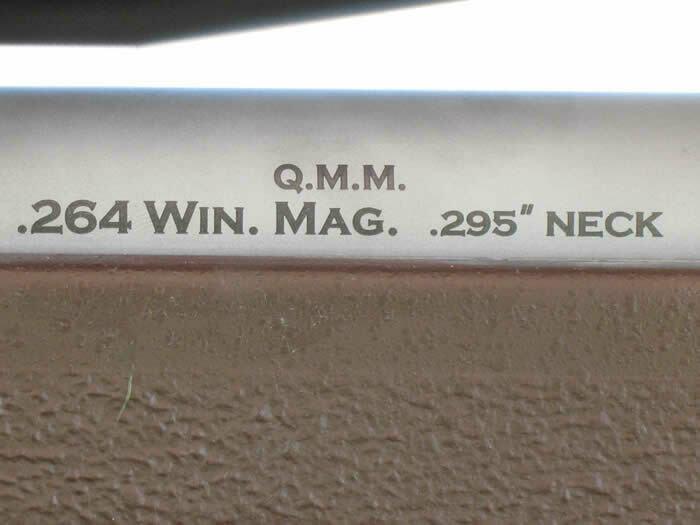 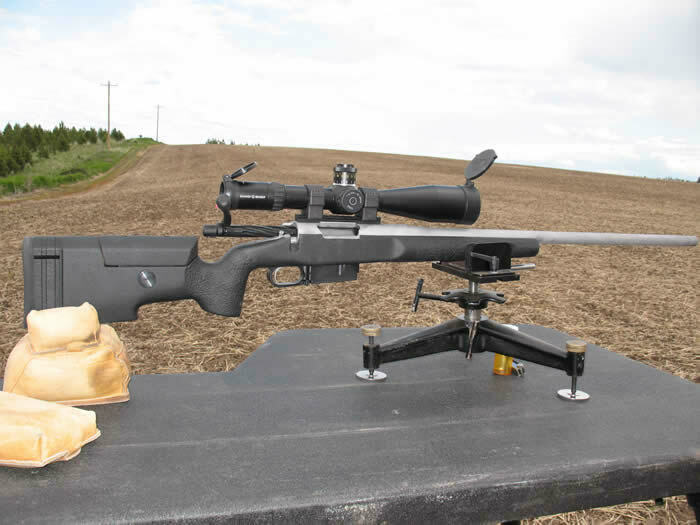 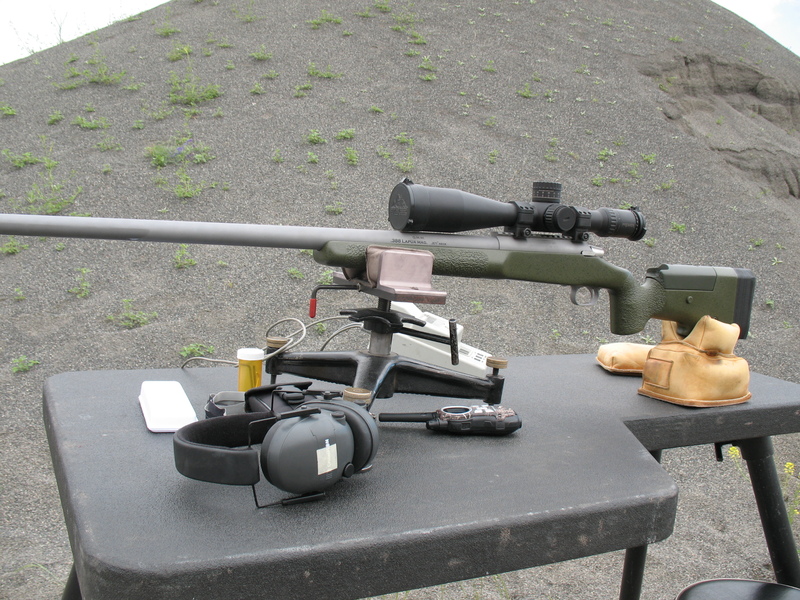 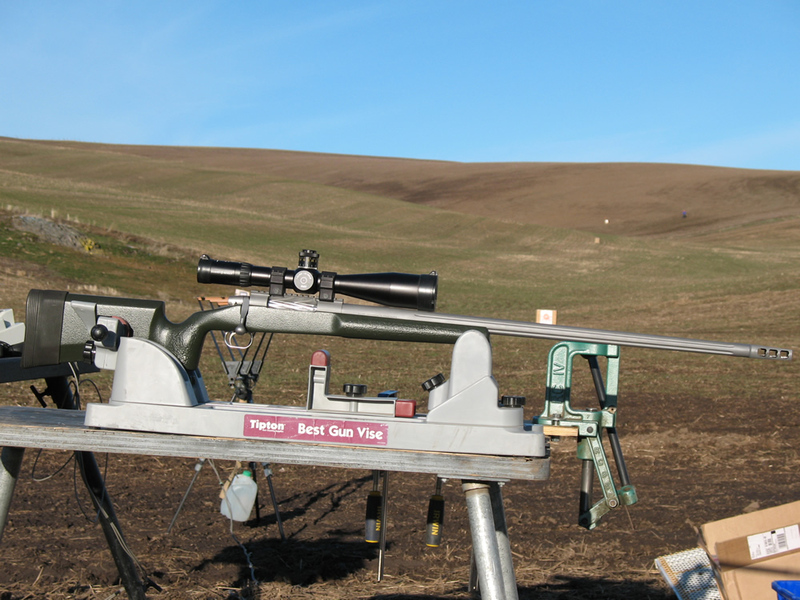 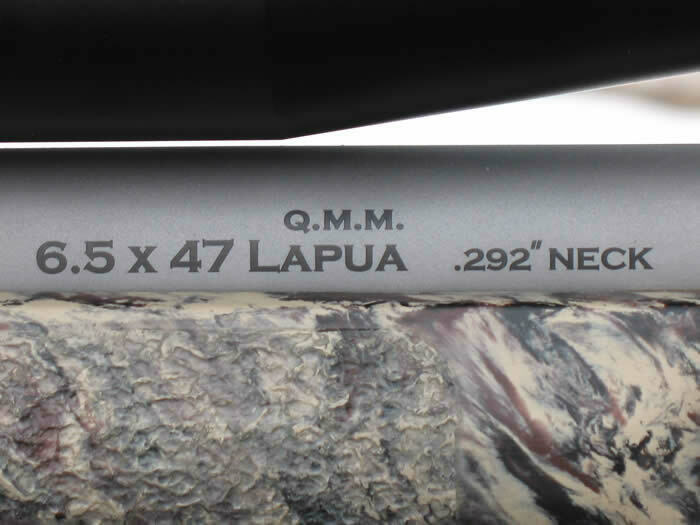 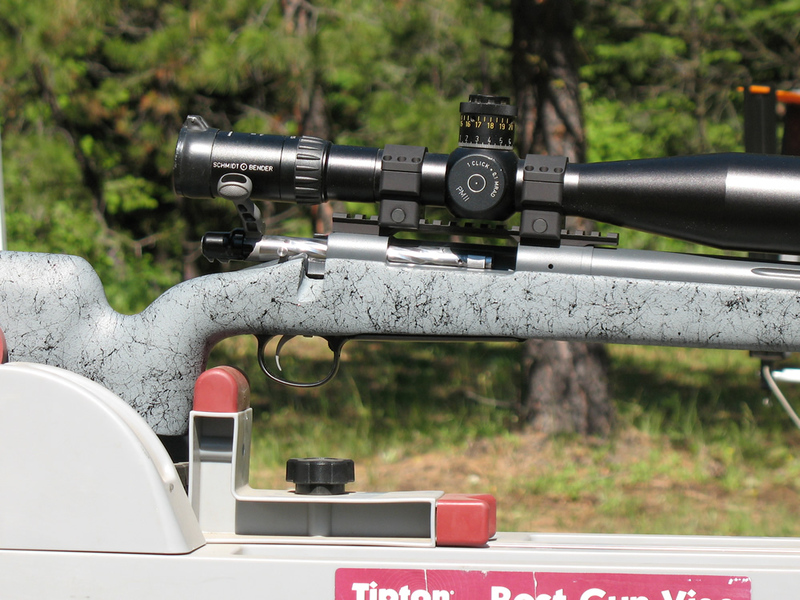 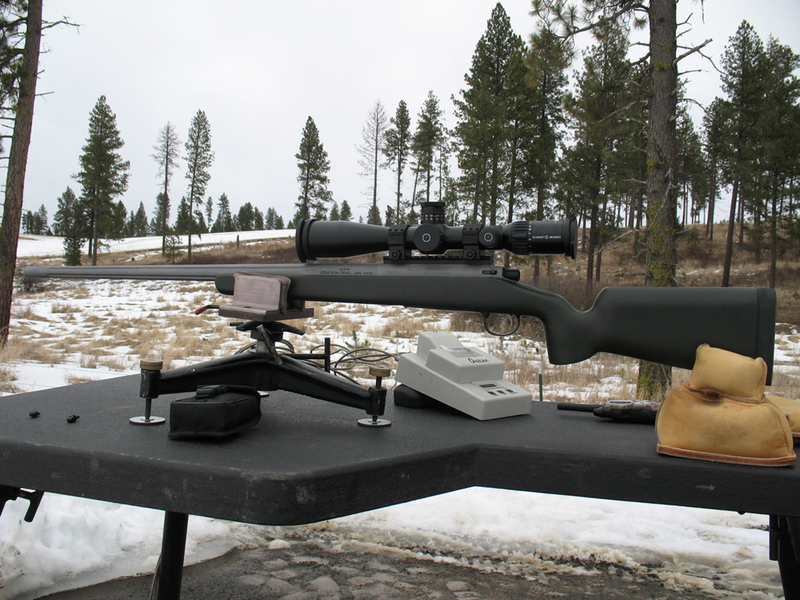 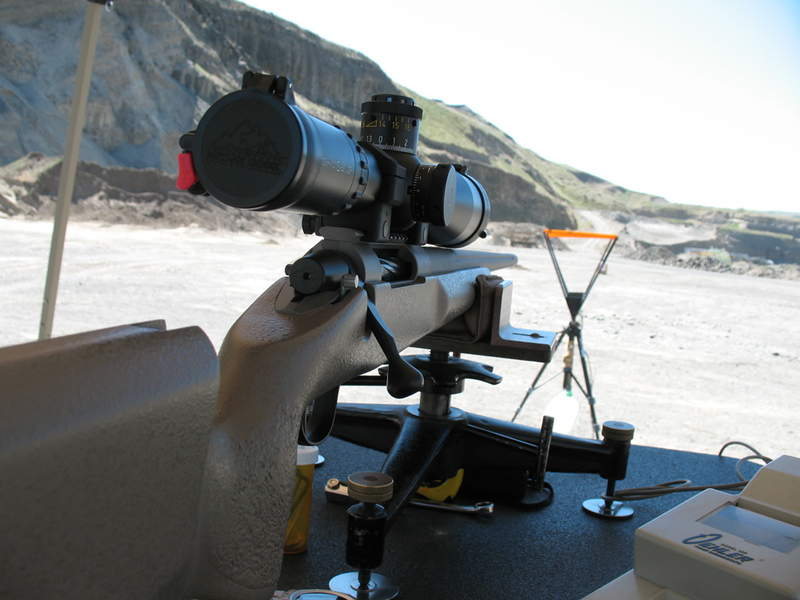 Due to initial windy conditions, we test fired this rifle a second time in calm conditions. 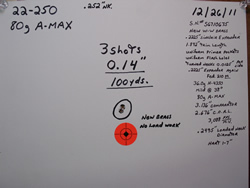 Includes rifle, scope, rings, ammo and accessories ! 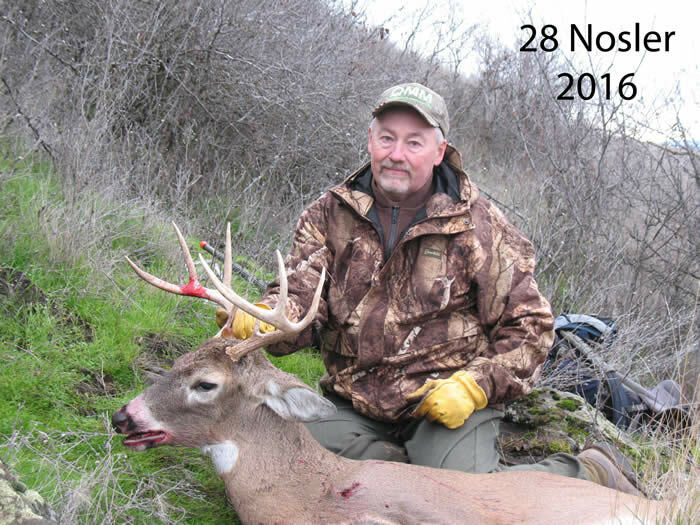 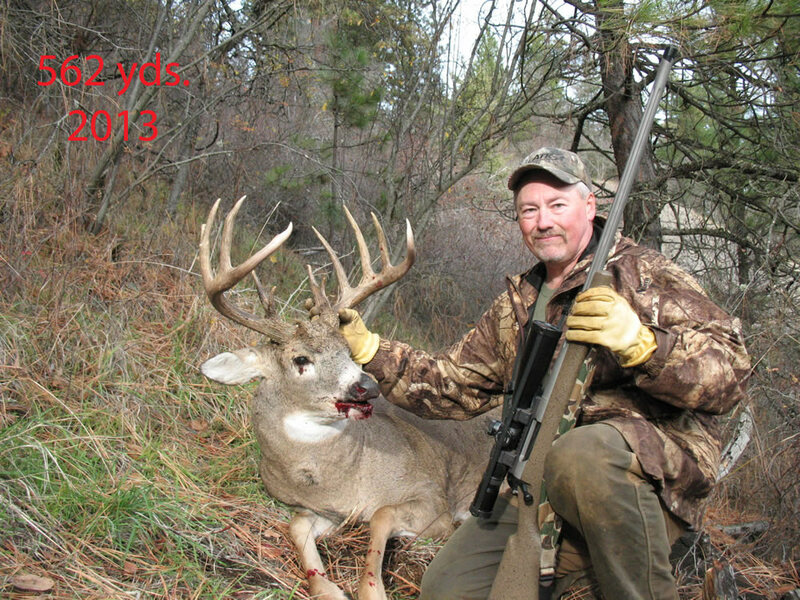 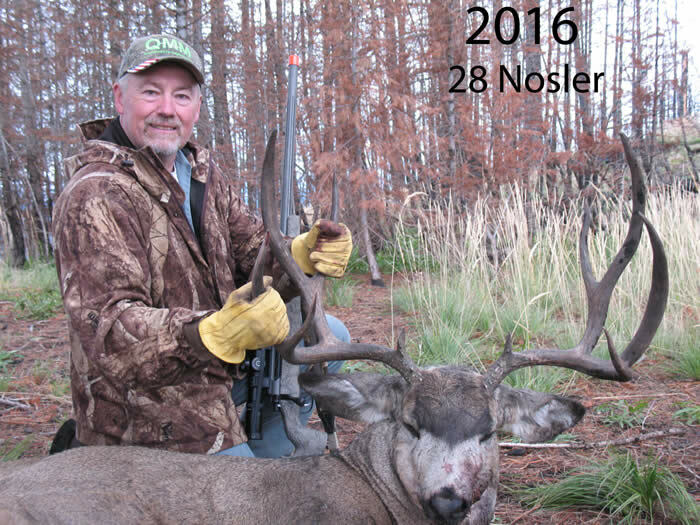 This was our 2013 hunting gun. 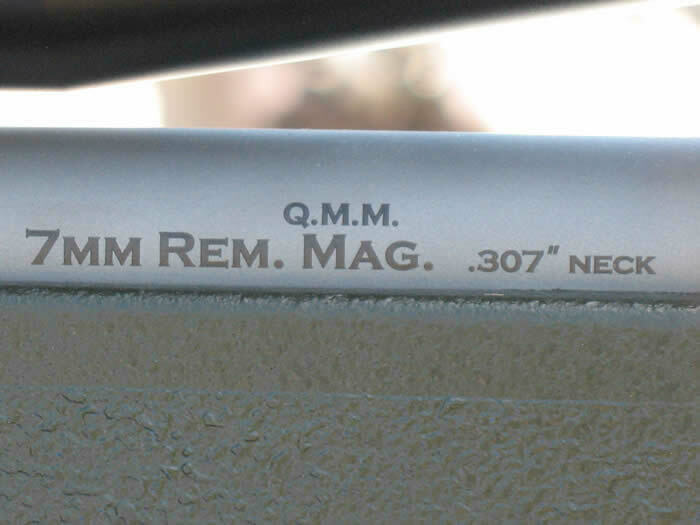 Blueprinted Rem. 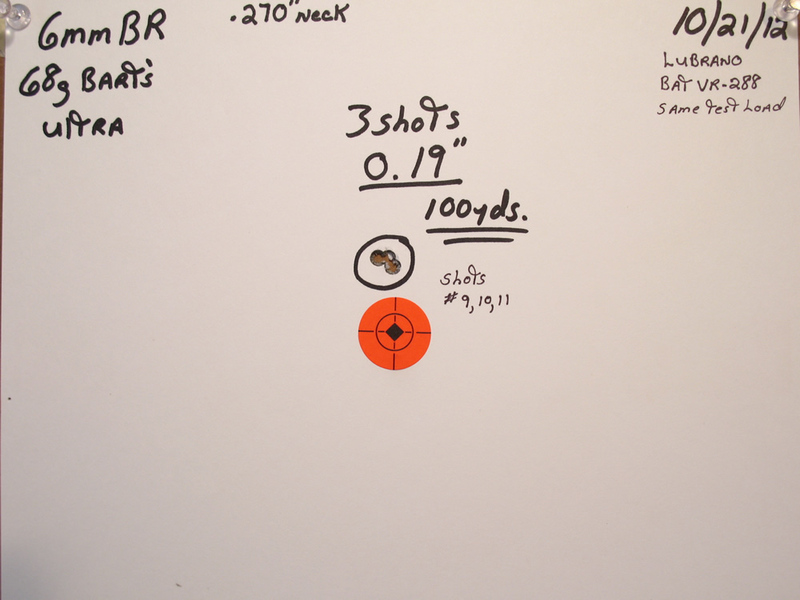 700 S/A S.S. 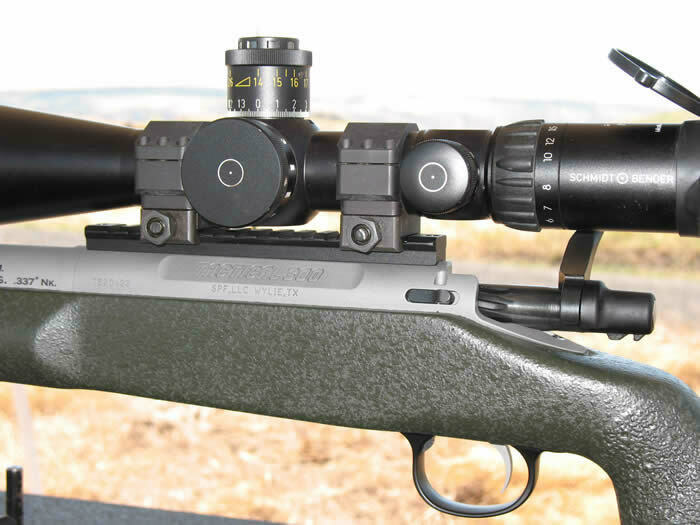 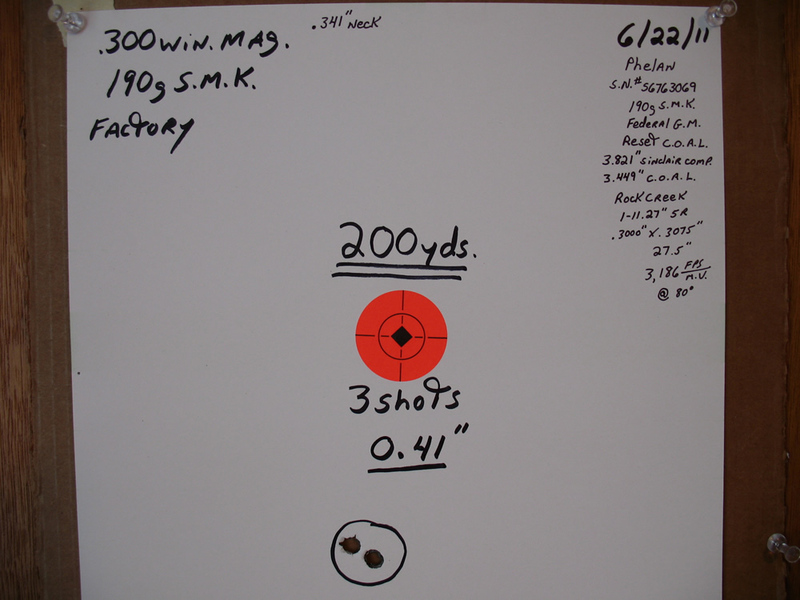 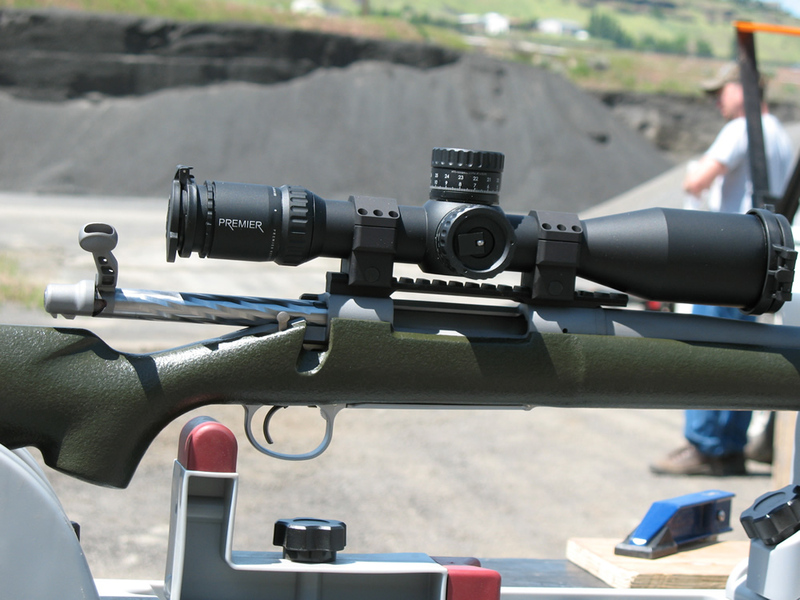 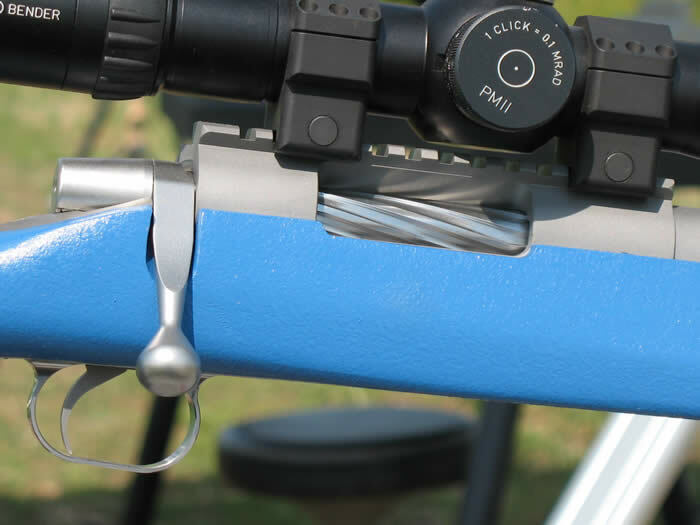 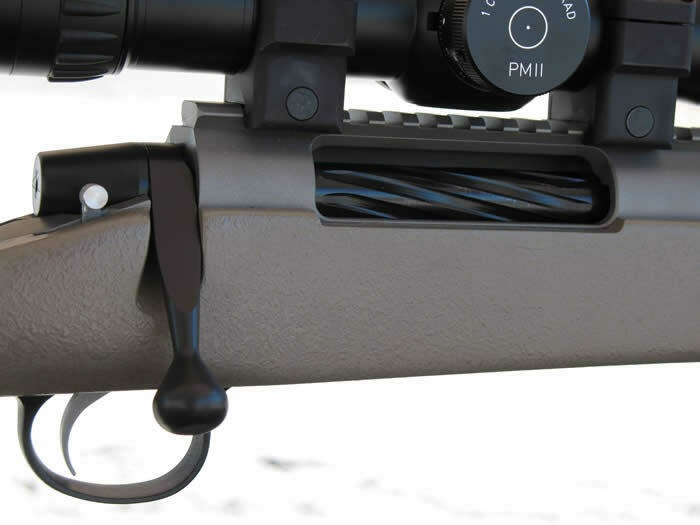 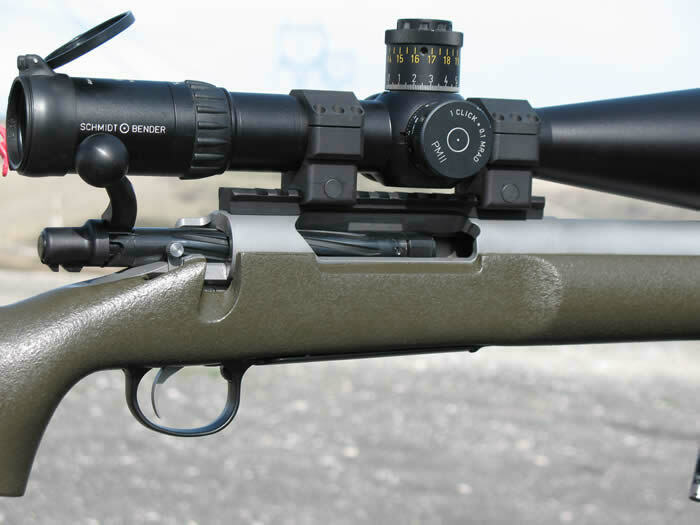 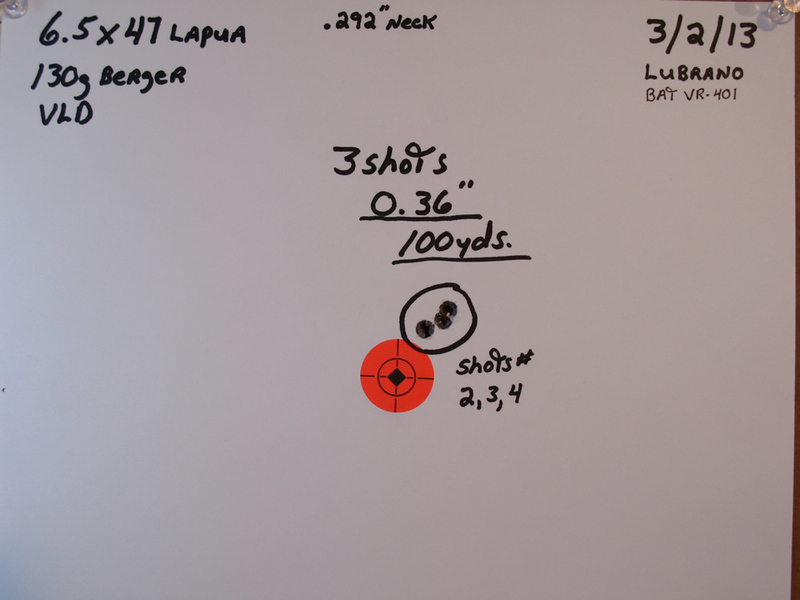 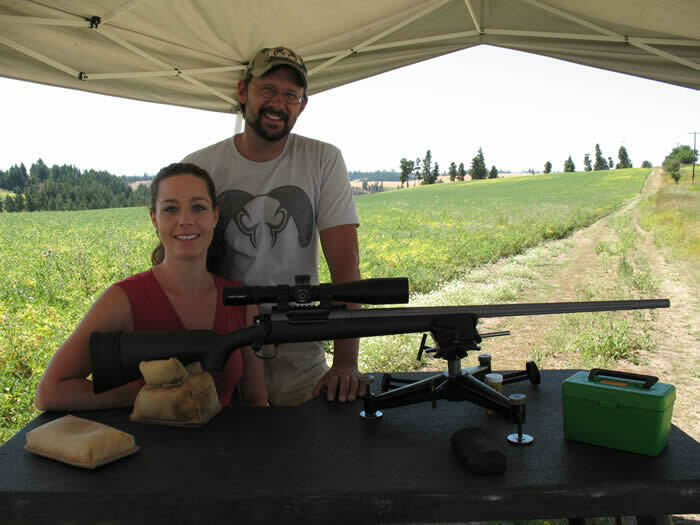 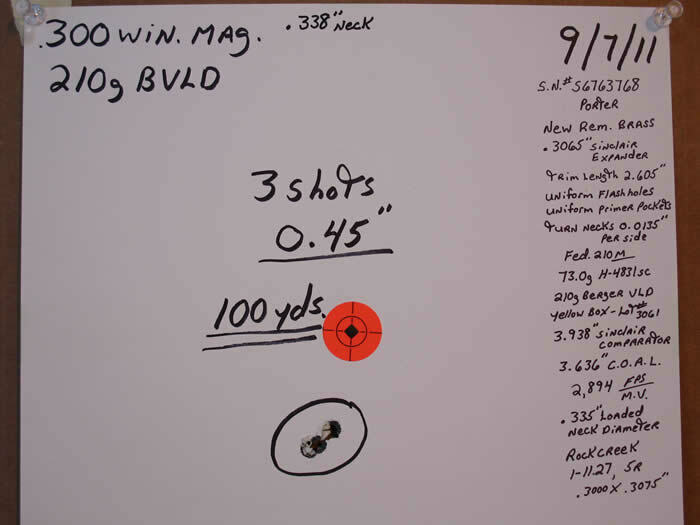 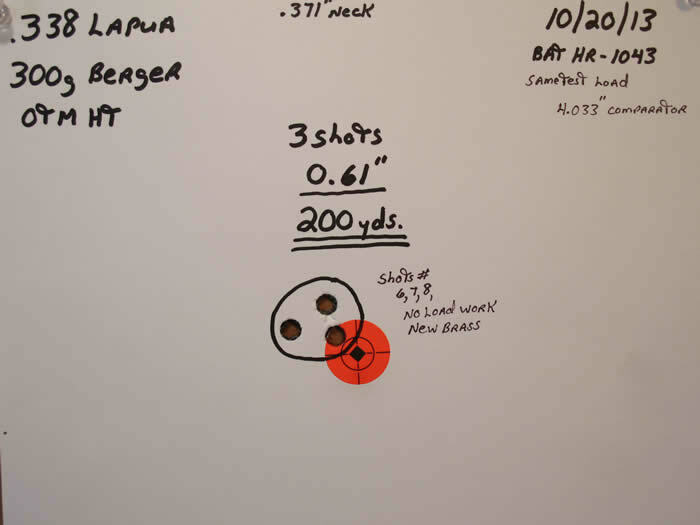 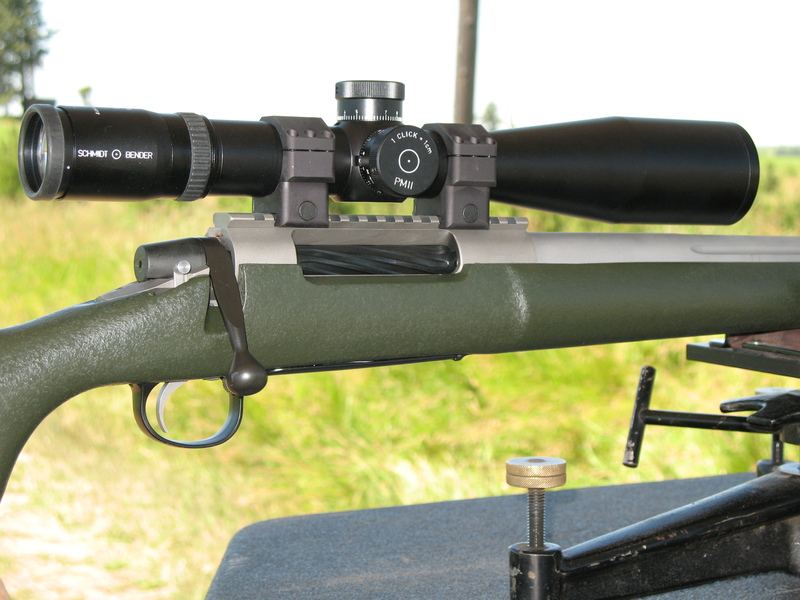 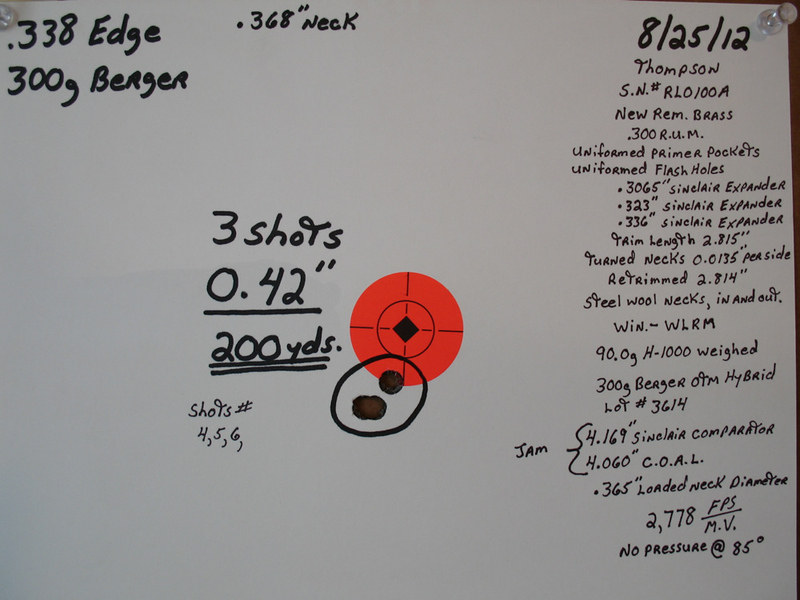 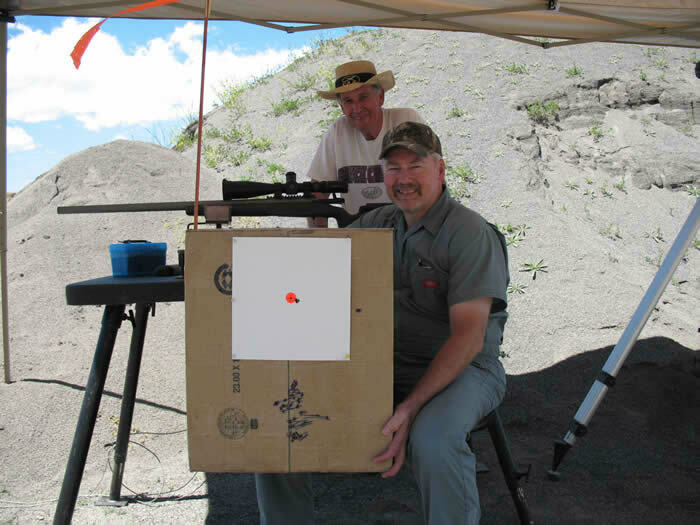 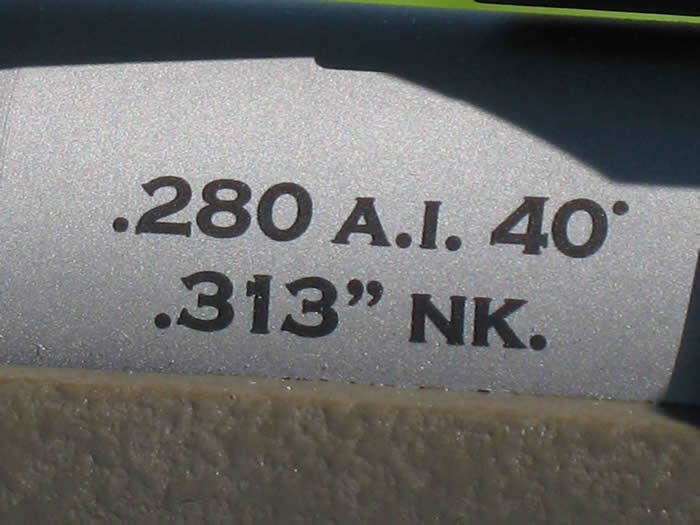 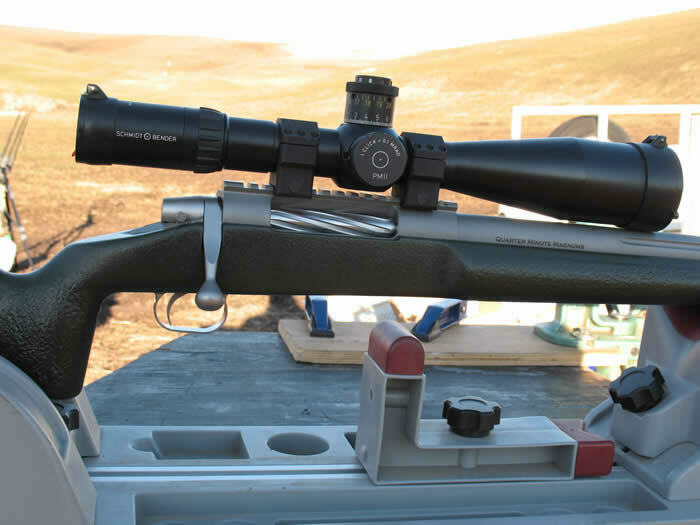 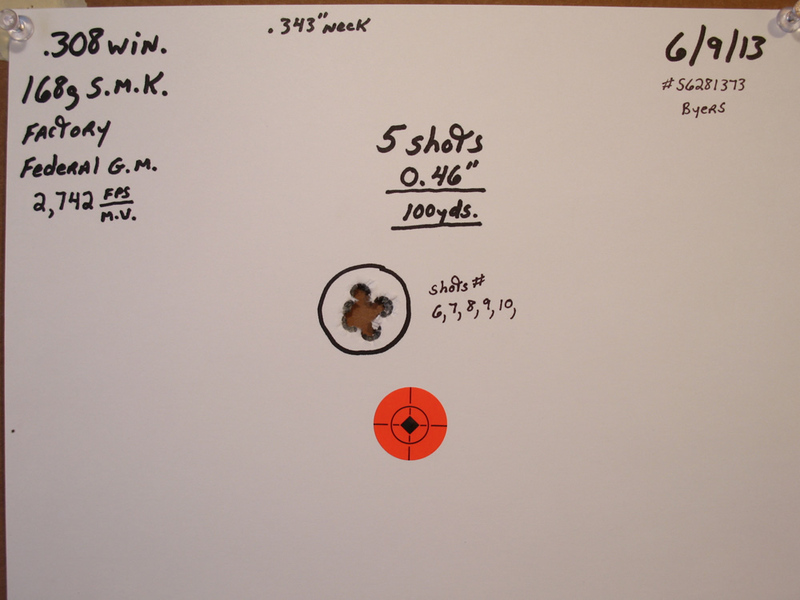 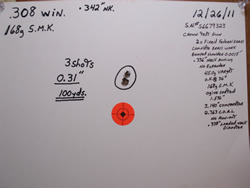 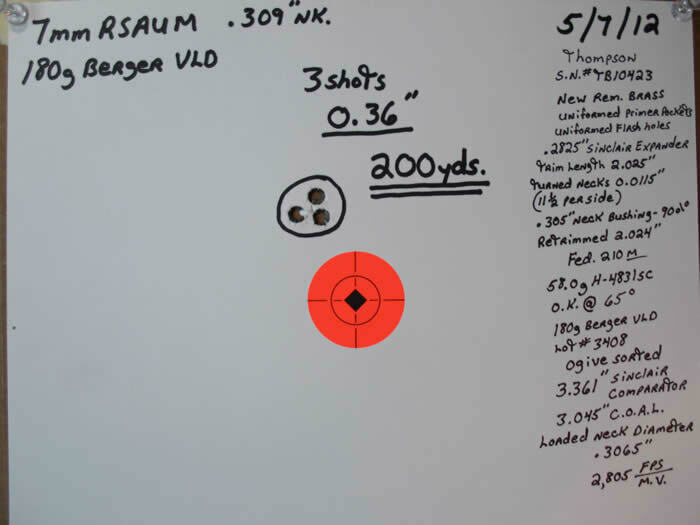 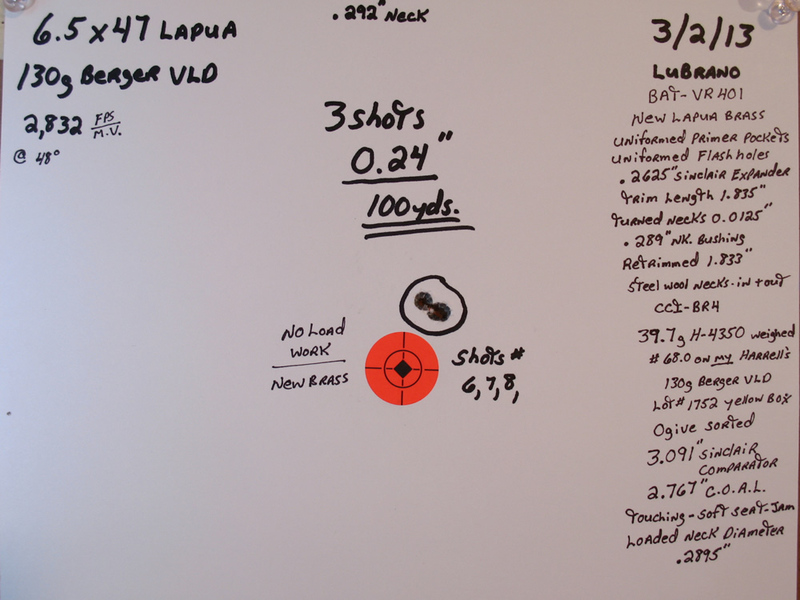 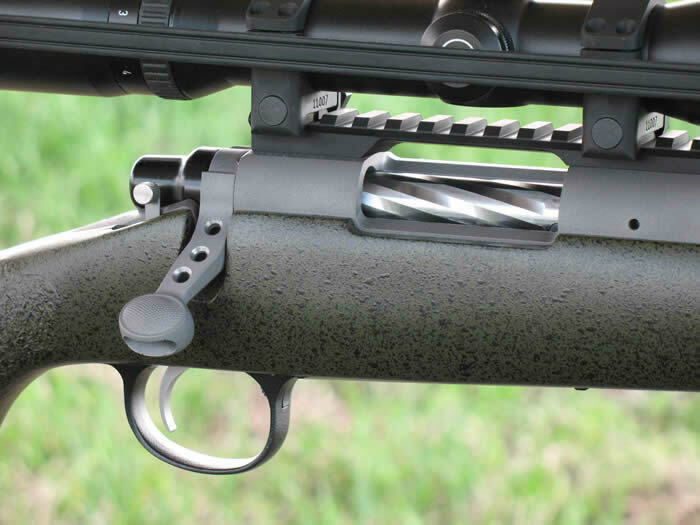 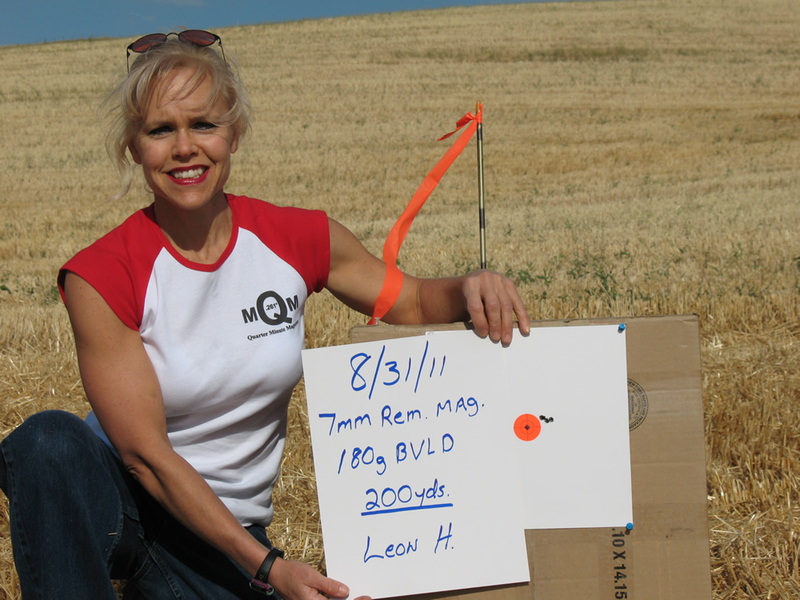 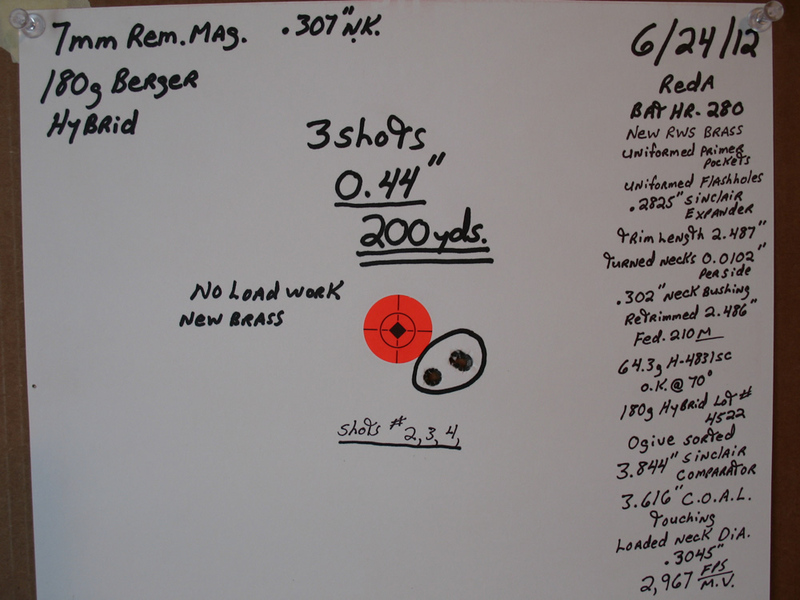 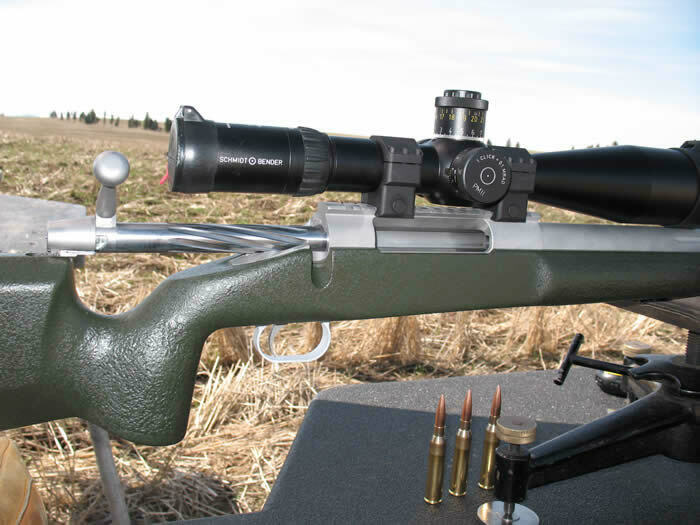 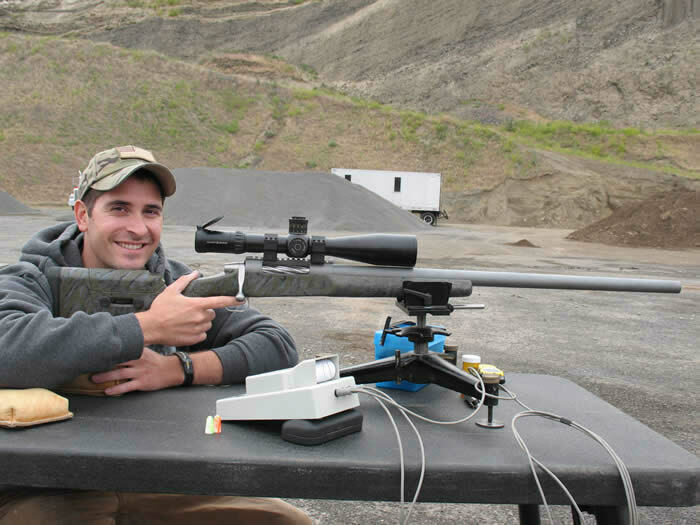 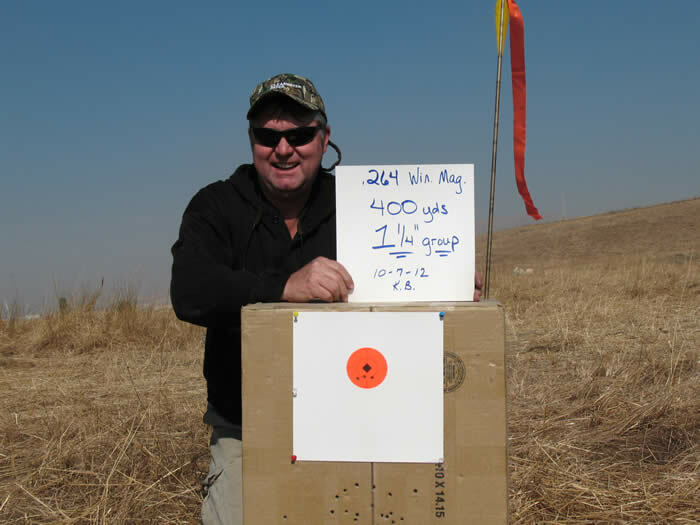 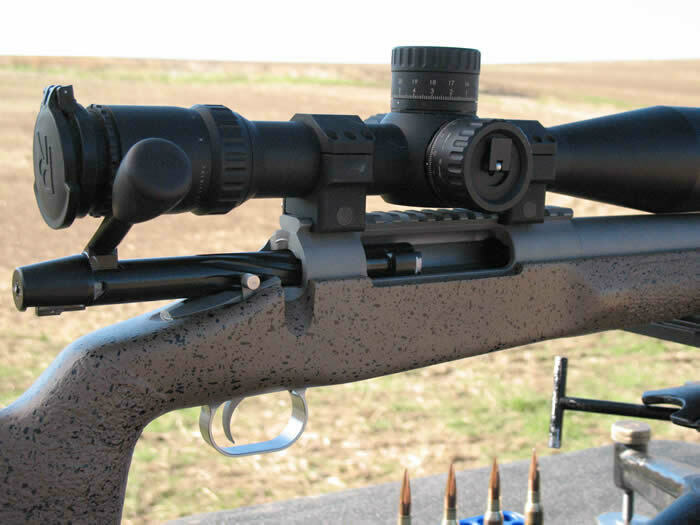 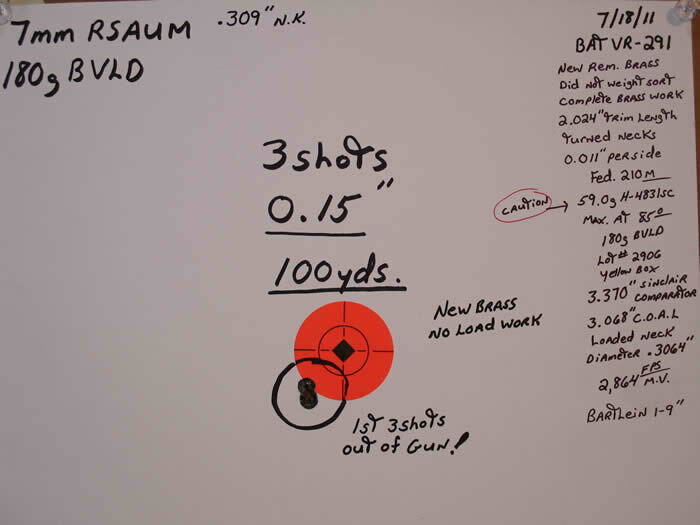 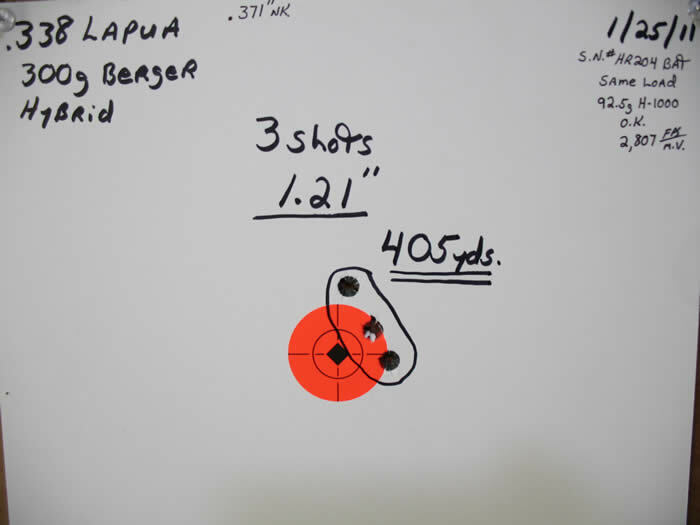 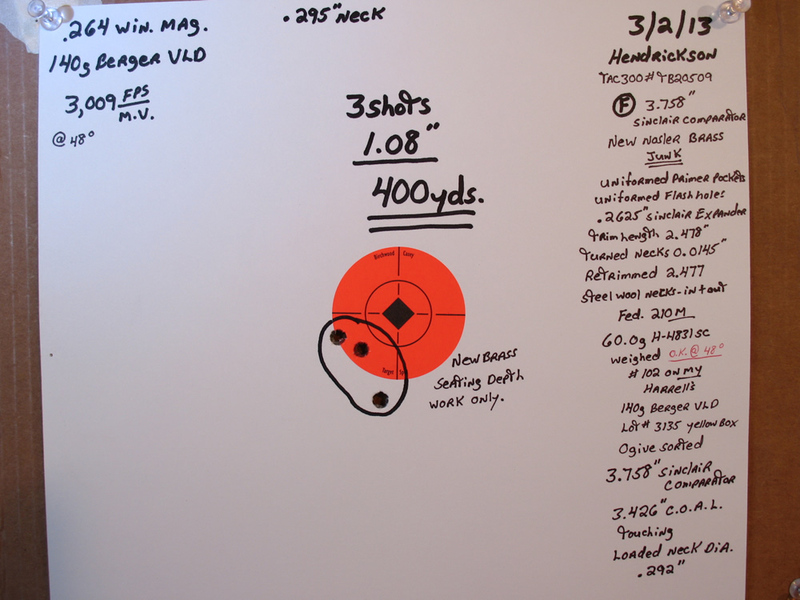 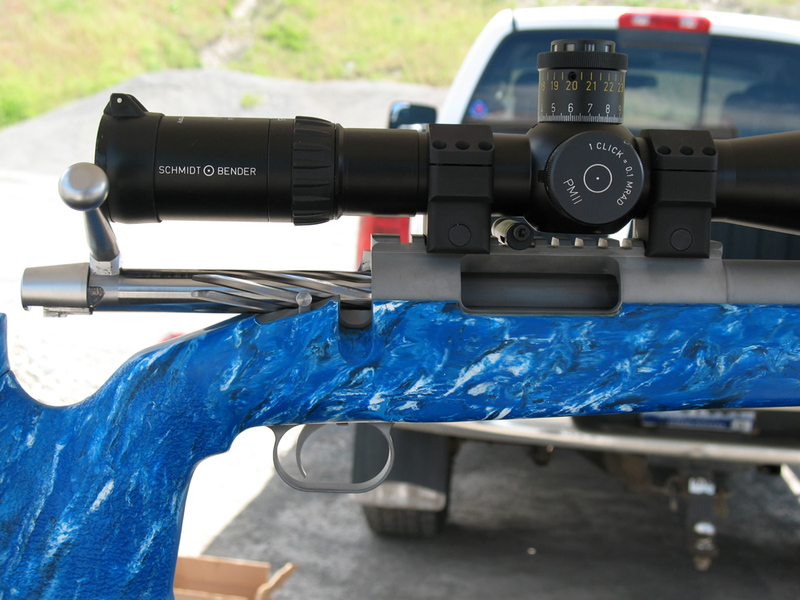 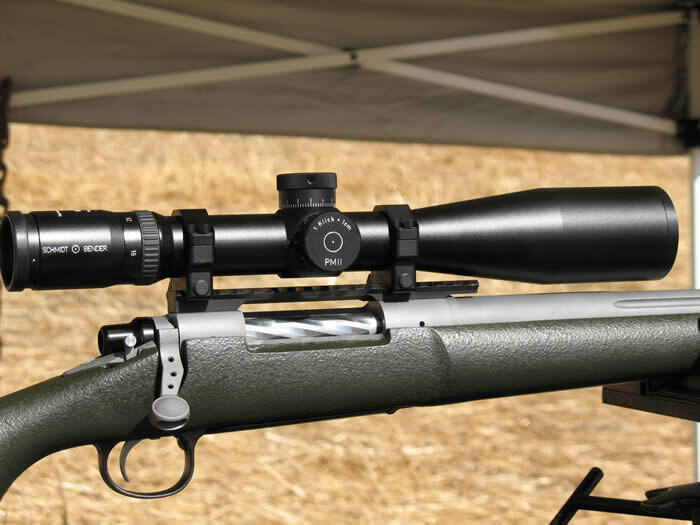 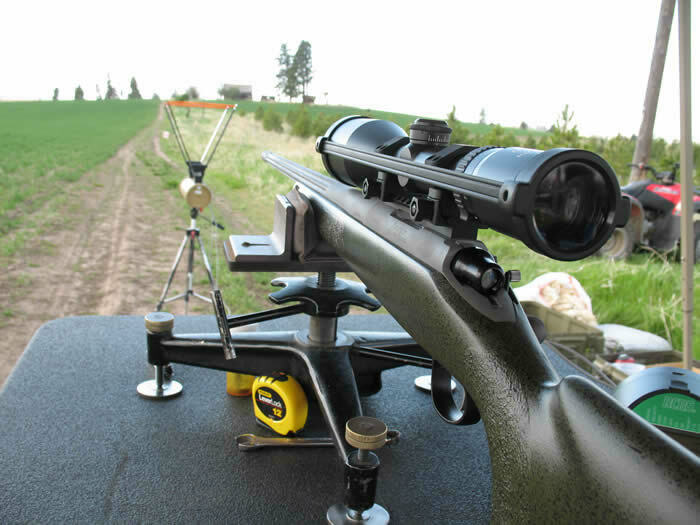 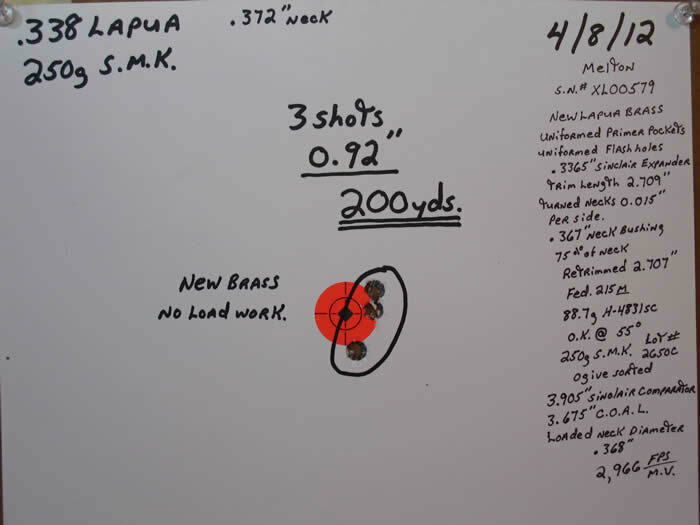 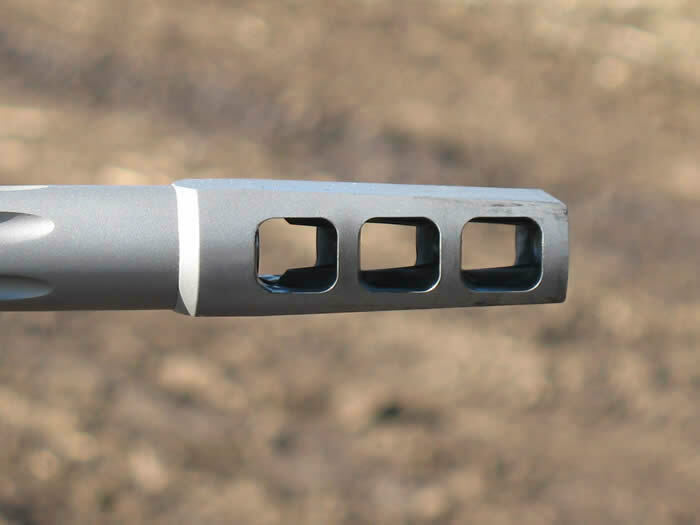 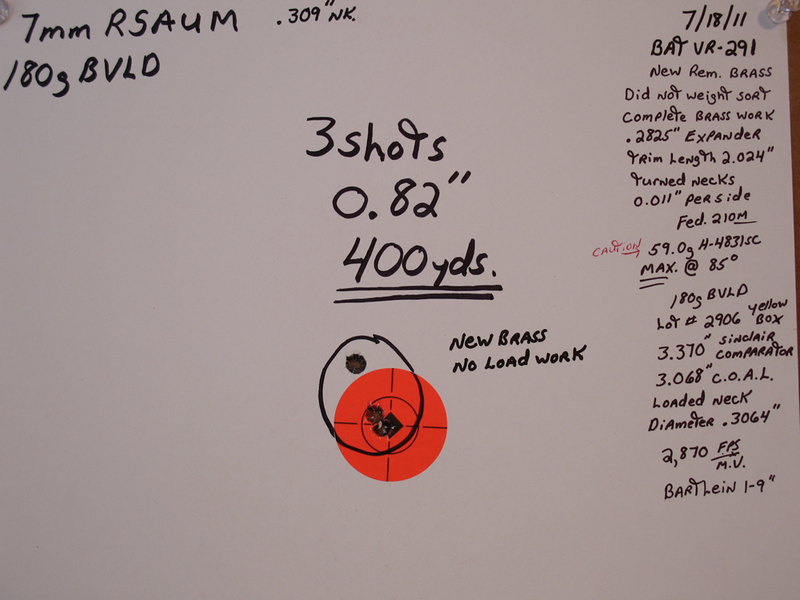 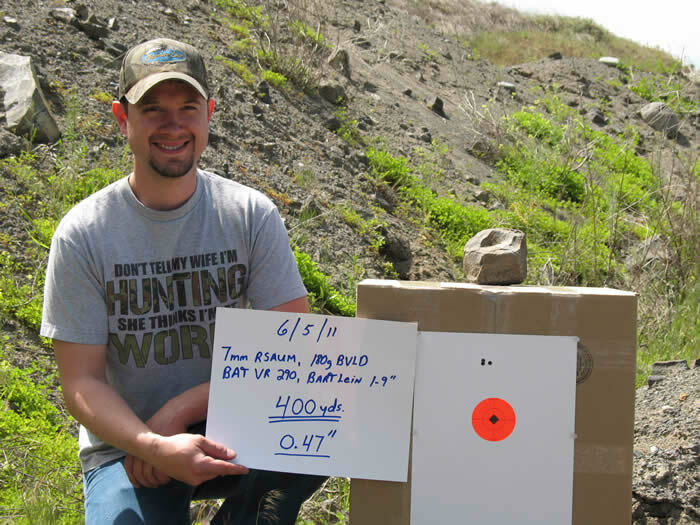 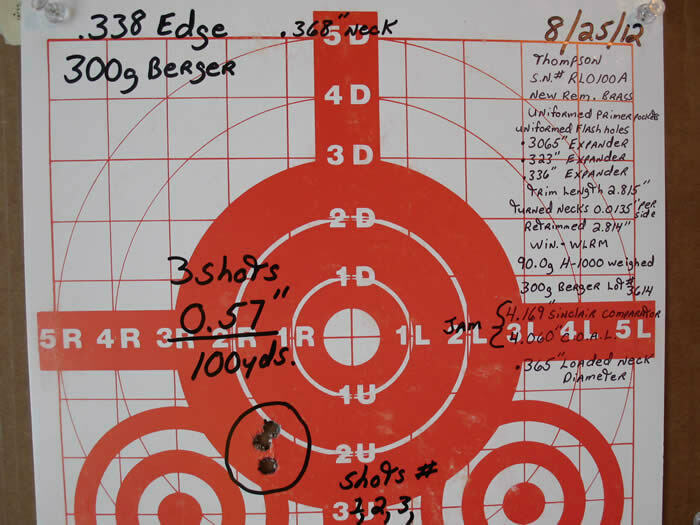 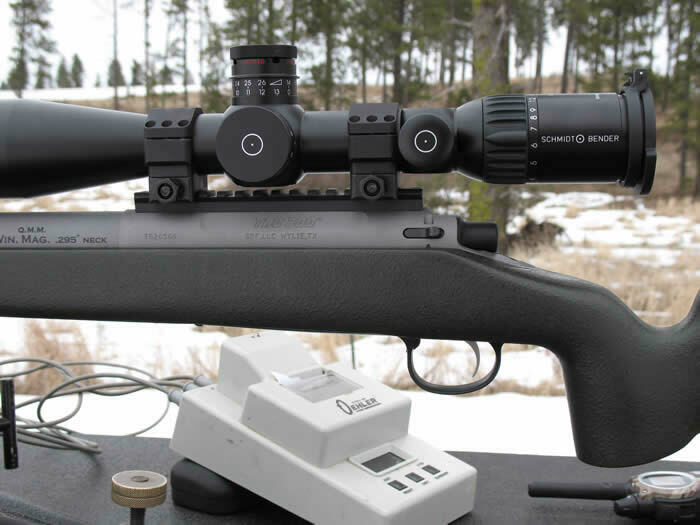 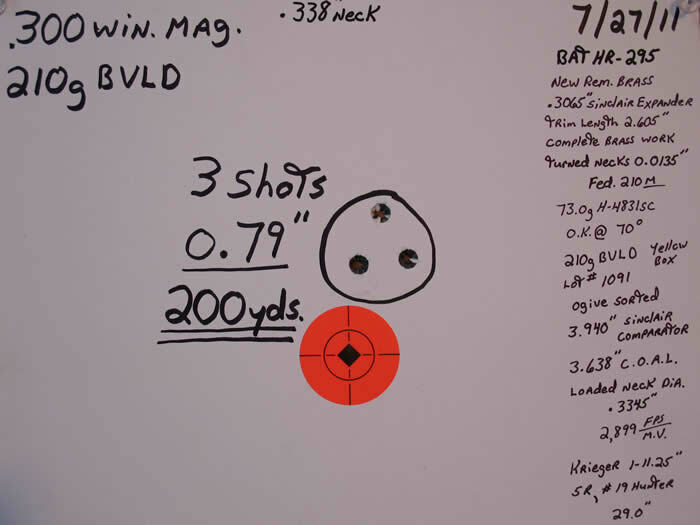 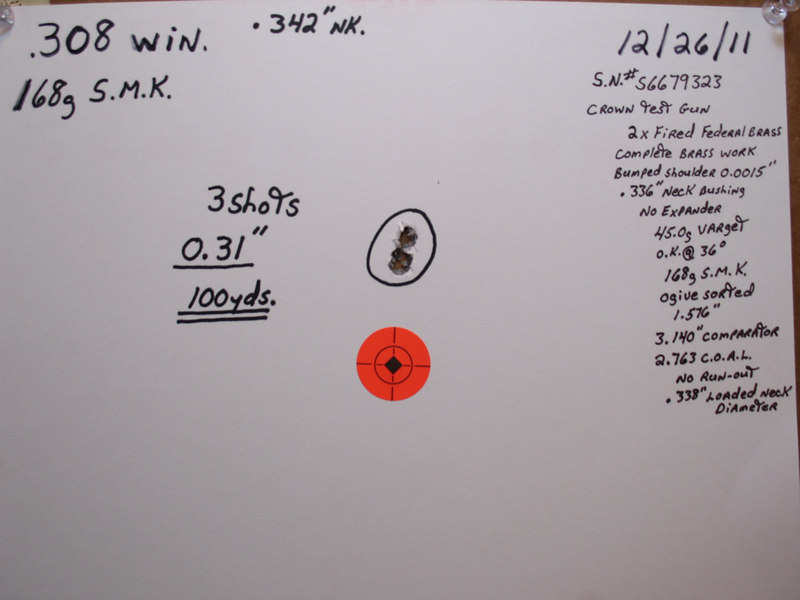 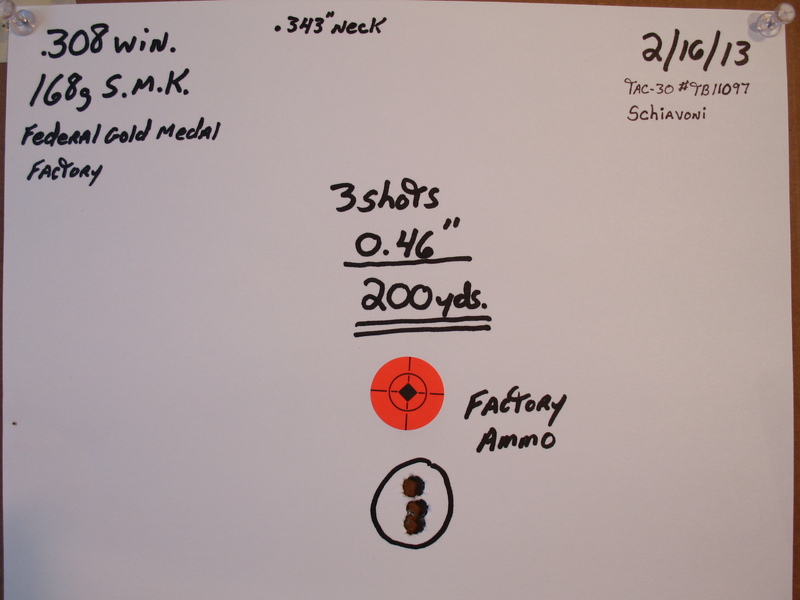 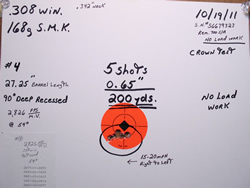 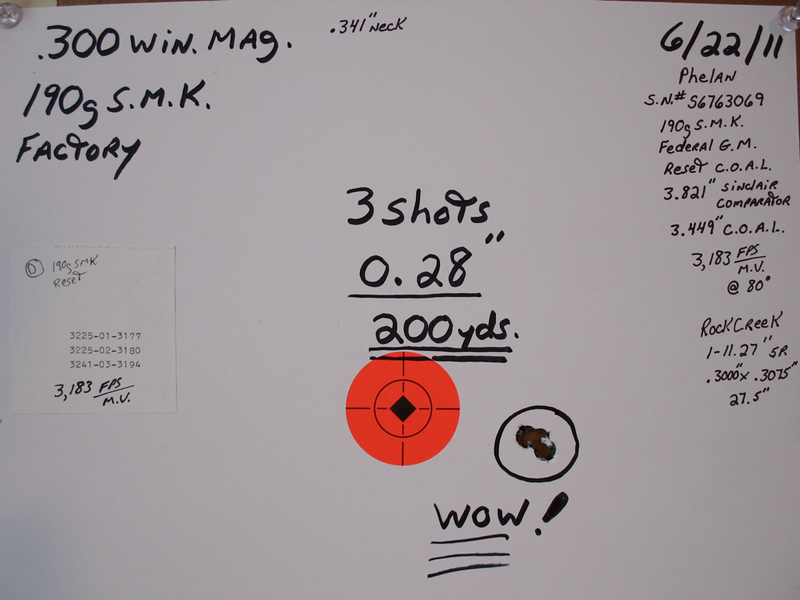 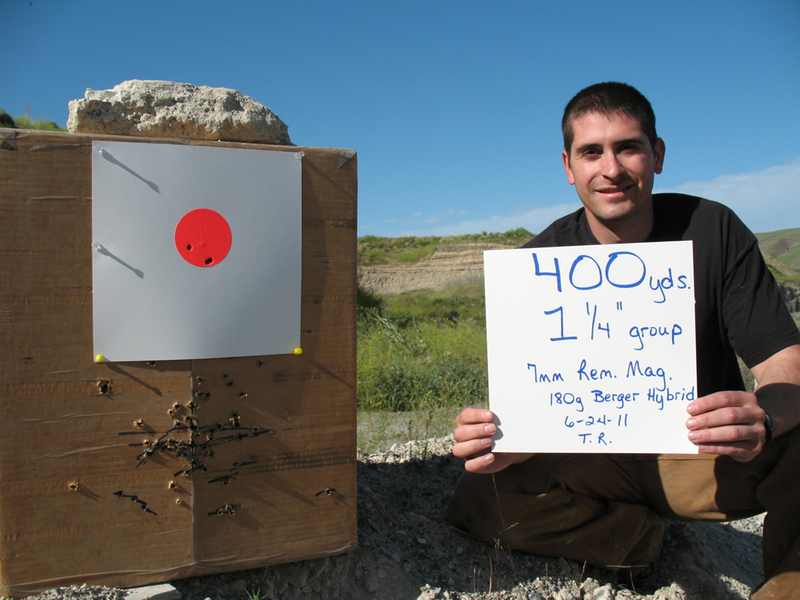 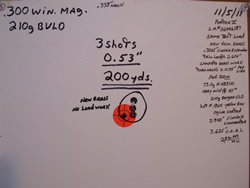 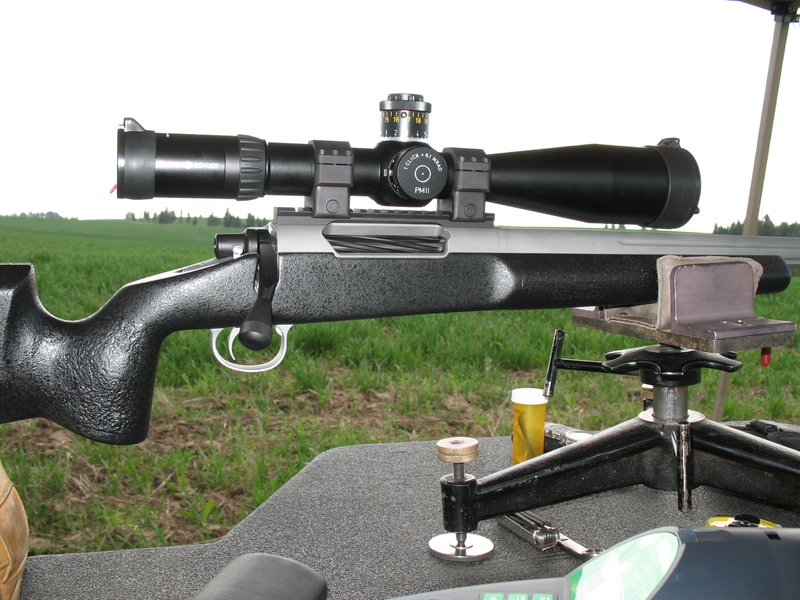 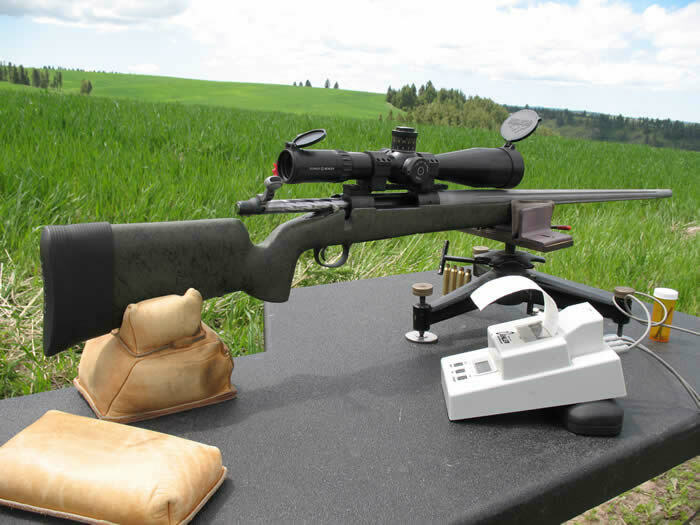 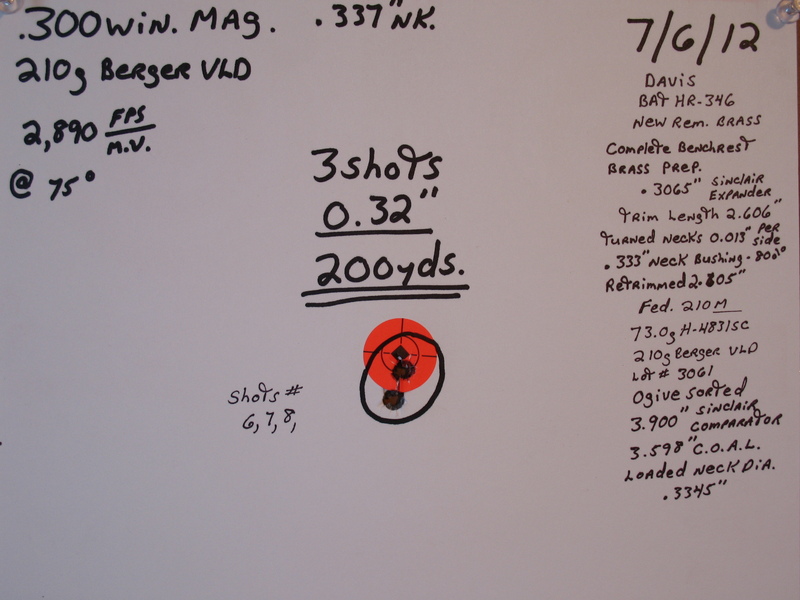 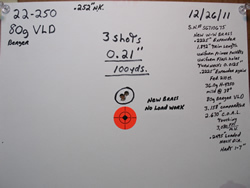 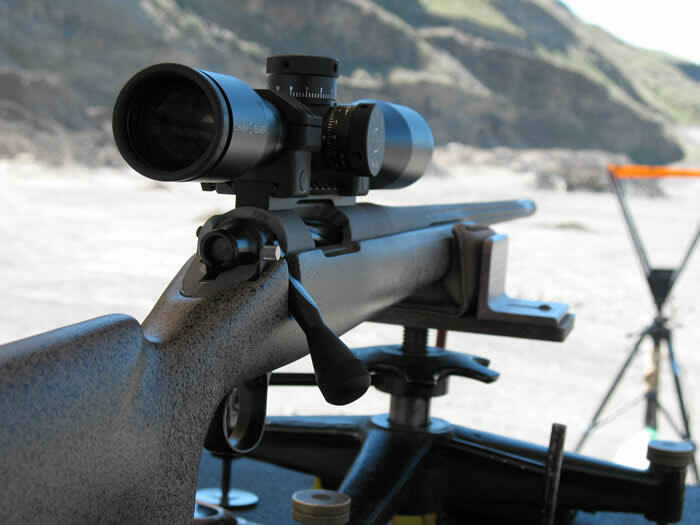 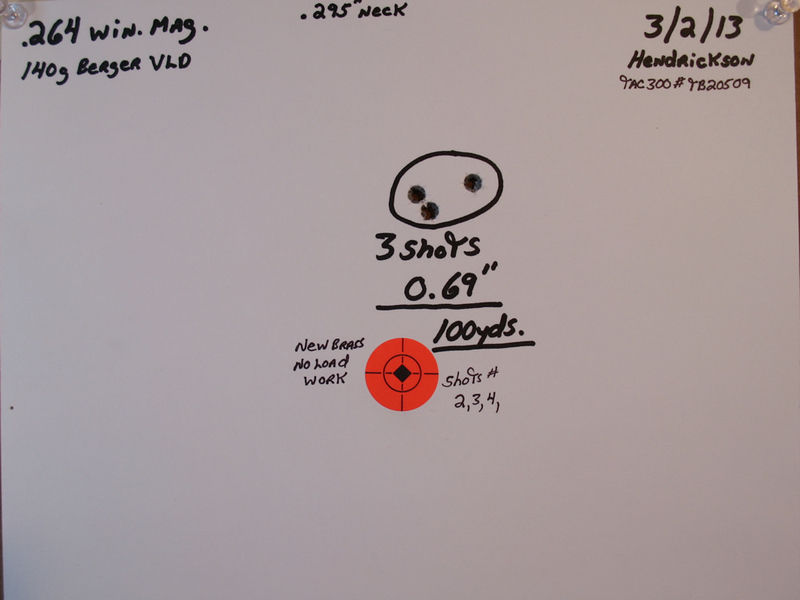 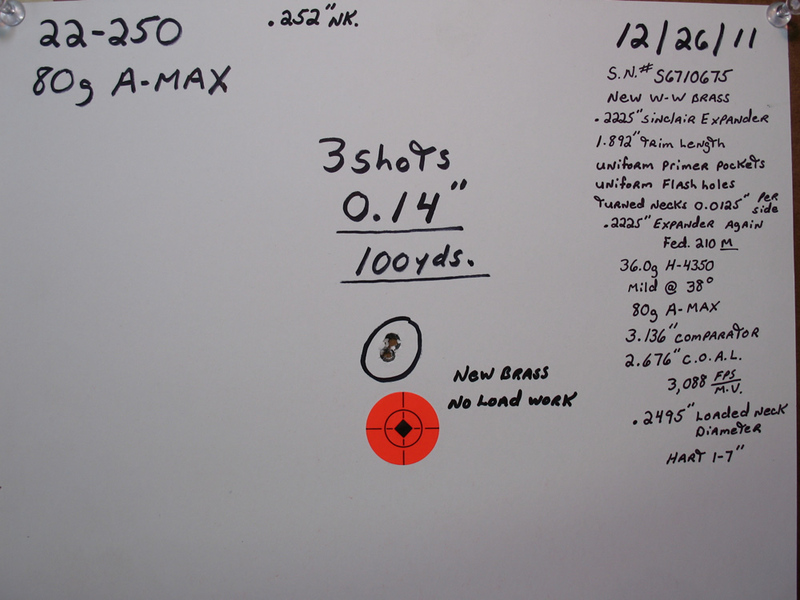 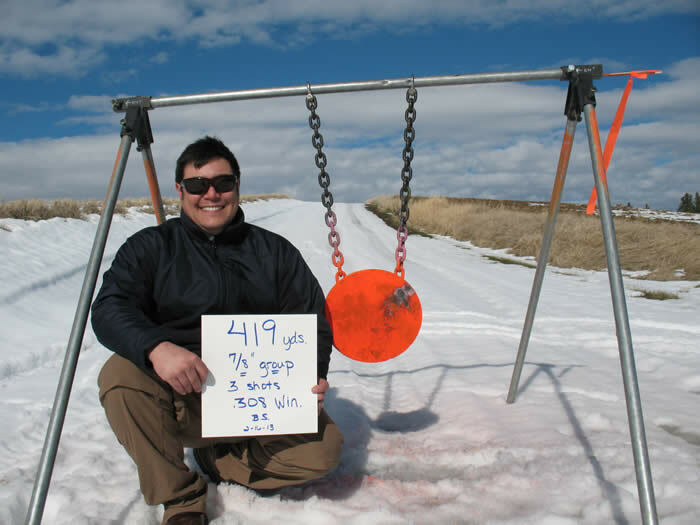 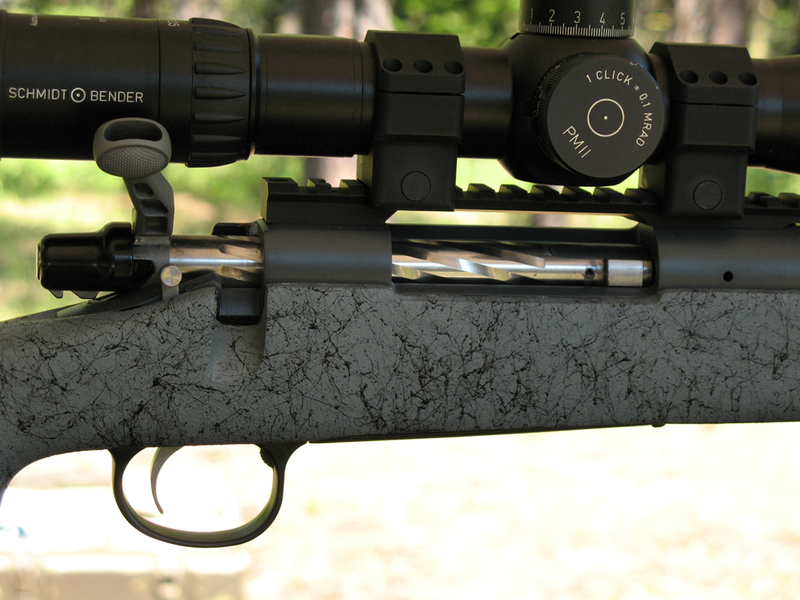 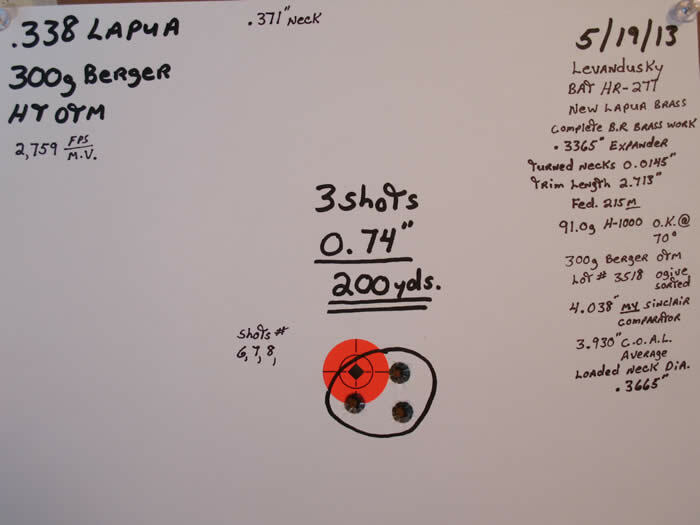 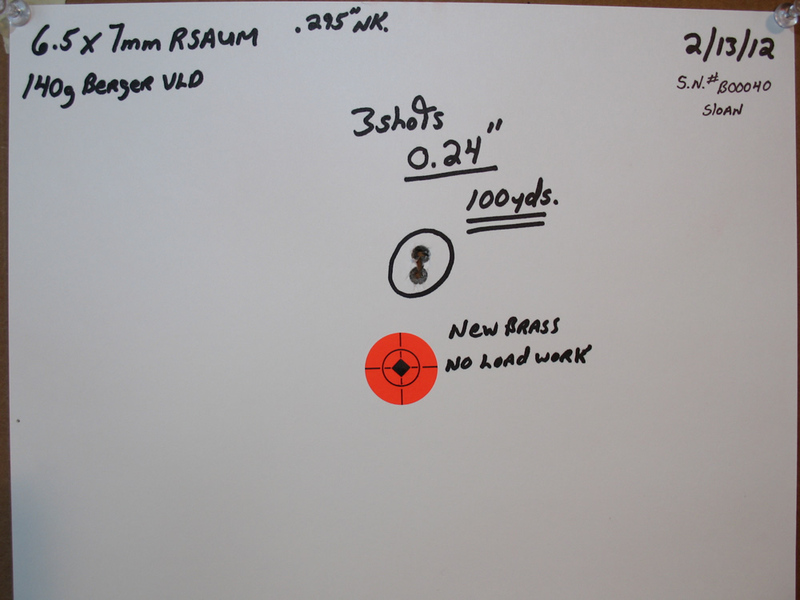 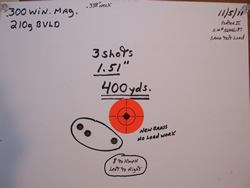 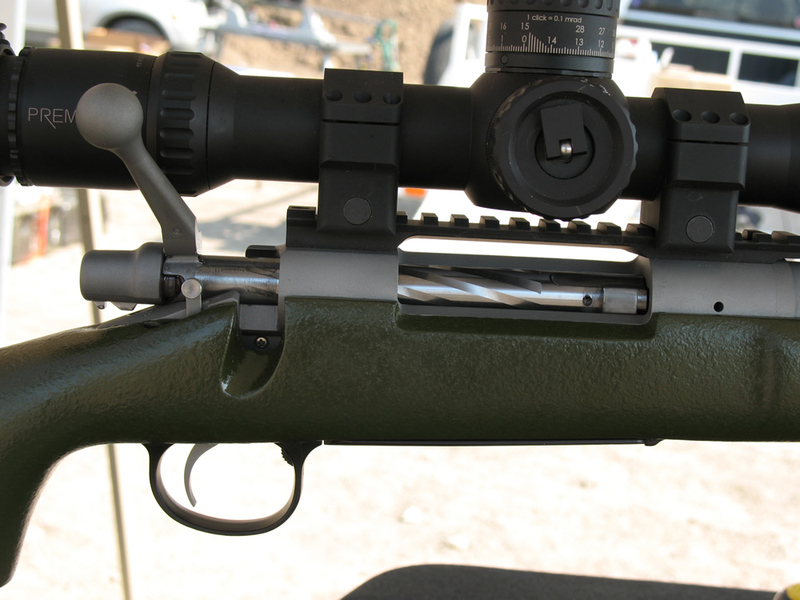 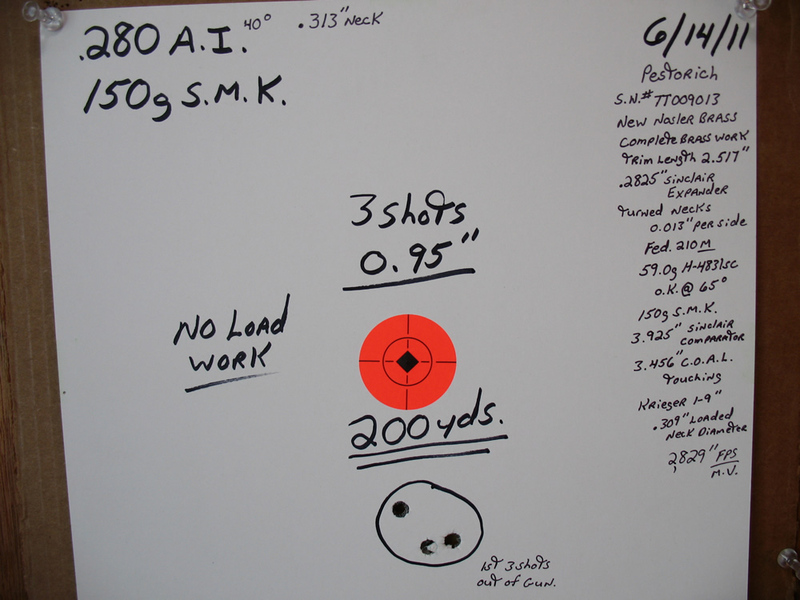 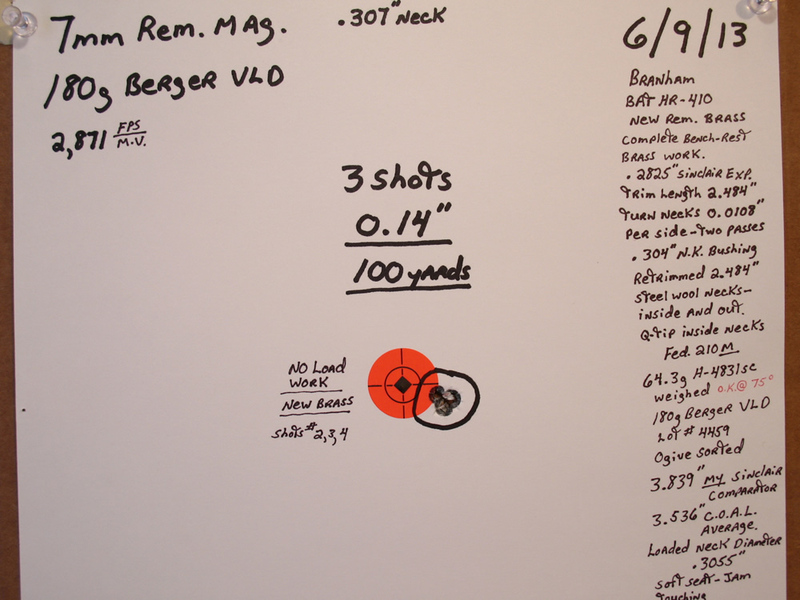 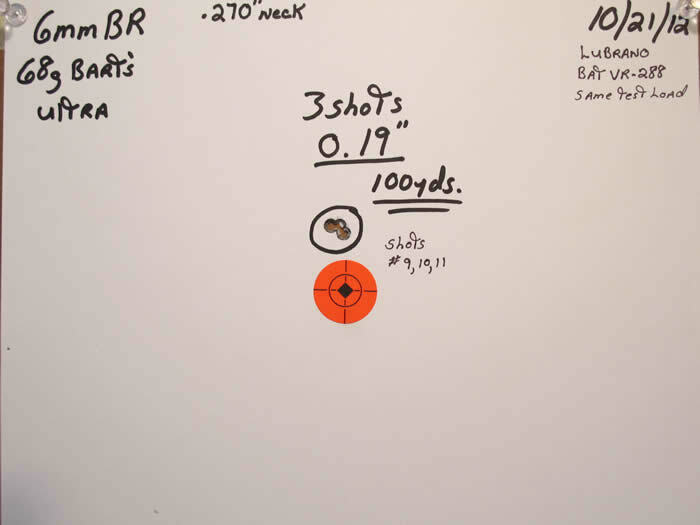 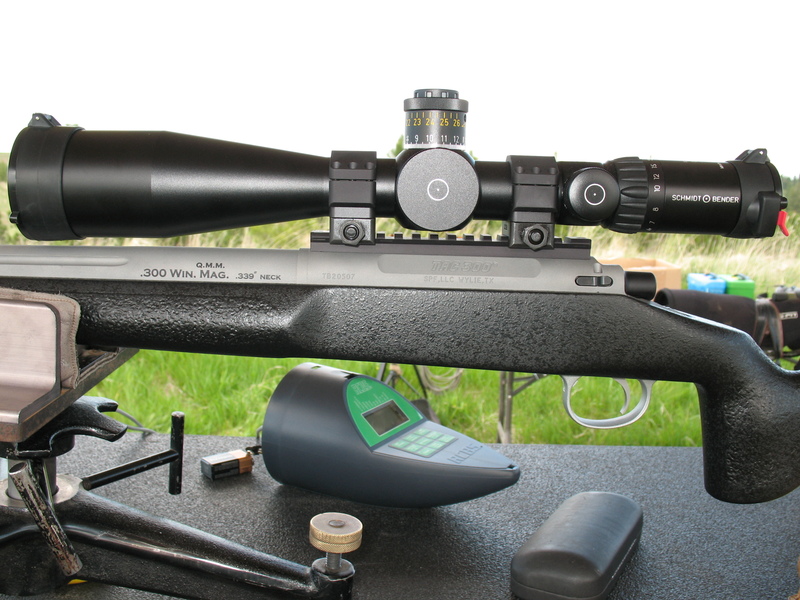 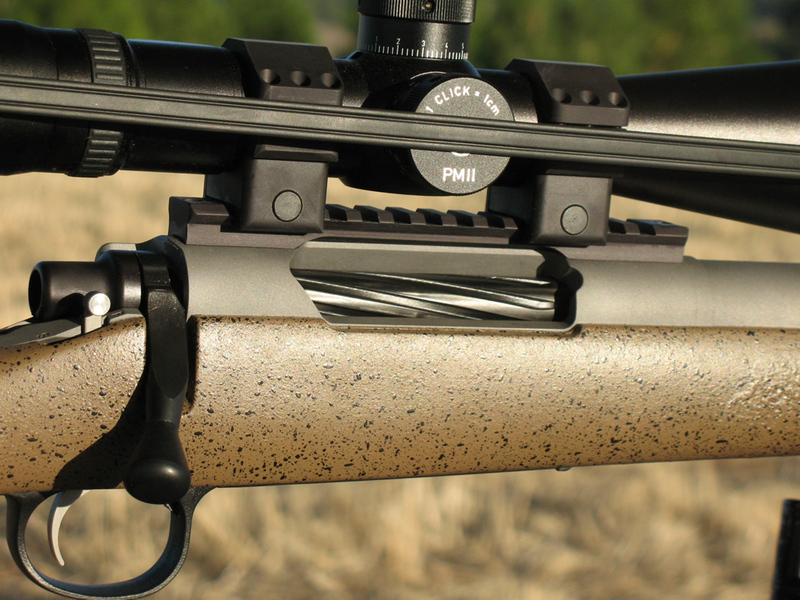 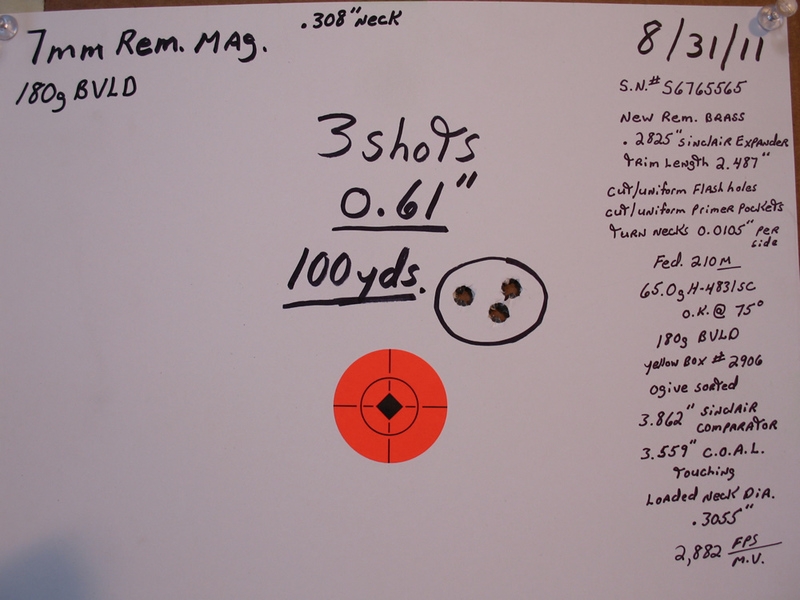 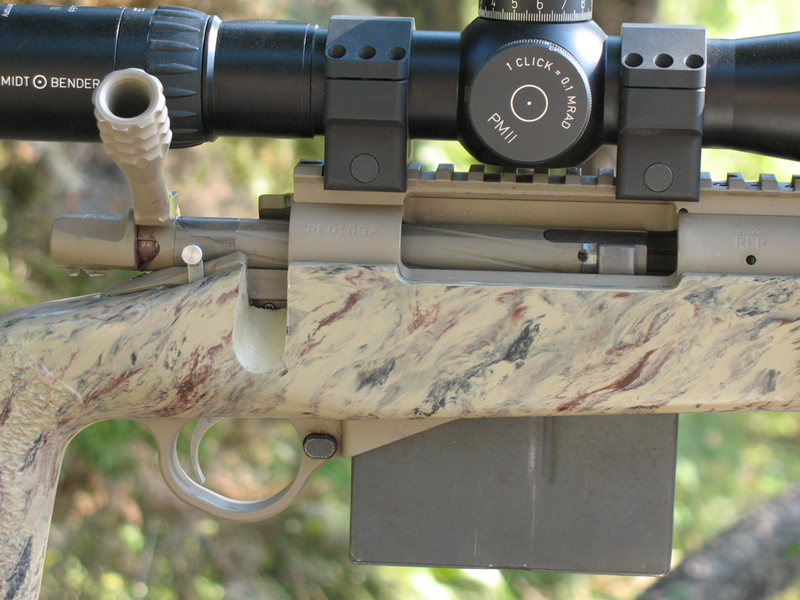 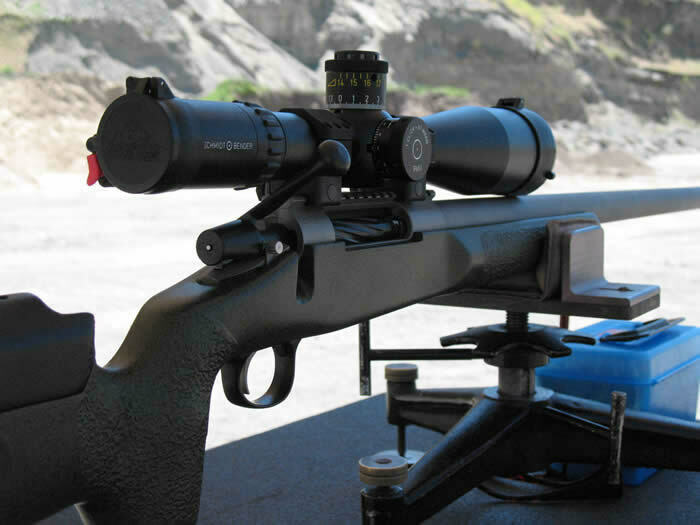 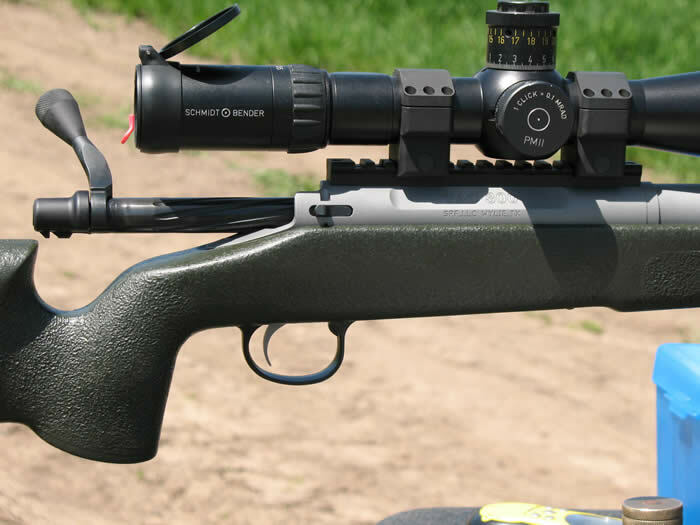 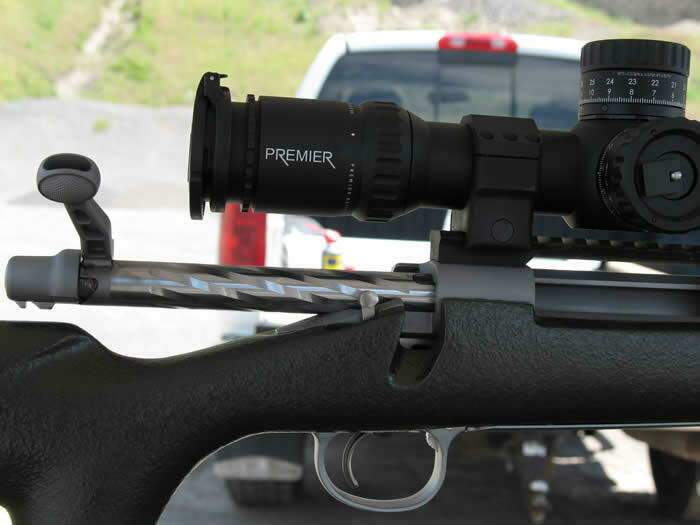 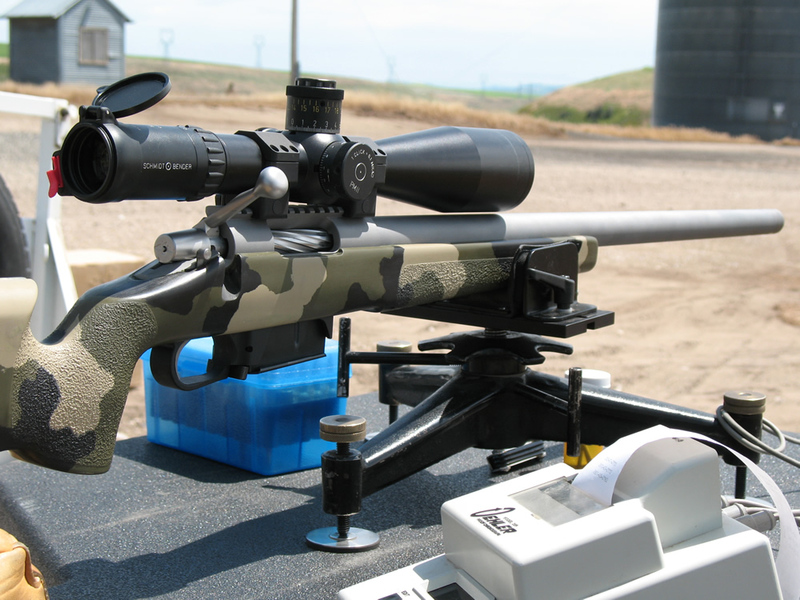 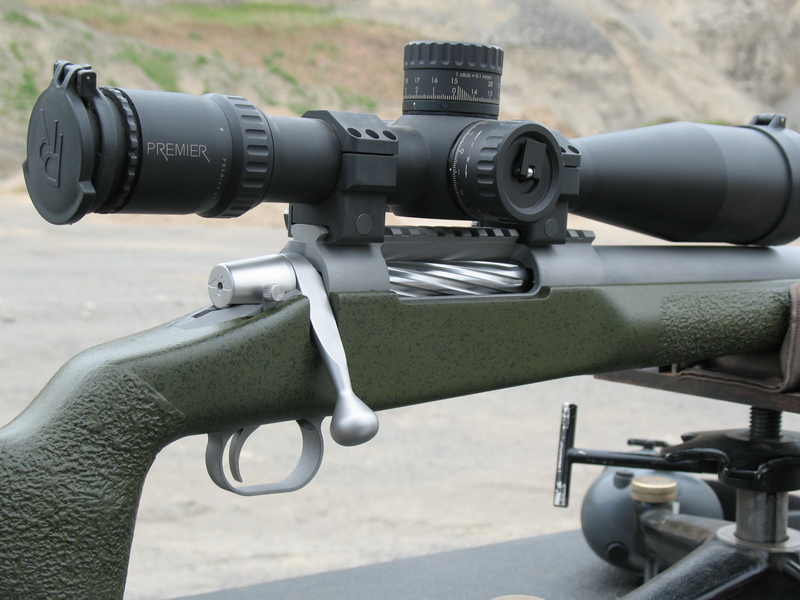 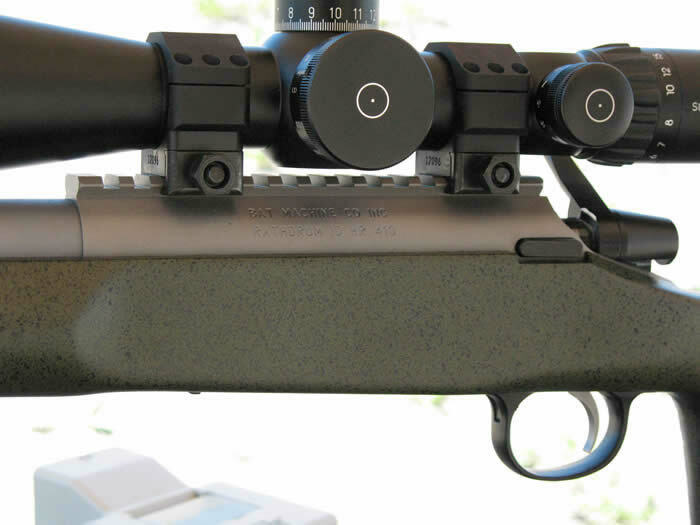 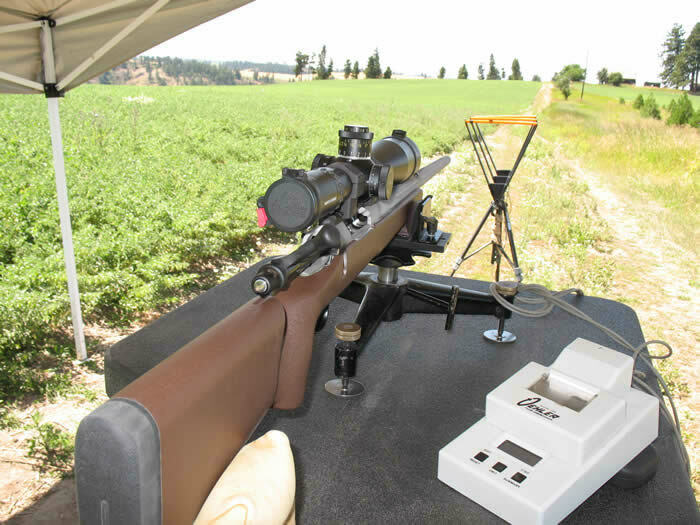 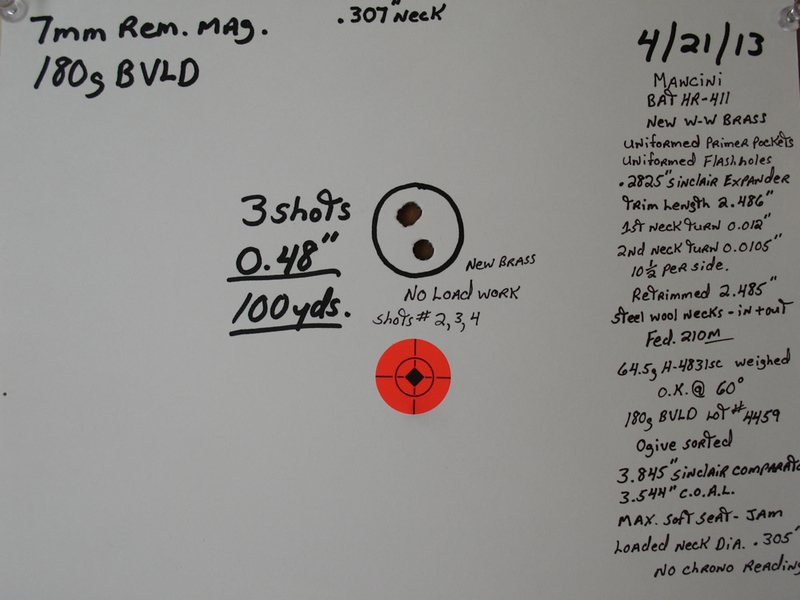 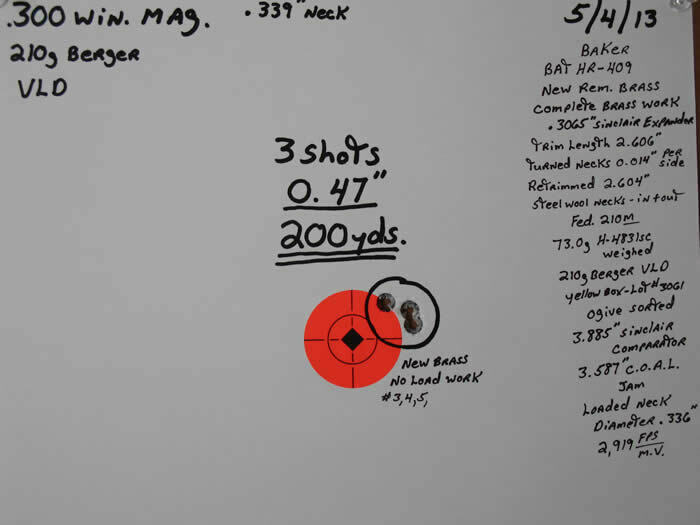 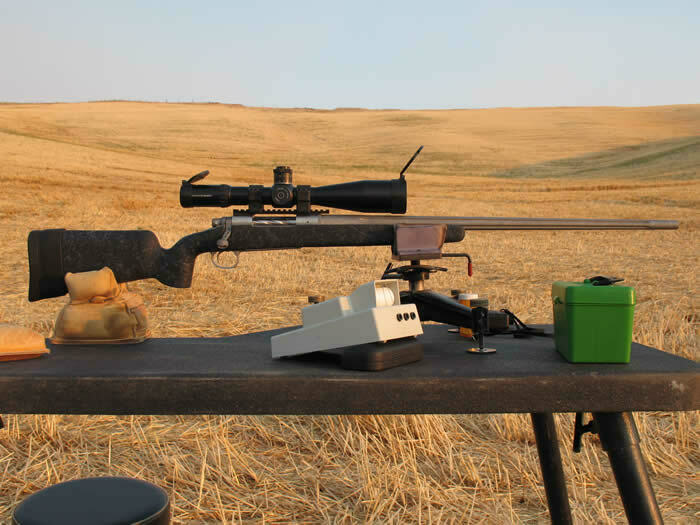 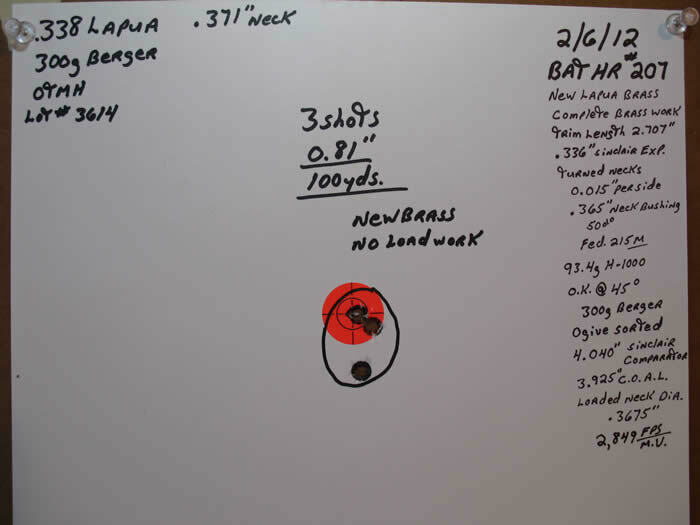 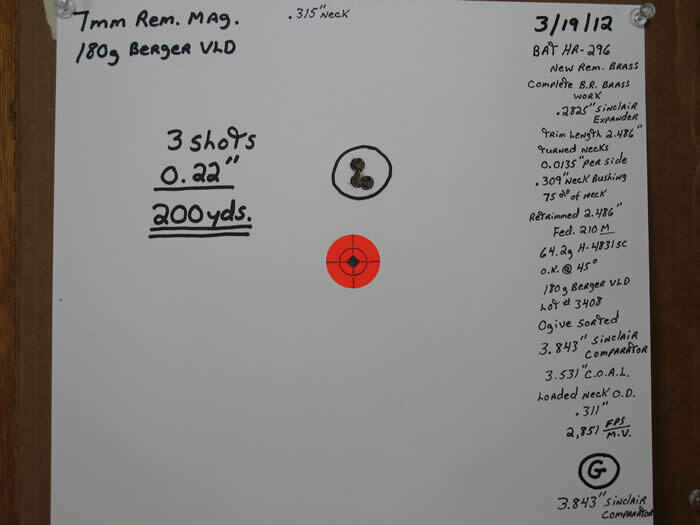 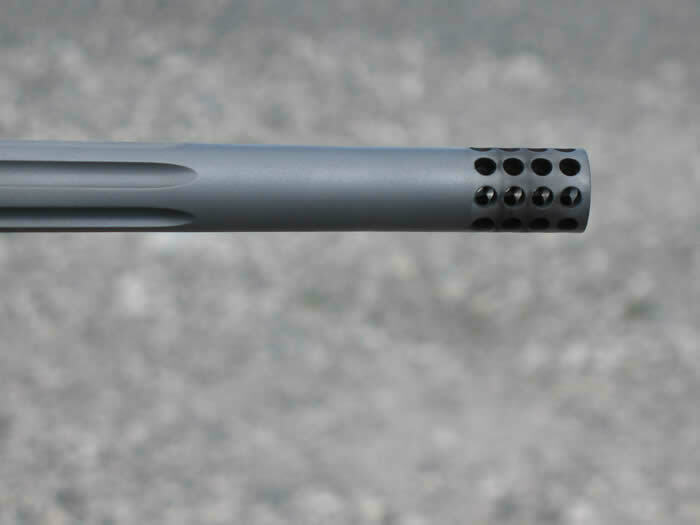 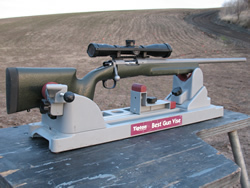 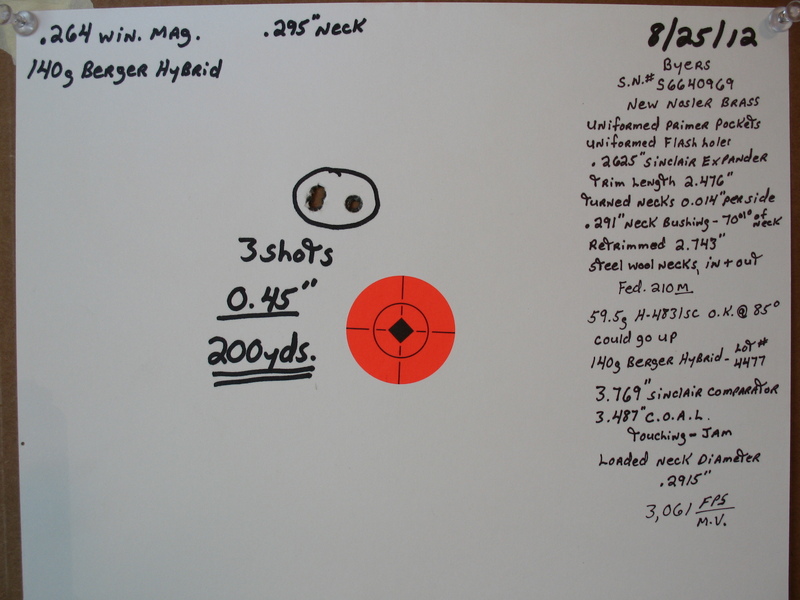 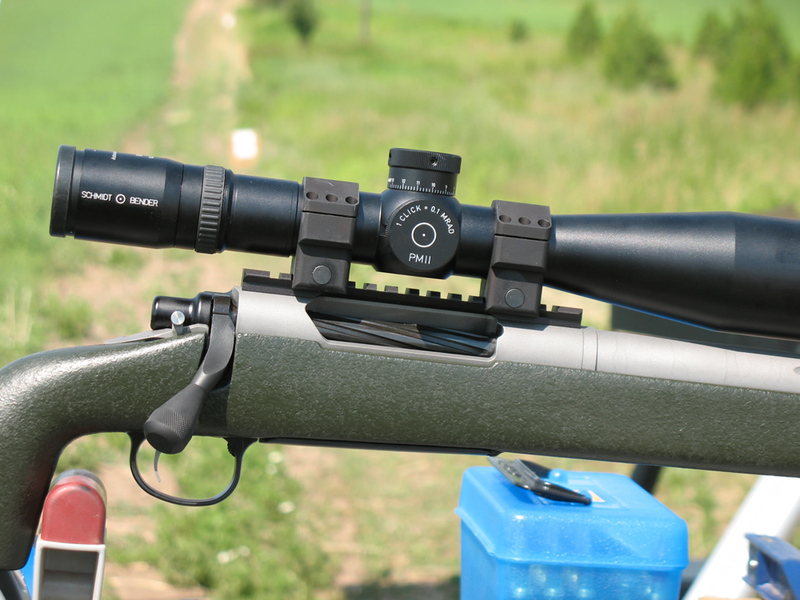 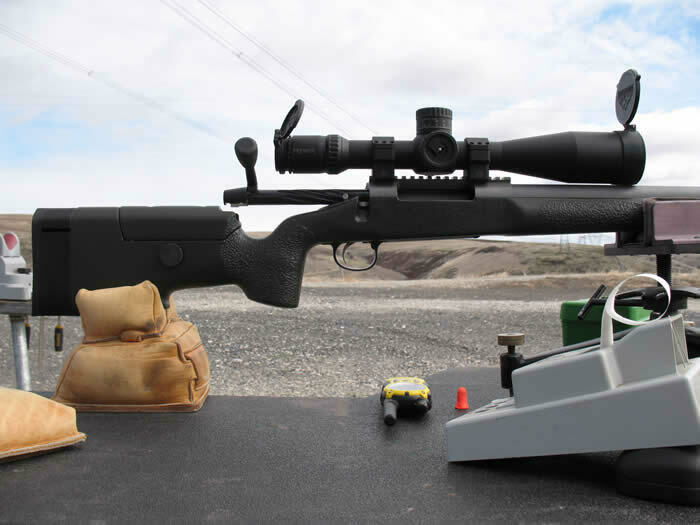 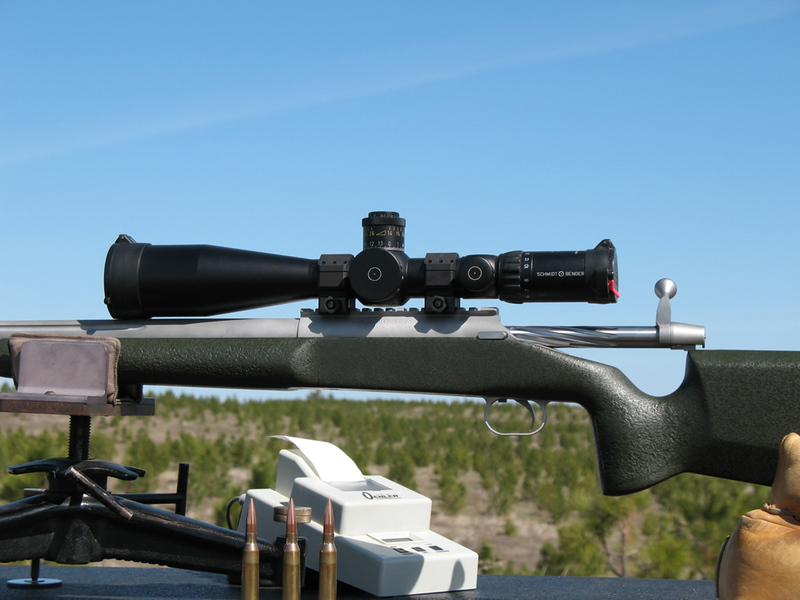 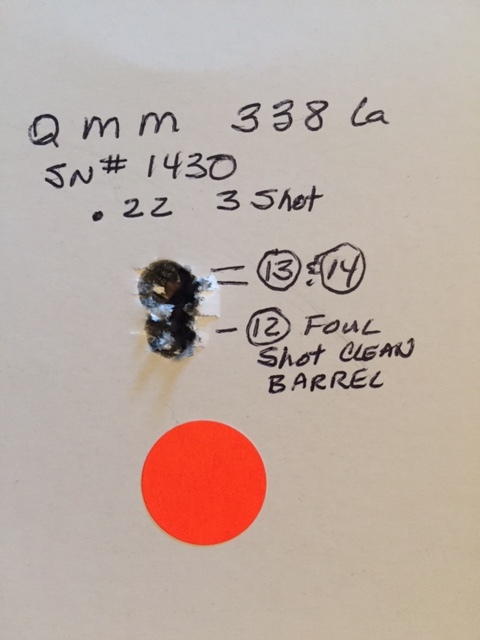 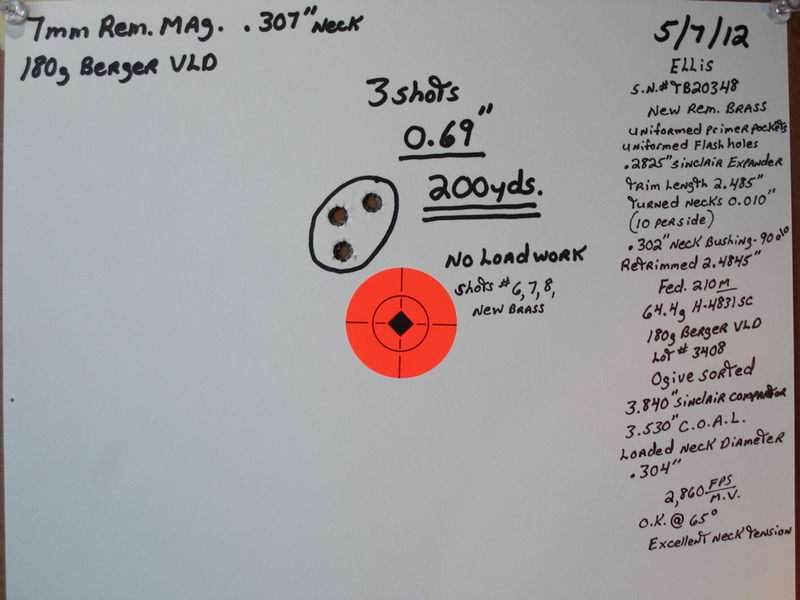 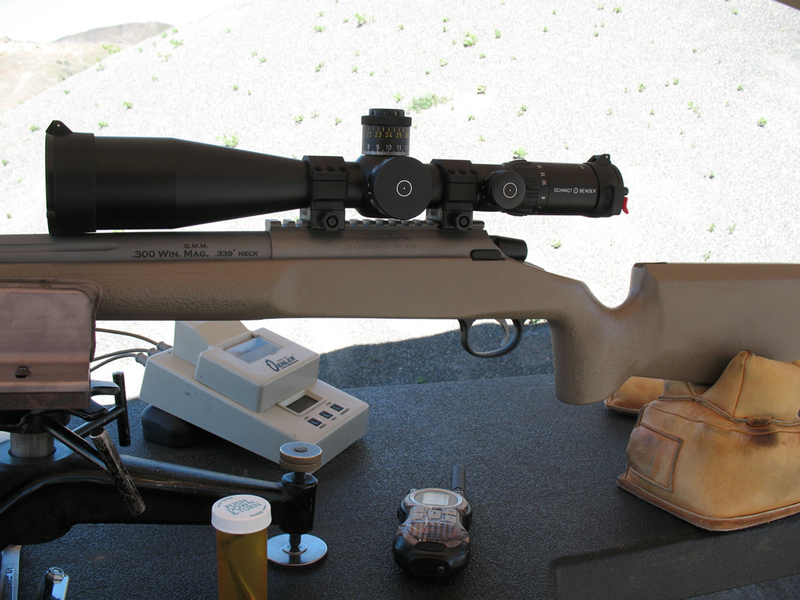 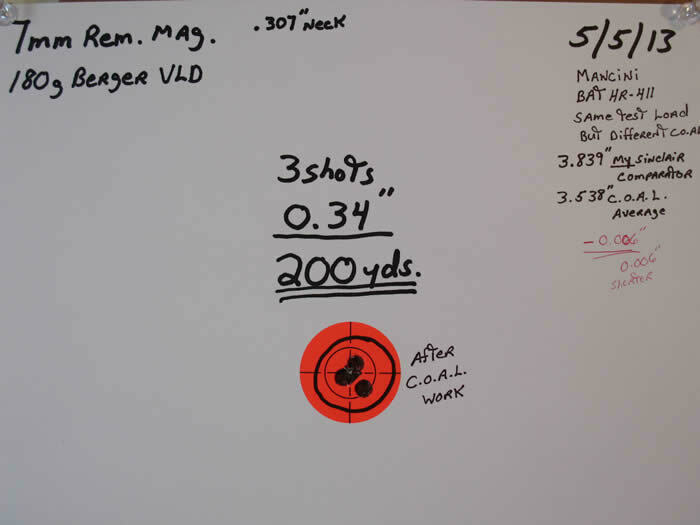 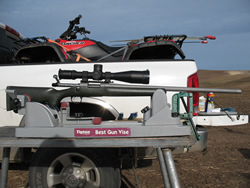 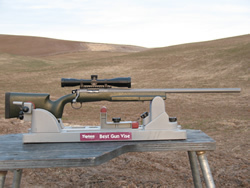 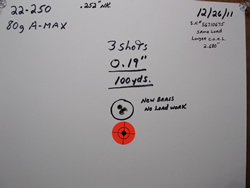 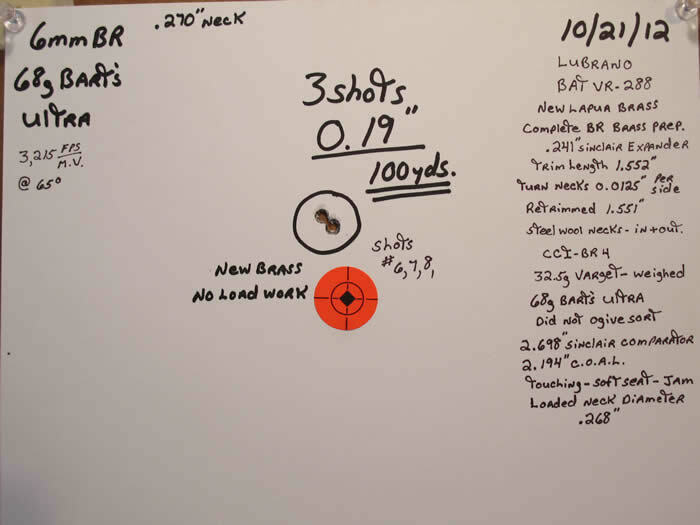 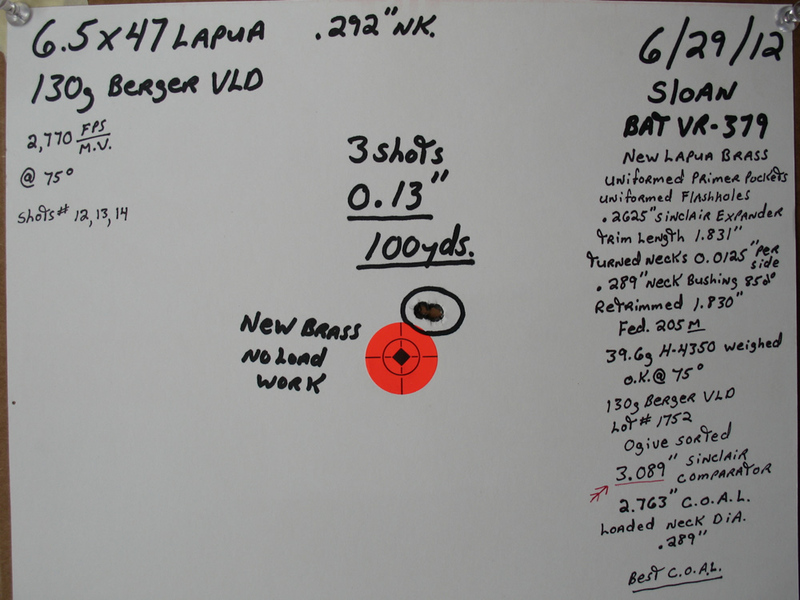 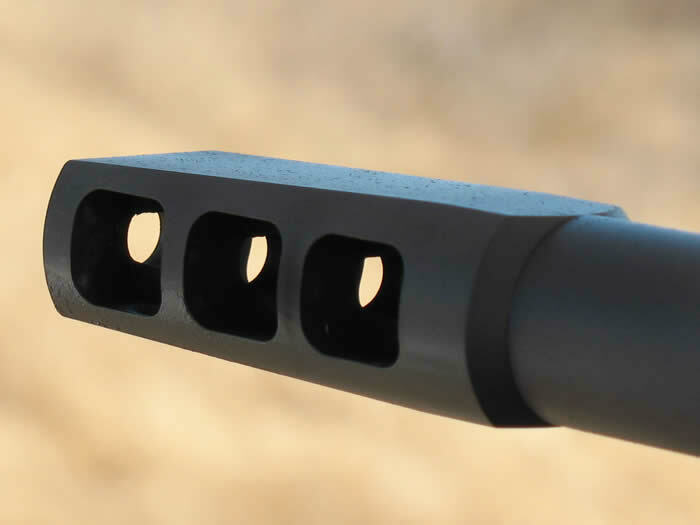 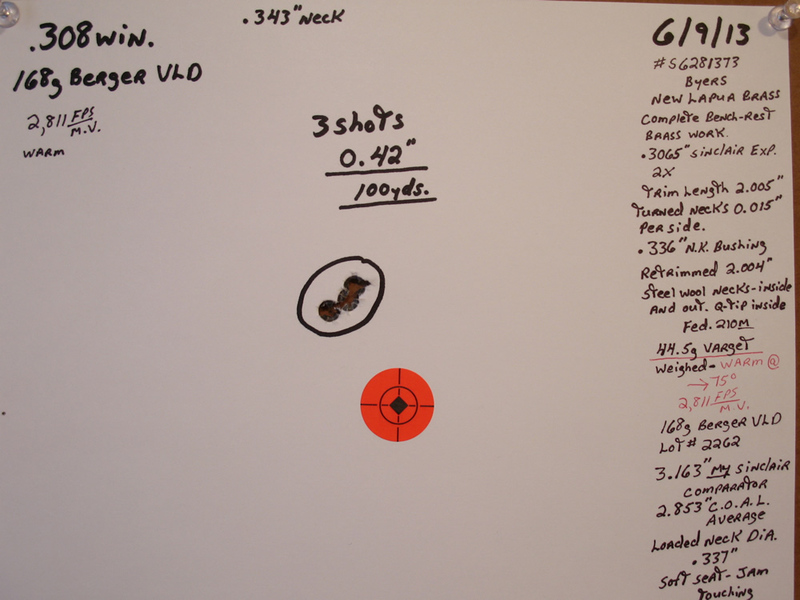 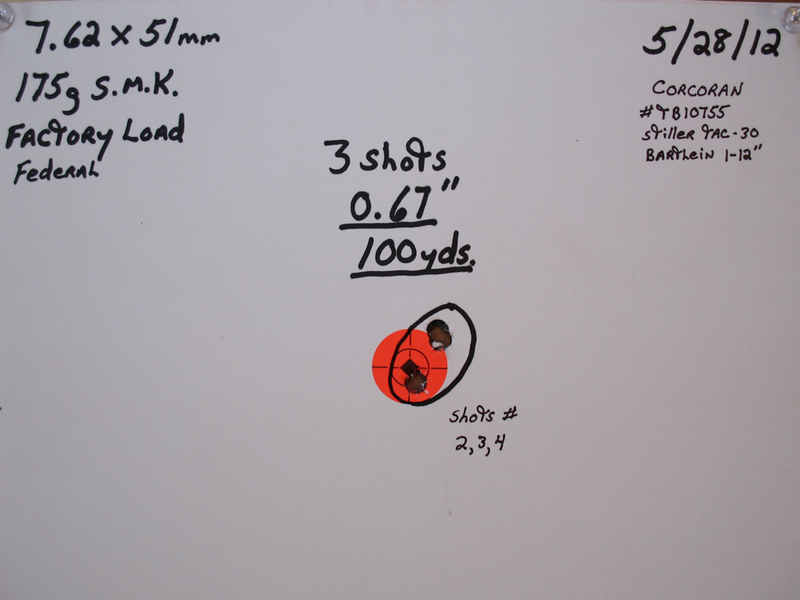 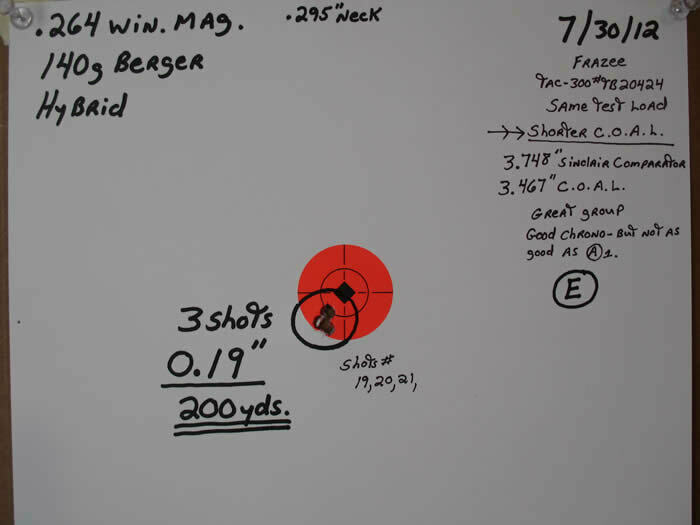 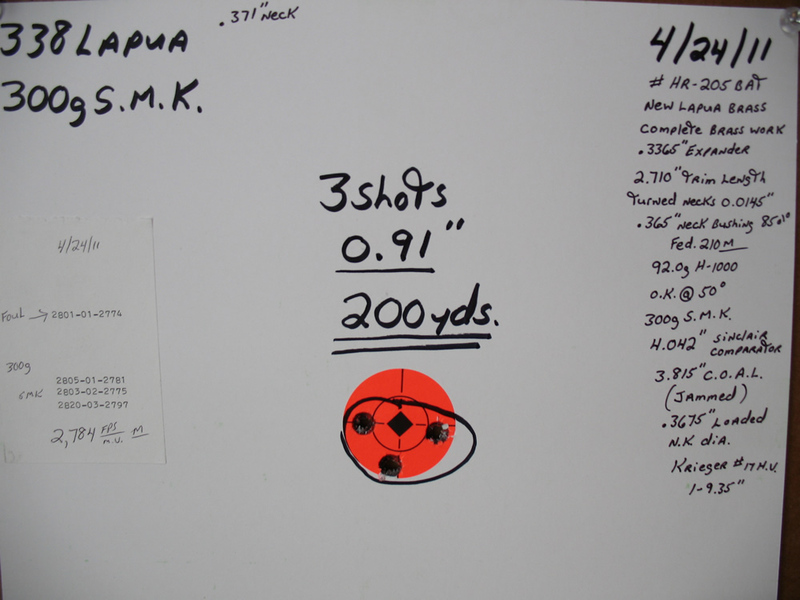 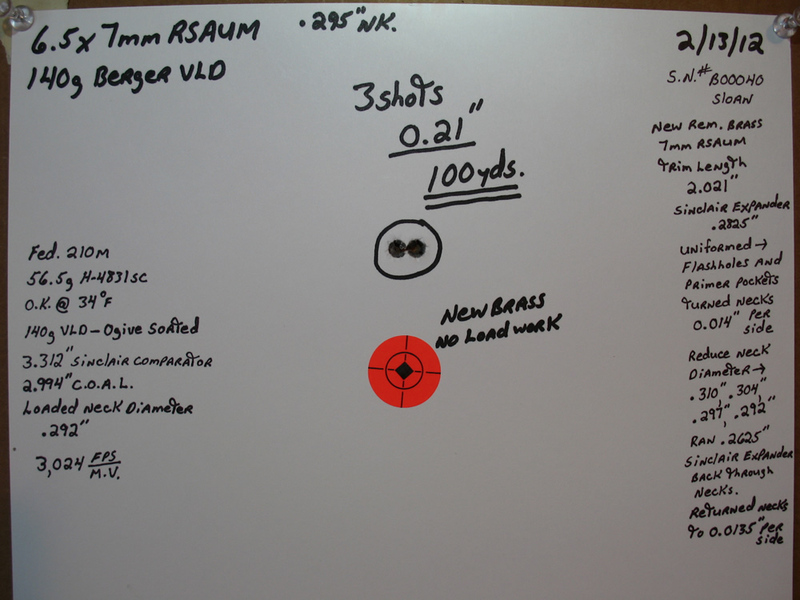 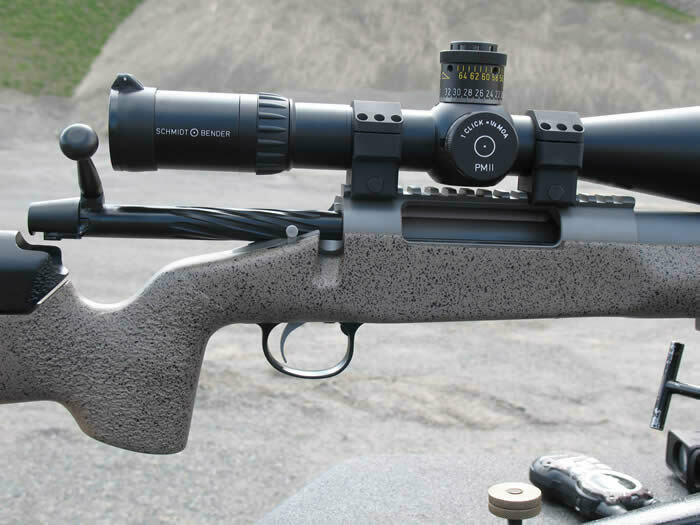 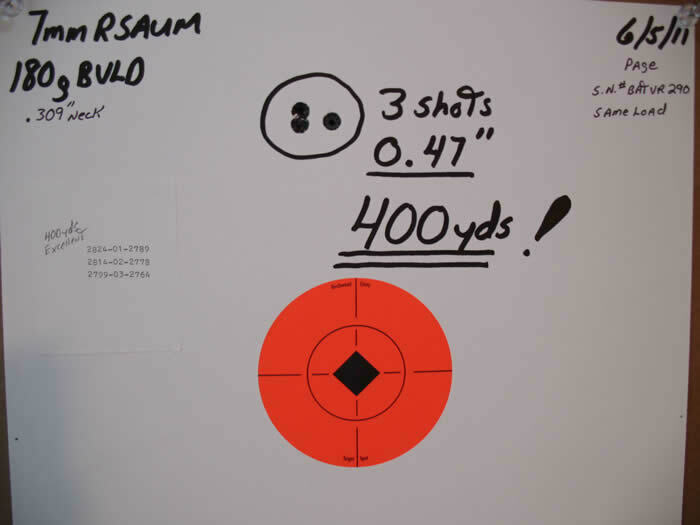 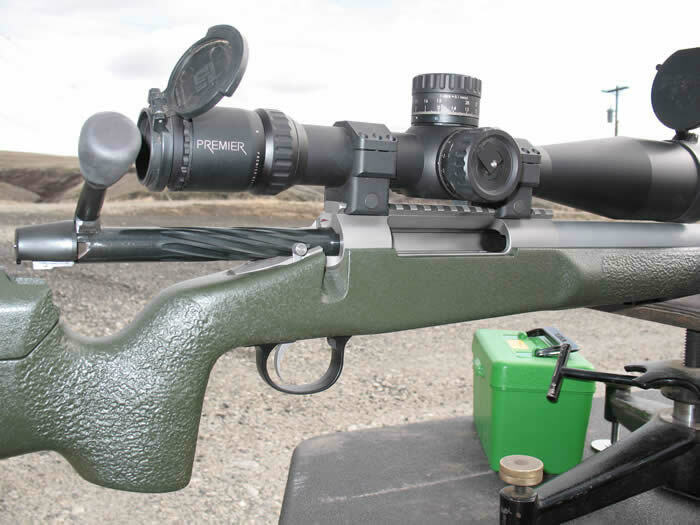 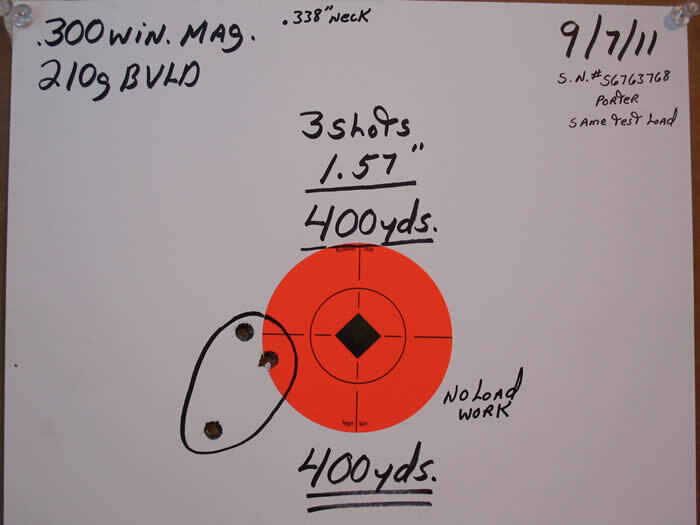 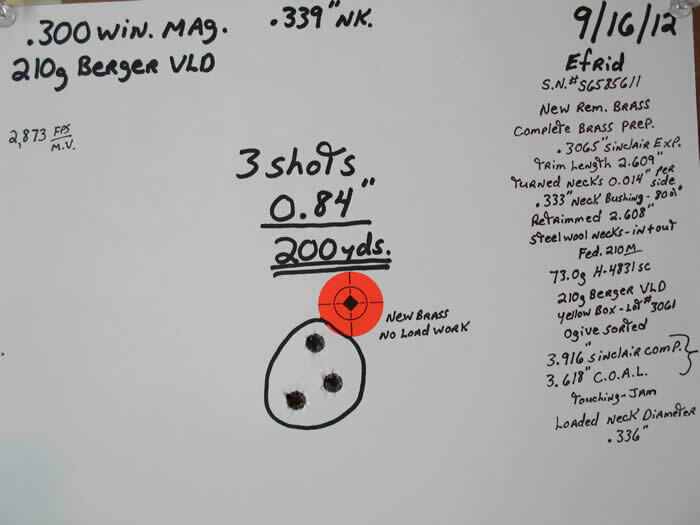 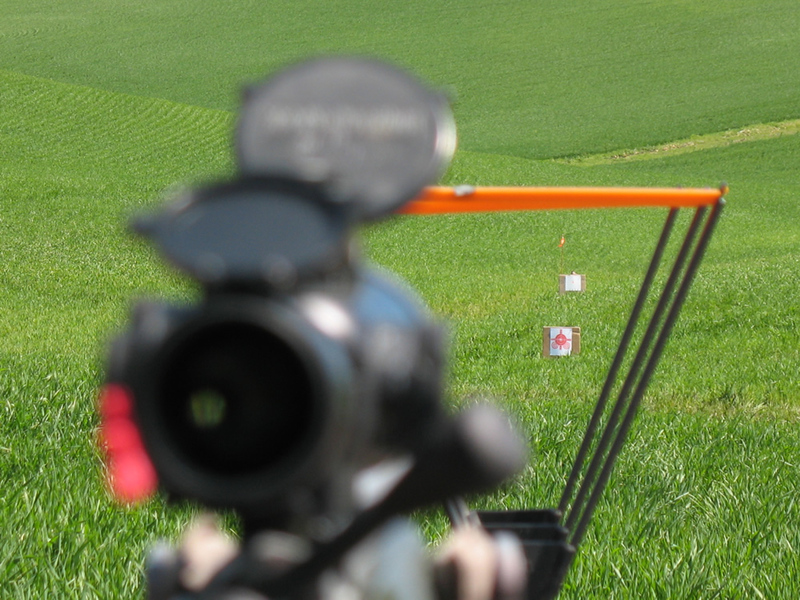 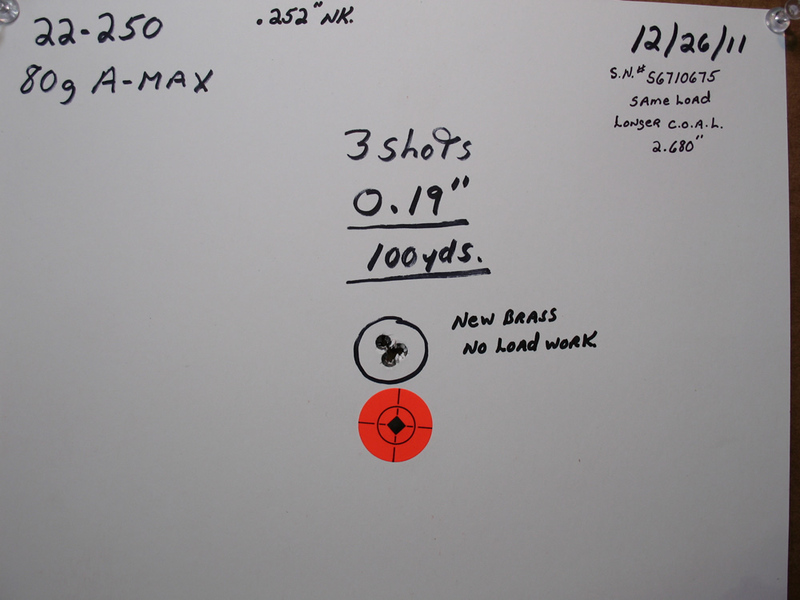 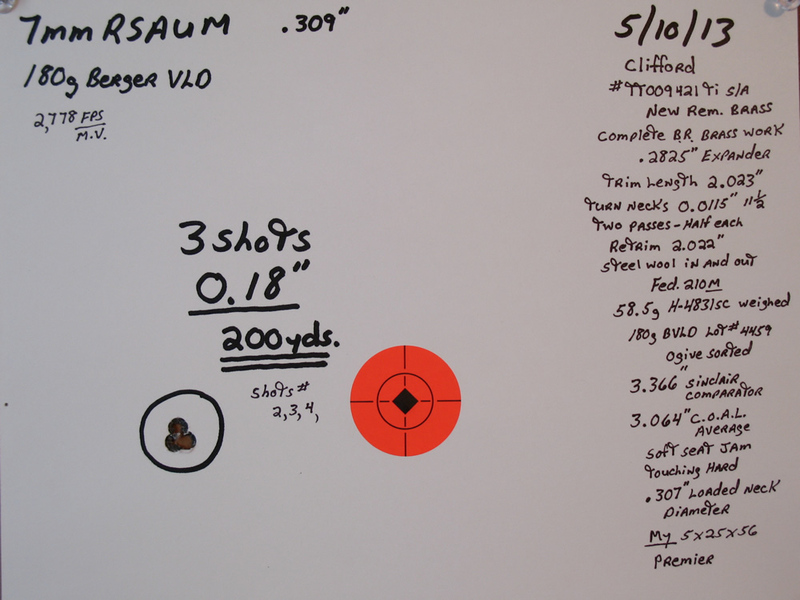 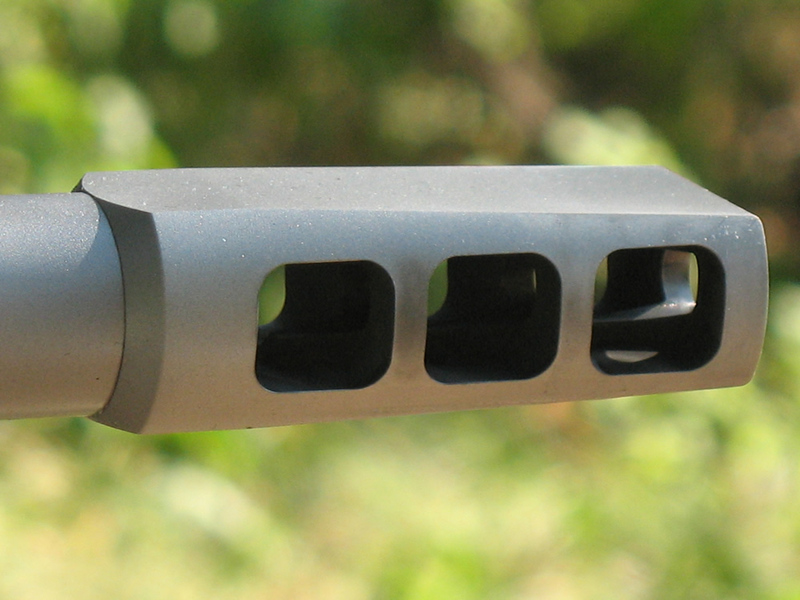 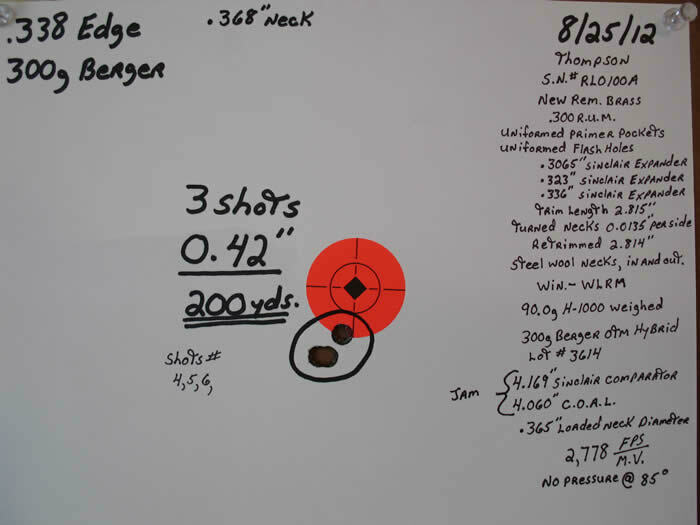 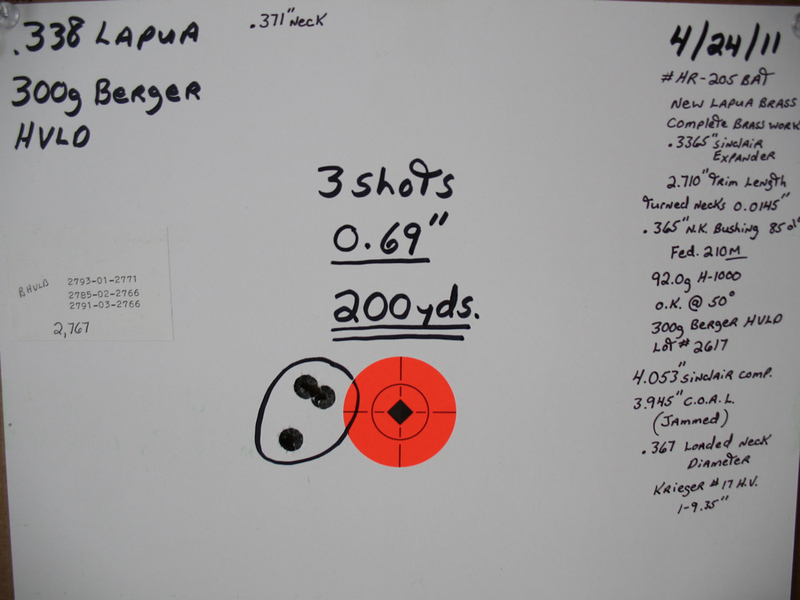 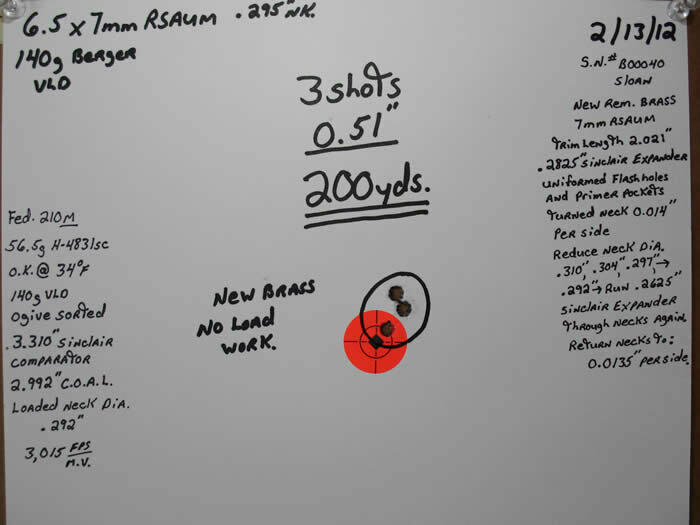 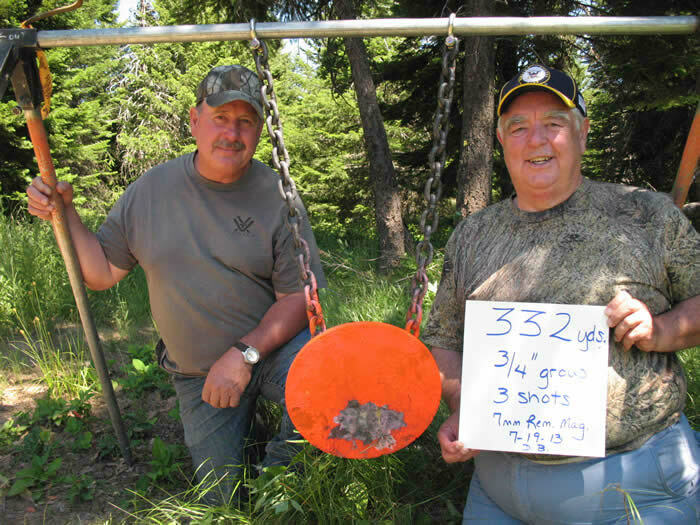 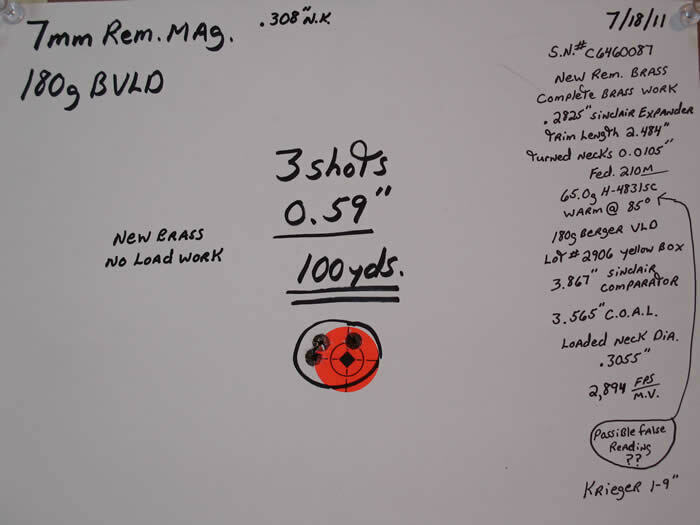 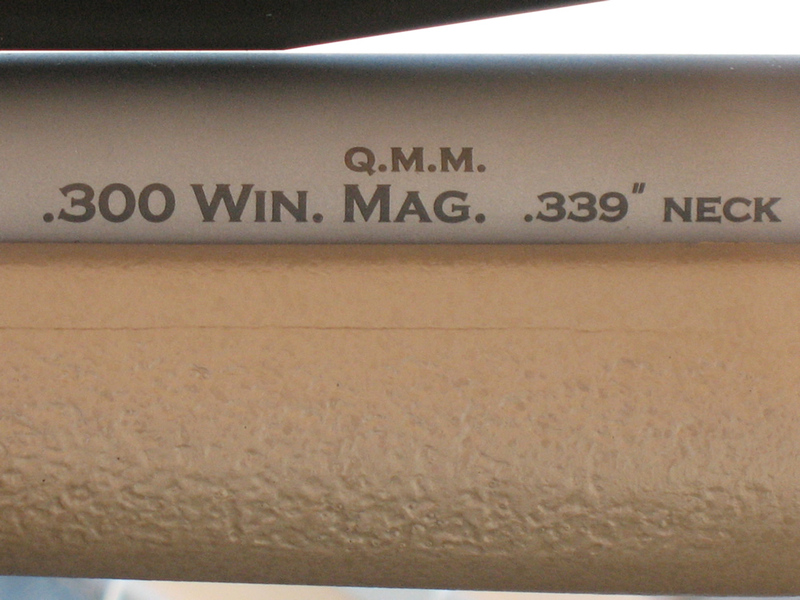 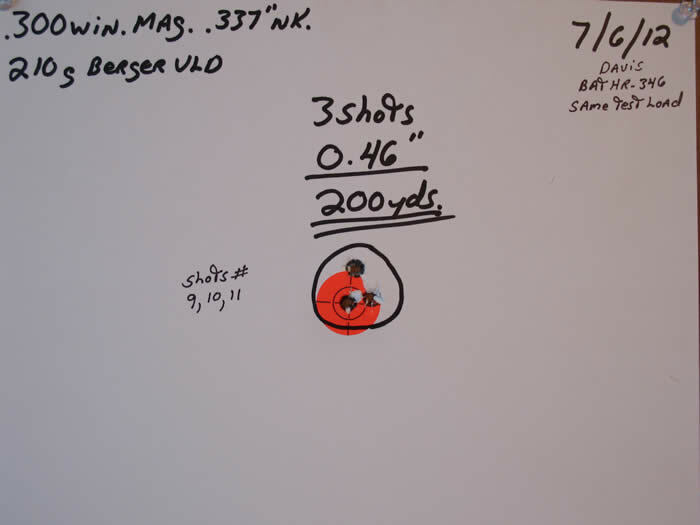 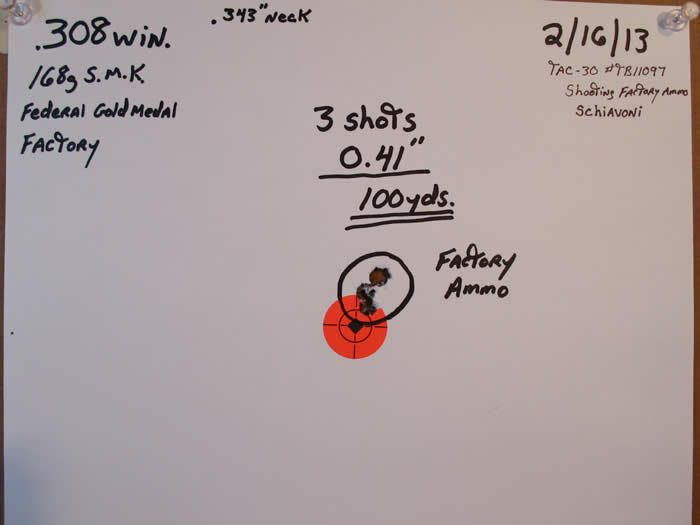 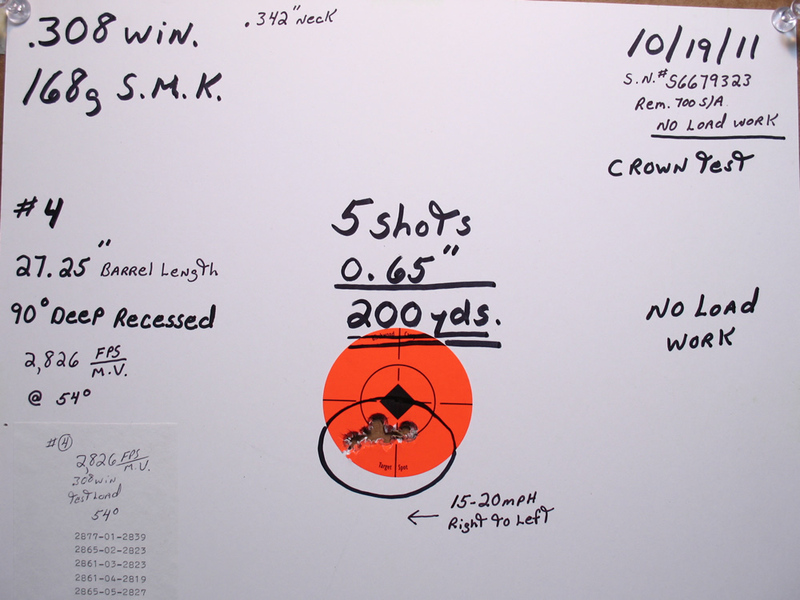 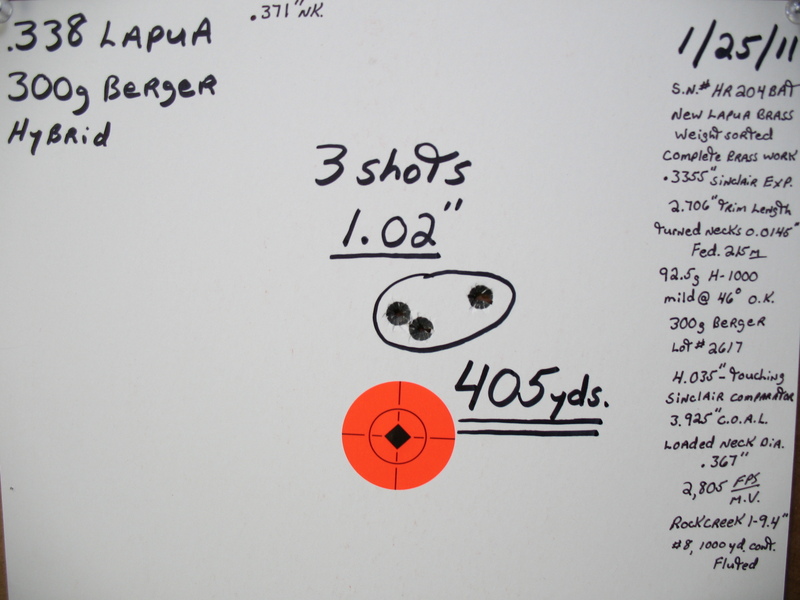 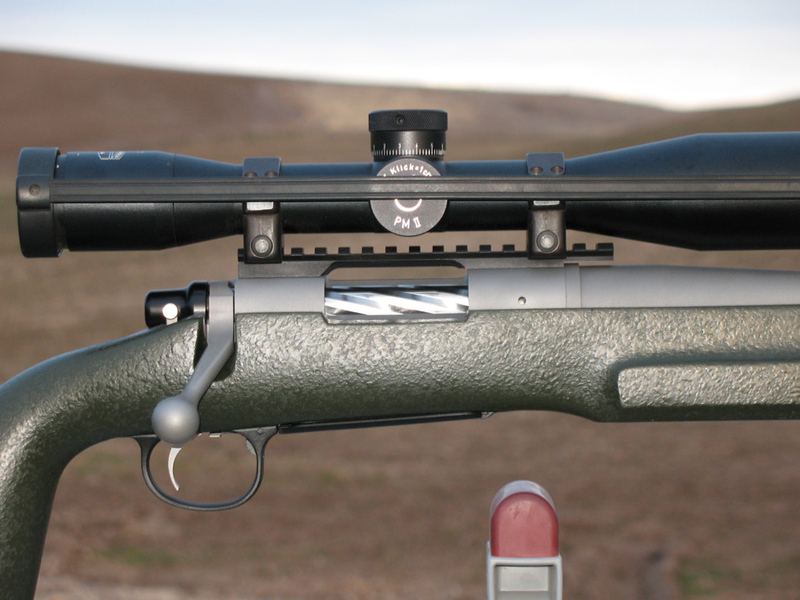 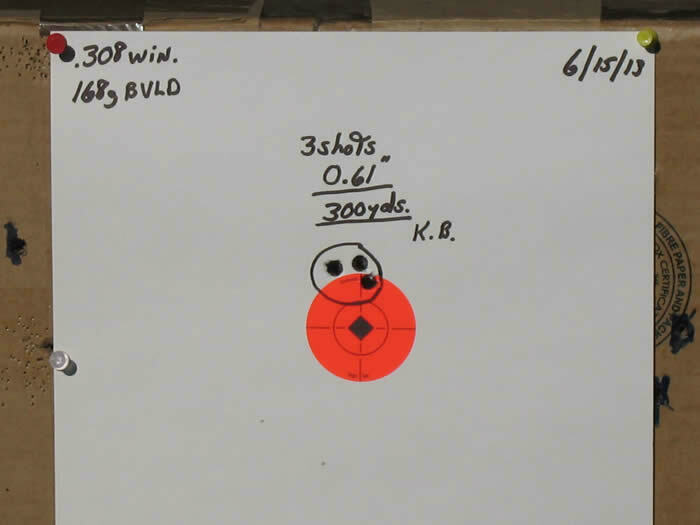 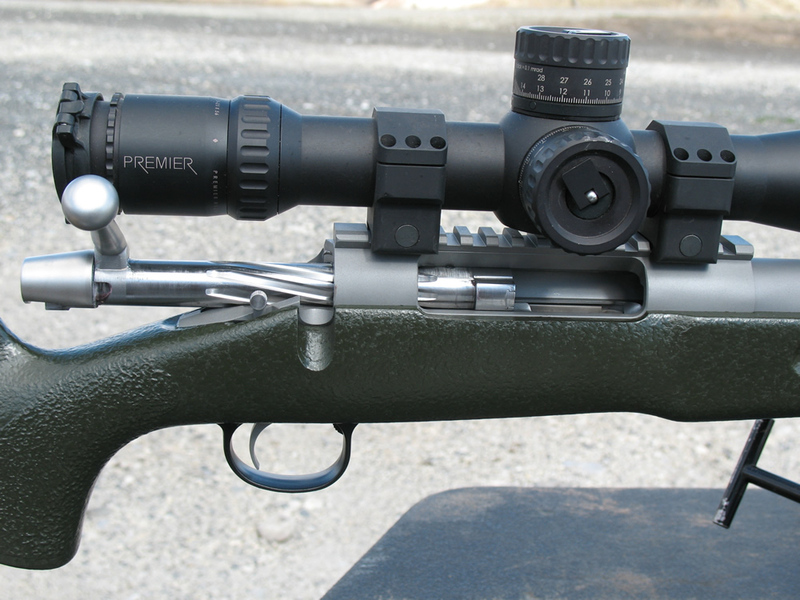 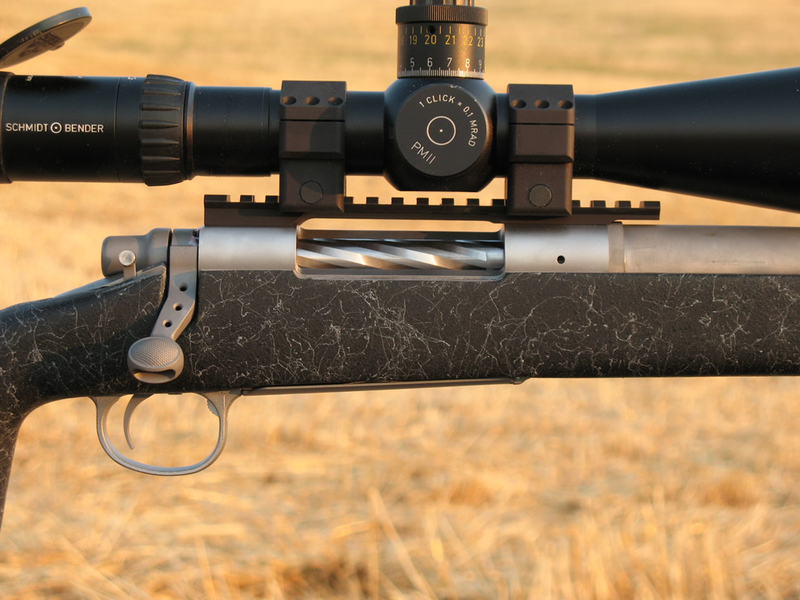 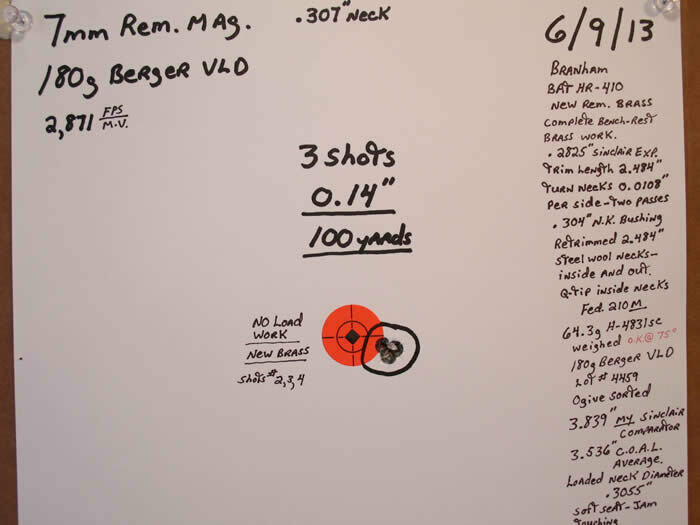 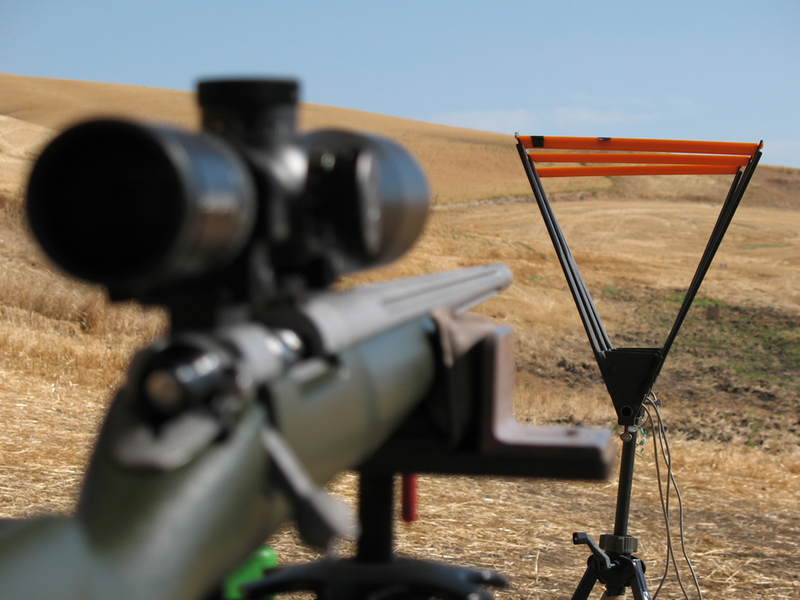 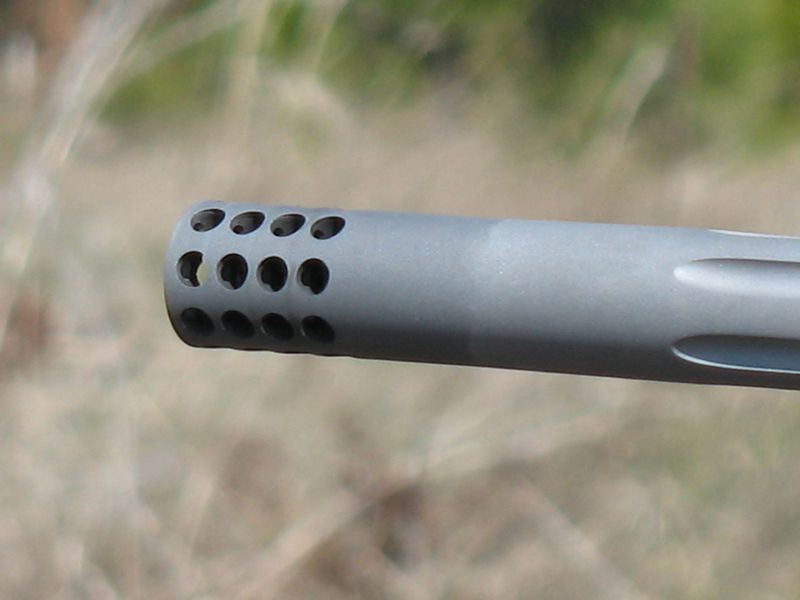 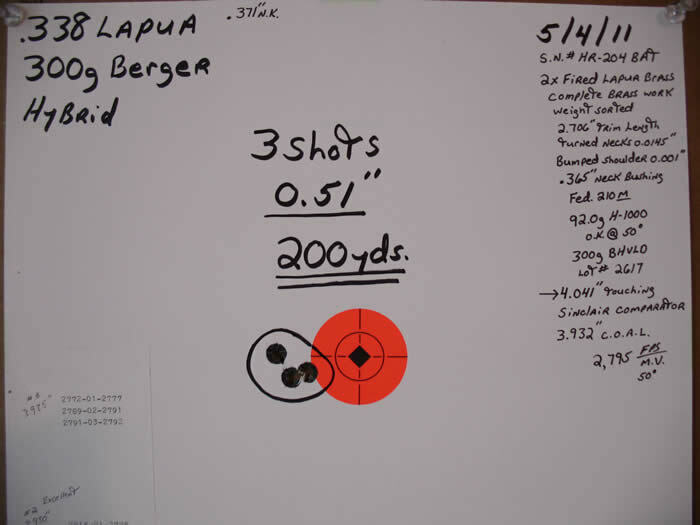 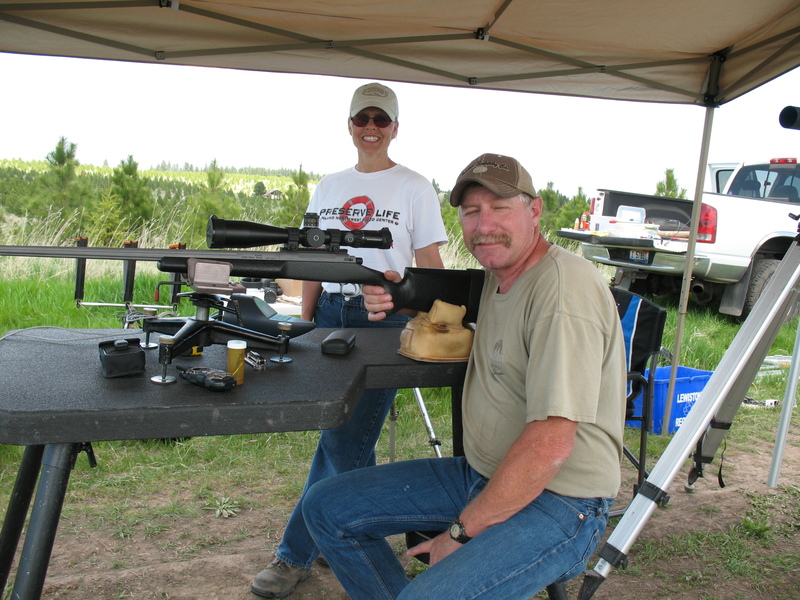 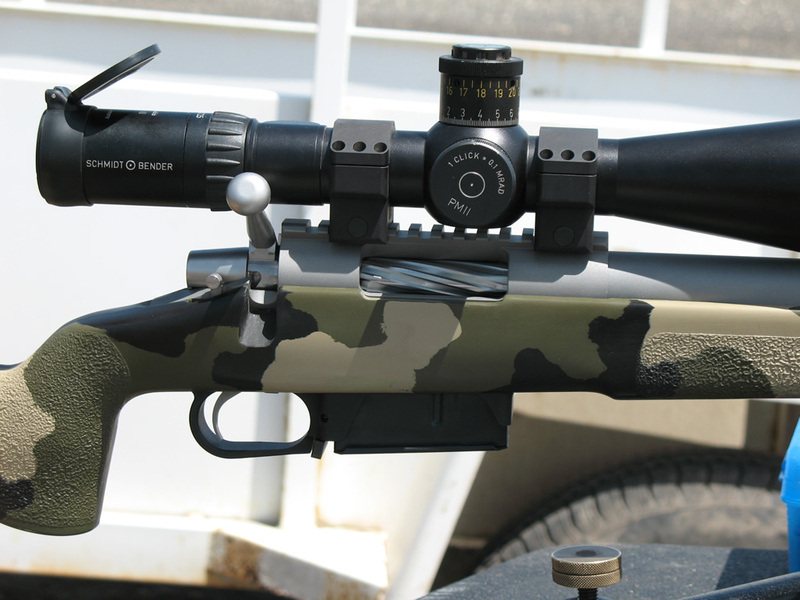 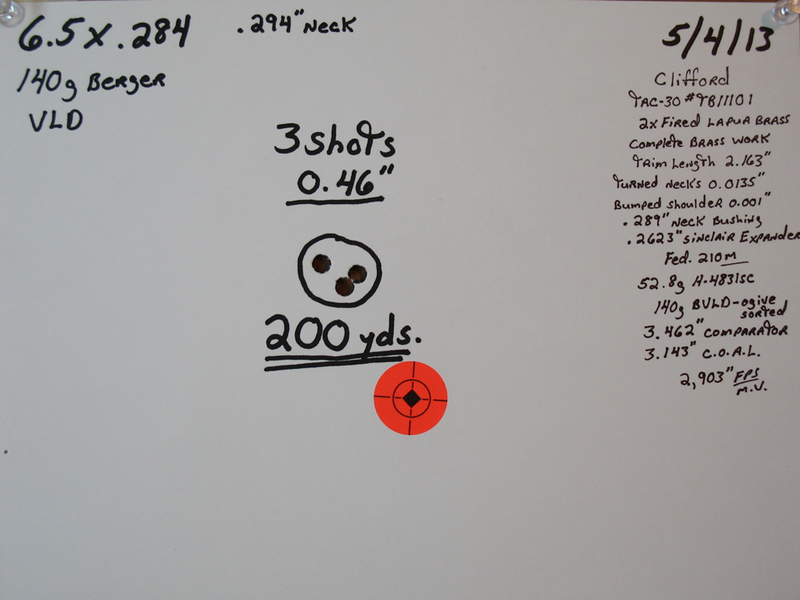 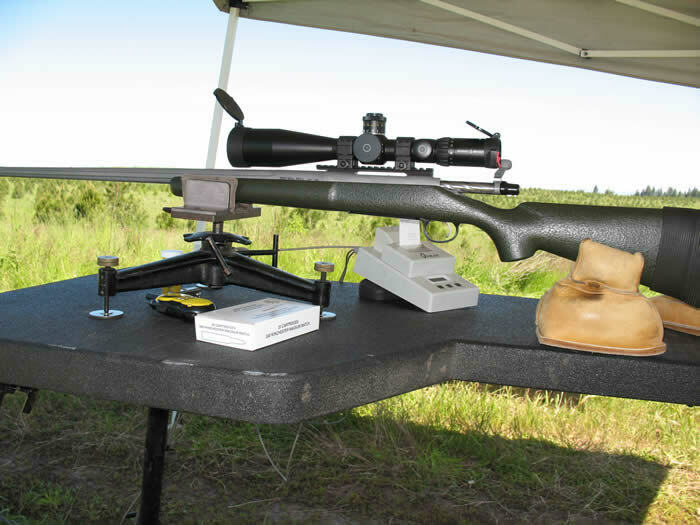 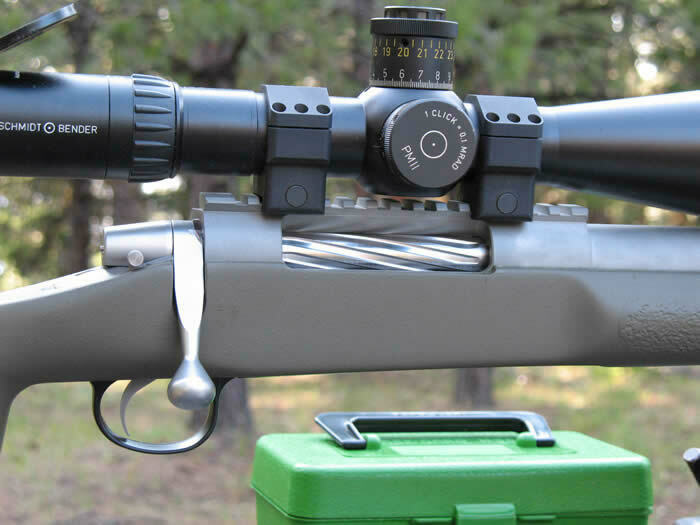 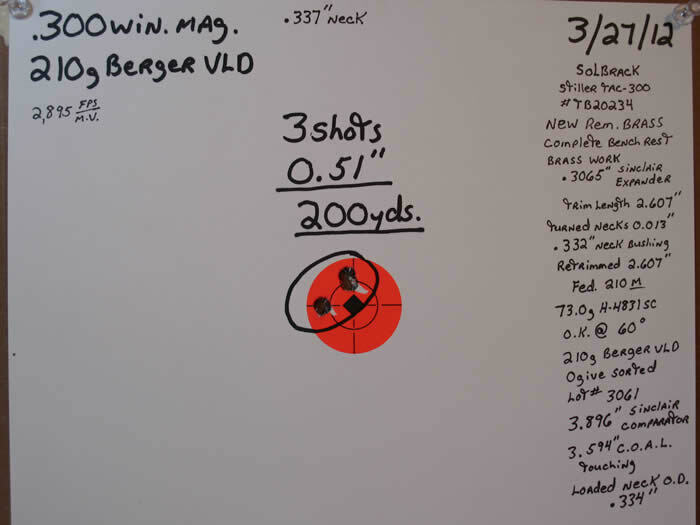 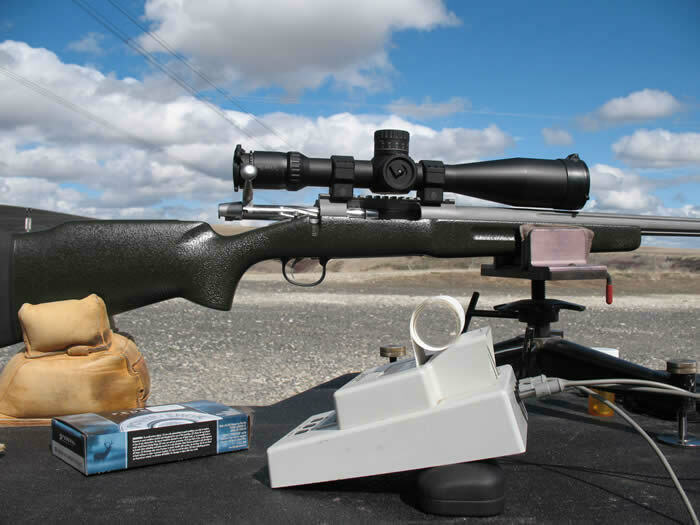 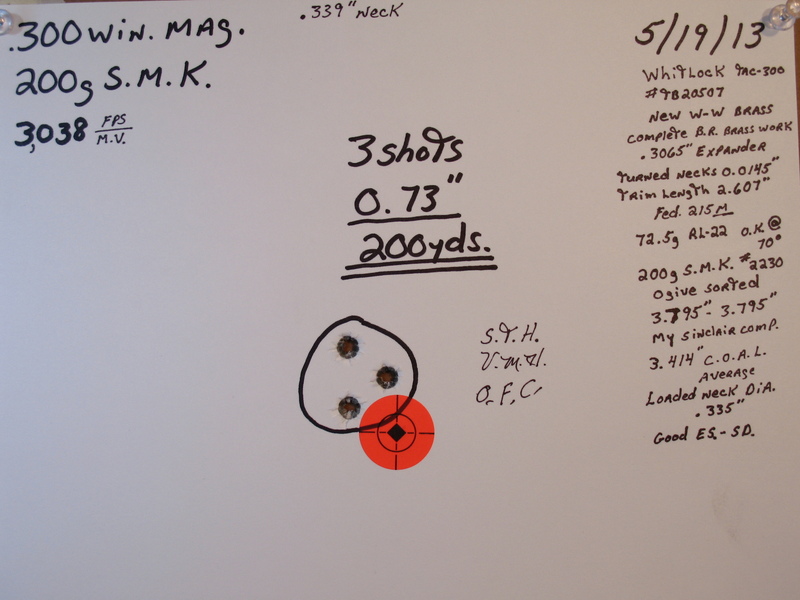 Precision Shooting "Crown Test" gun. 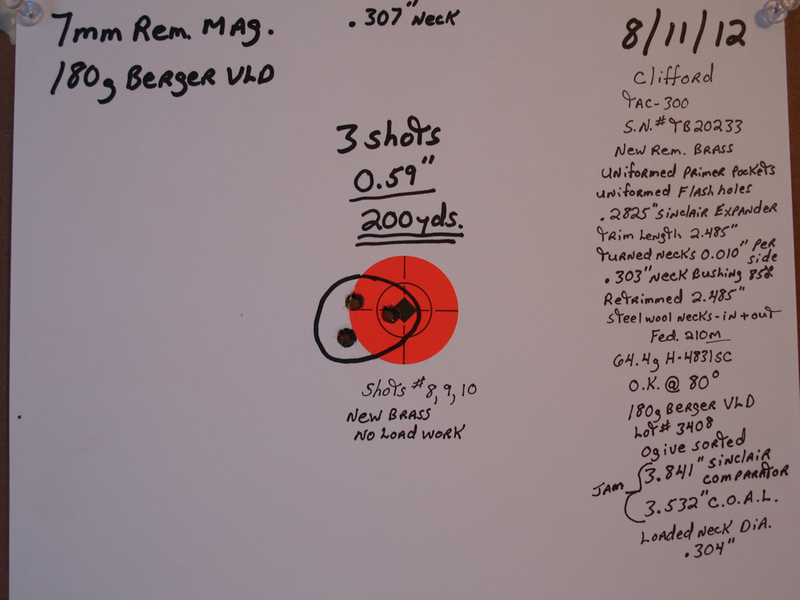 Approximately 125-150 rounds through gun. Shoots 168g SMK into one hole. 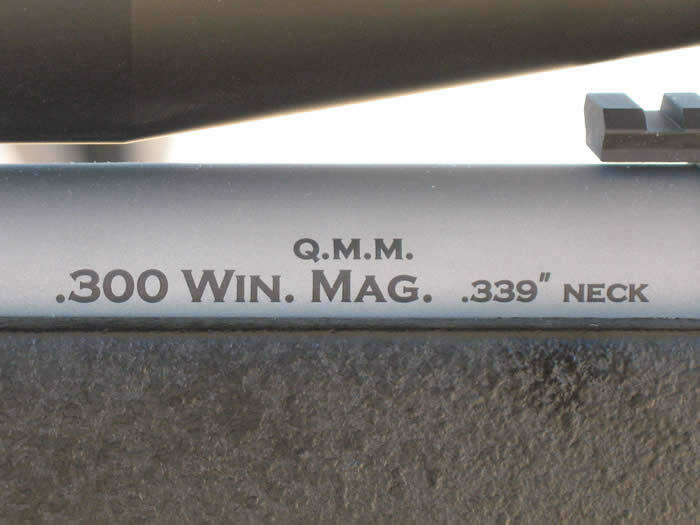 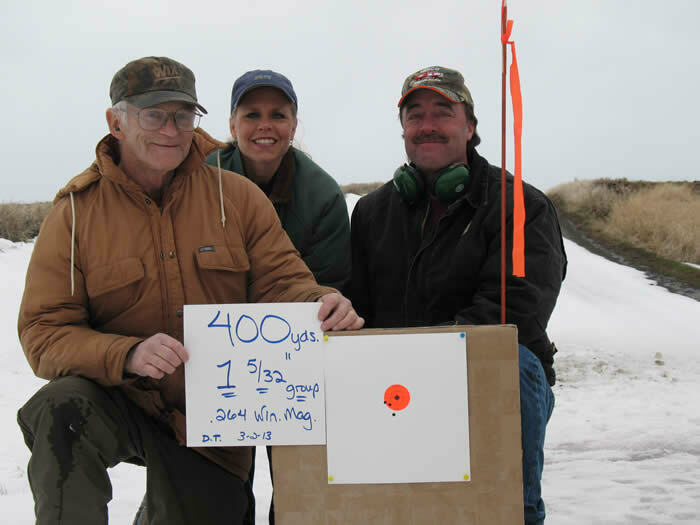 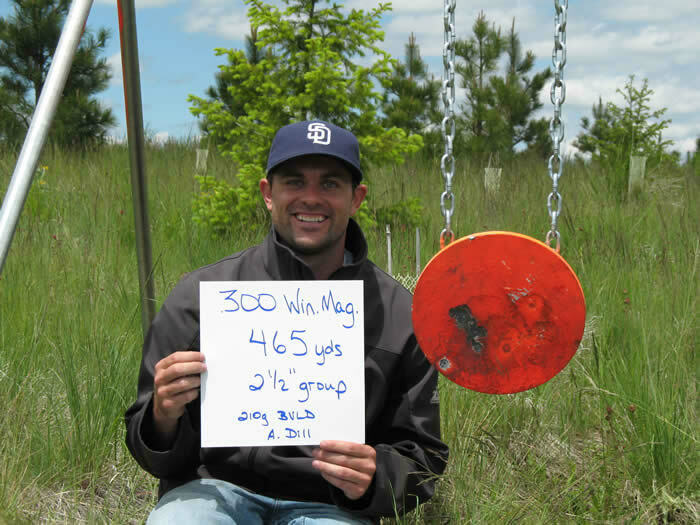 1000 yd. 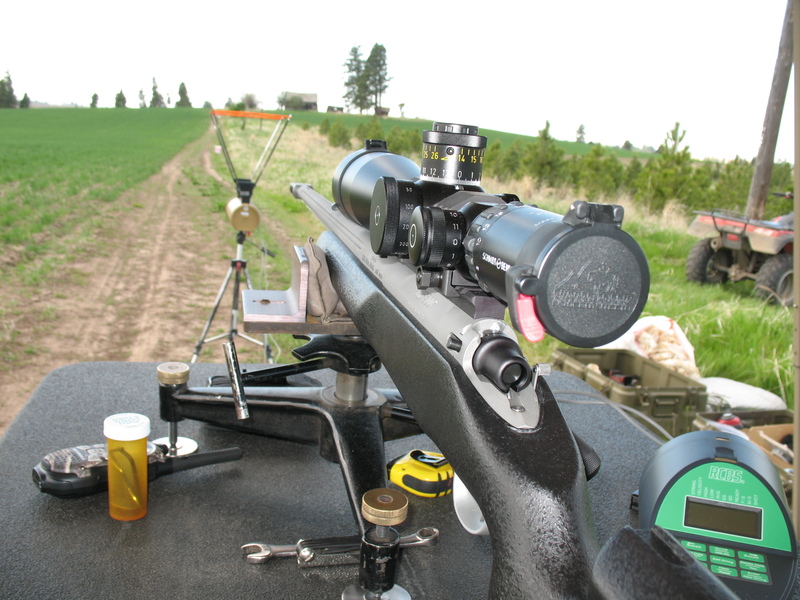 BIG MEDICINE !!!! 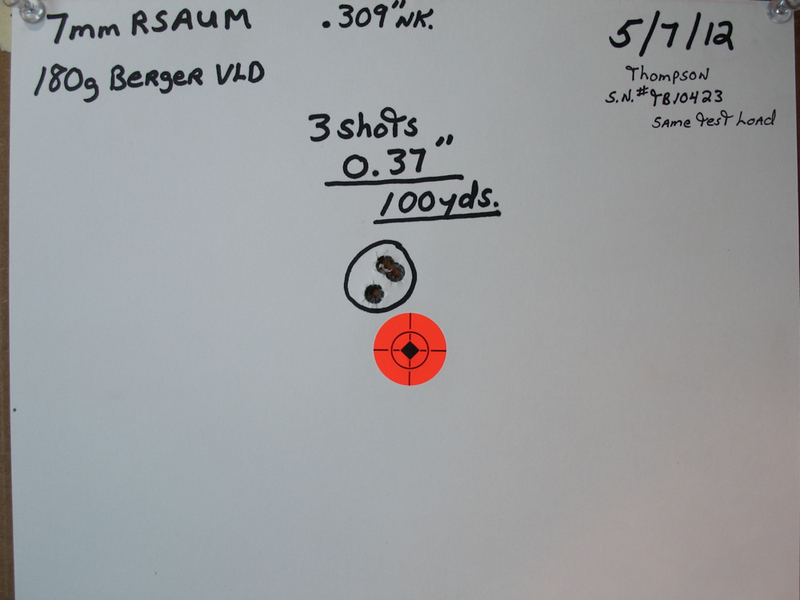 Krieger 1-9.2", #19 Hunter, S.S.
Bartlein, 1-13.5”, 4 groove, S.S.
throated for 80g VLD, A-MAX, etc. 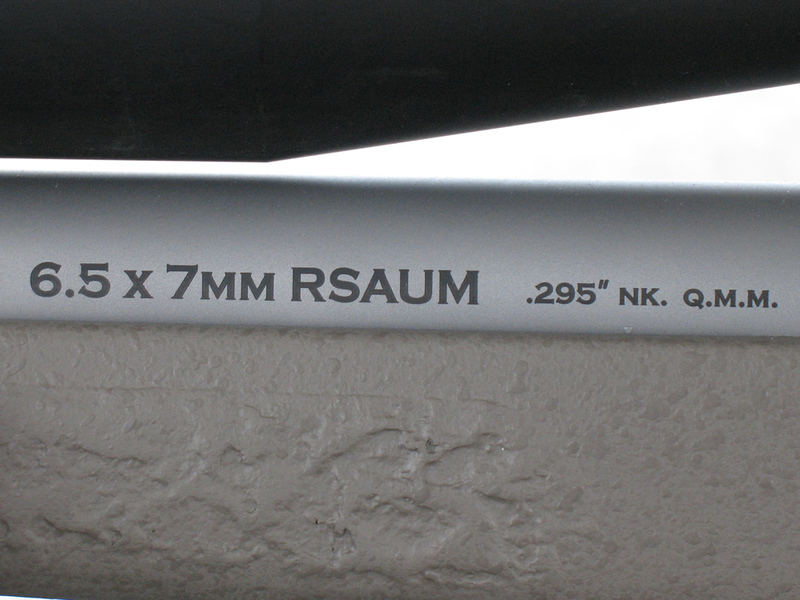 Hart 1-7", RFVC, S.S., non-fluted, 26"
Shows extreme accuracy potential !! 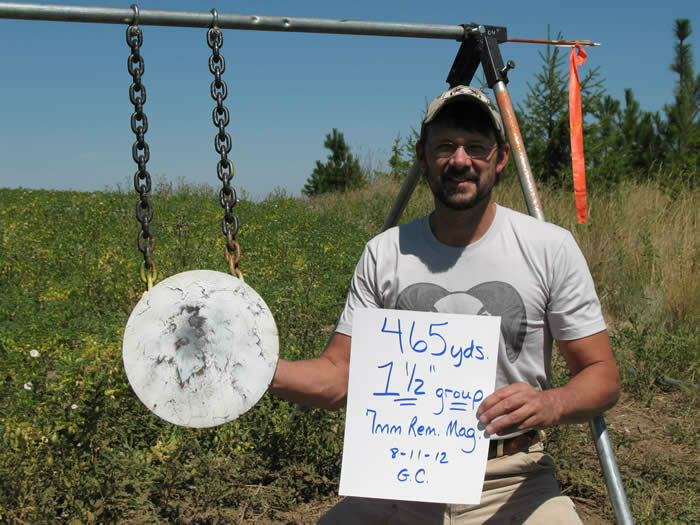 Rock Creek 1-11.27”, #8 1000 yd.